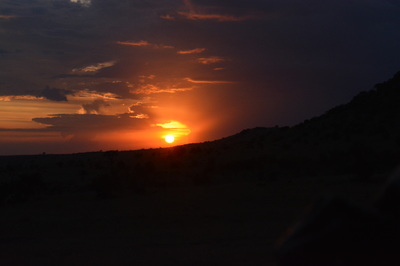 Here are some great pictures from my escapades. 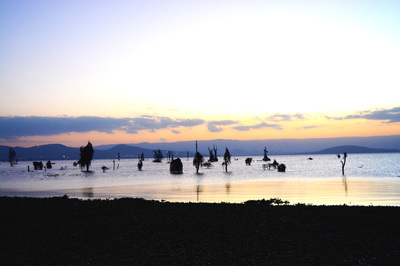 Connected to the main island by ferry, the South Coast provides both seaside and private accommodation. 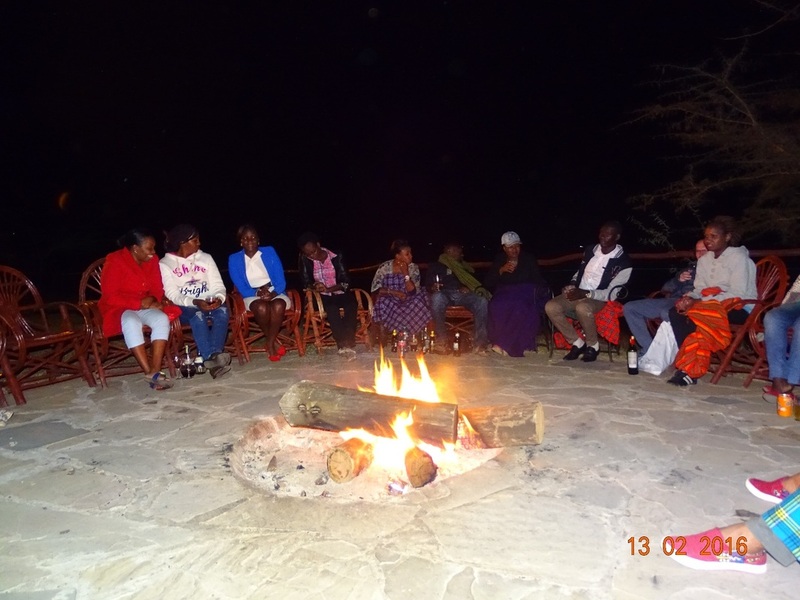 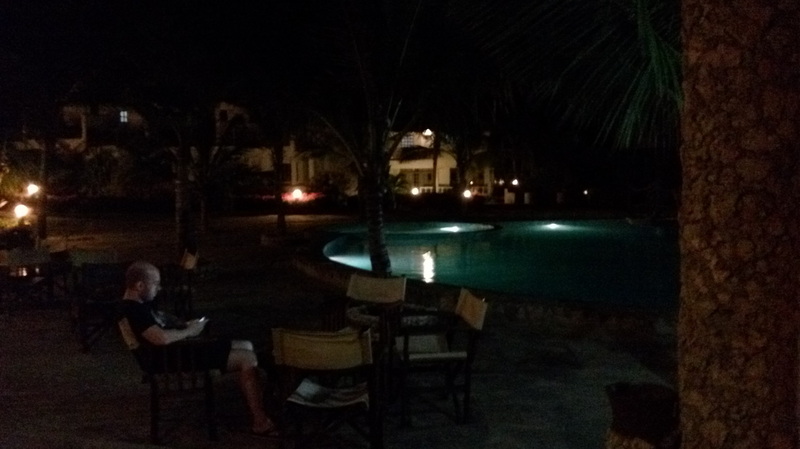 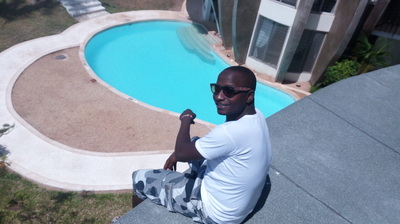 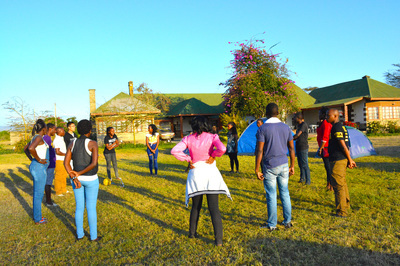 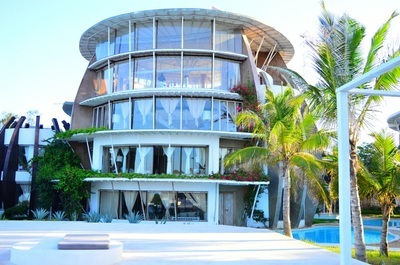 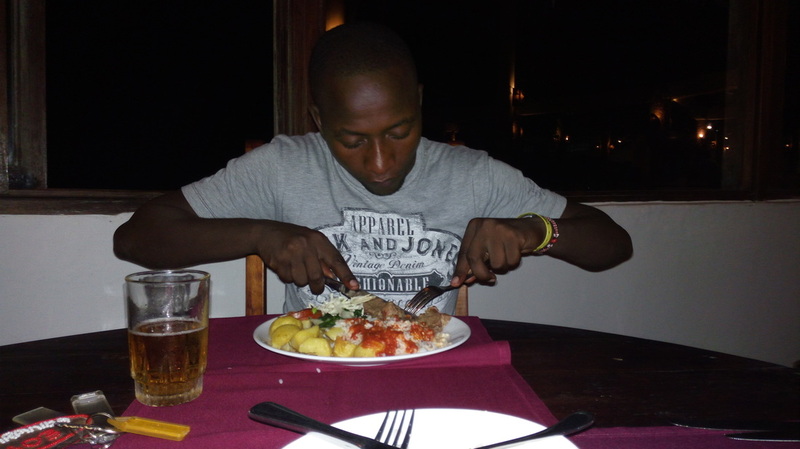 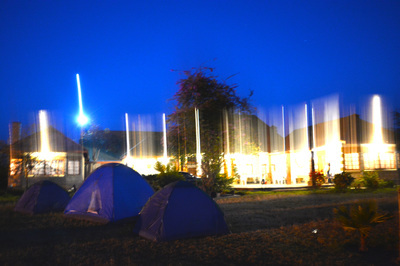 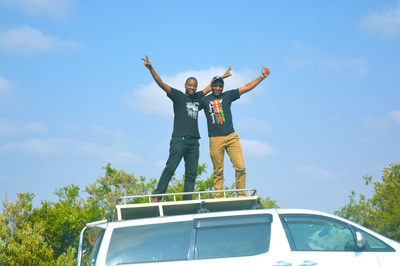 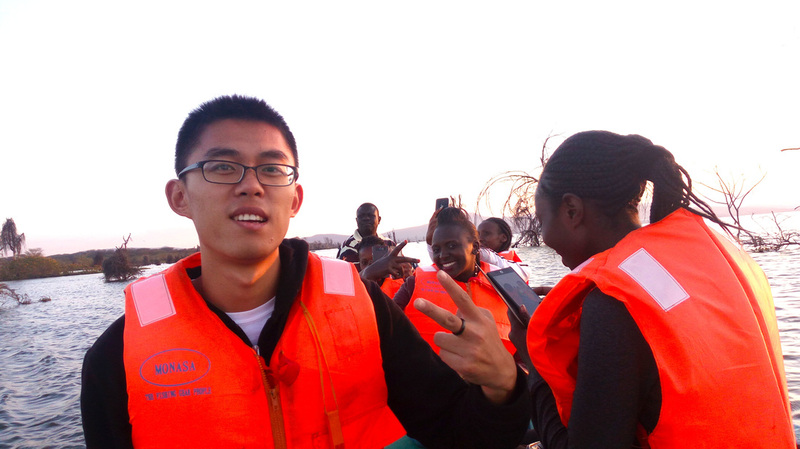 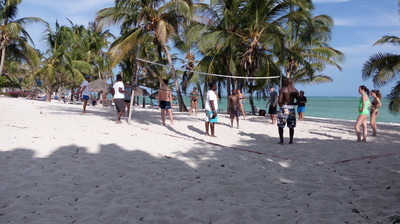 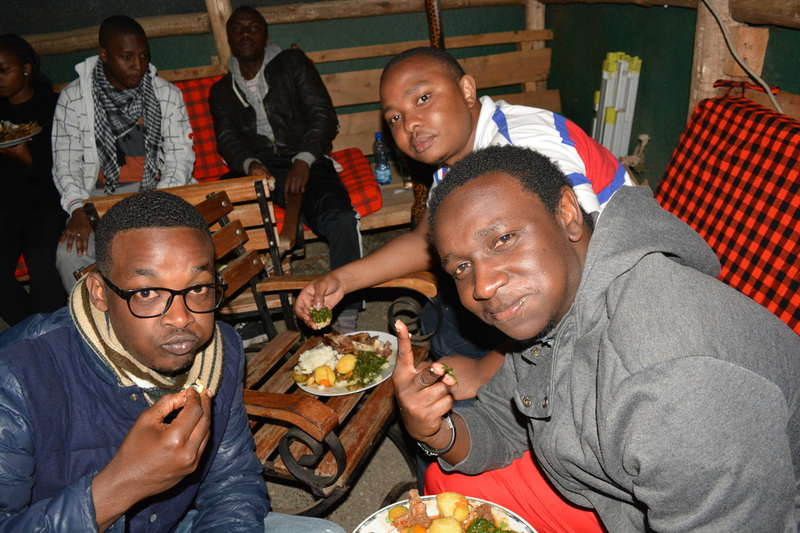 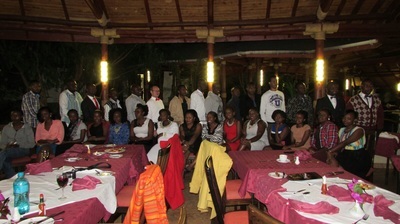 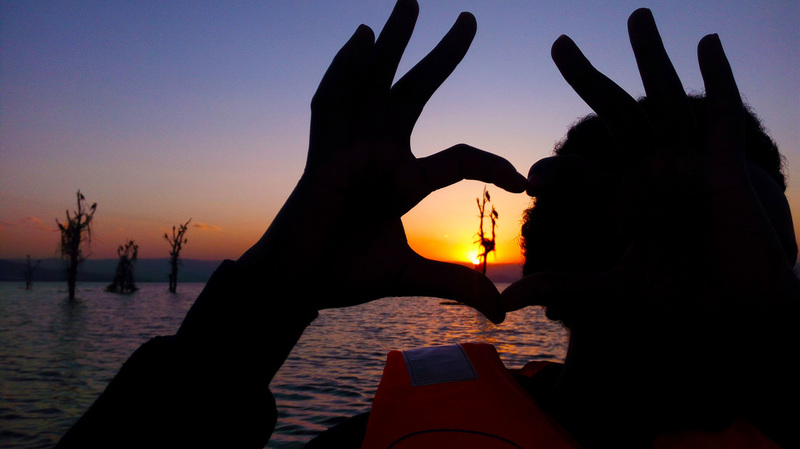 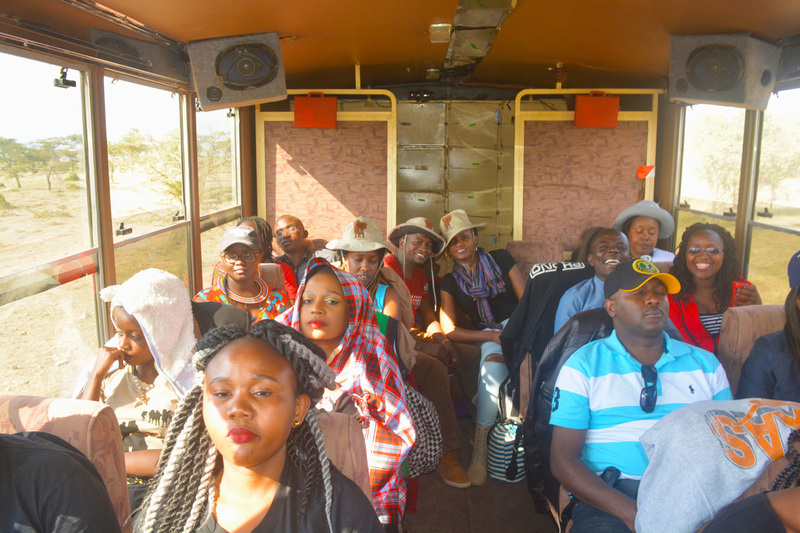 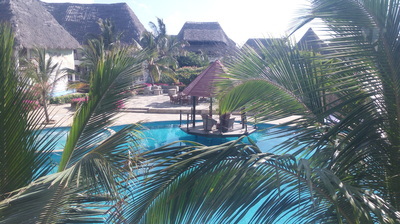 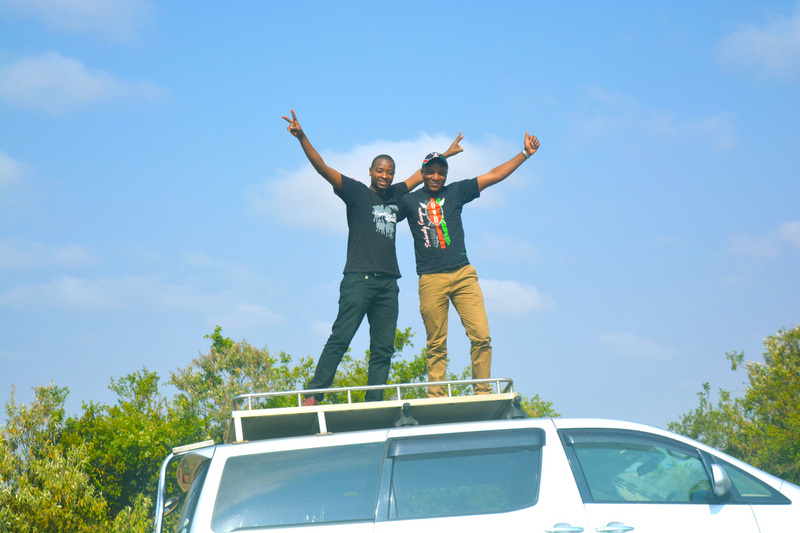 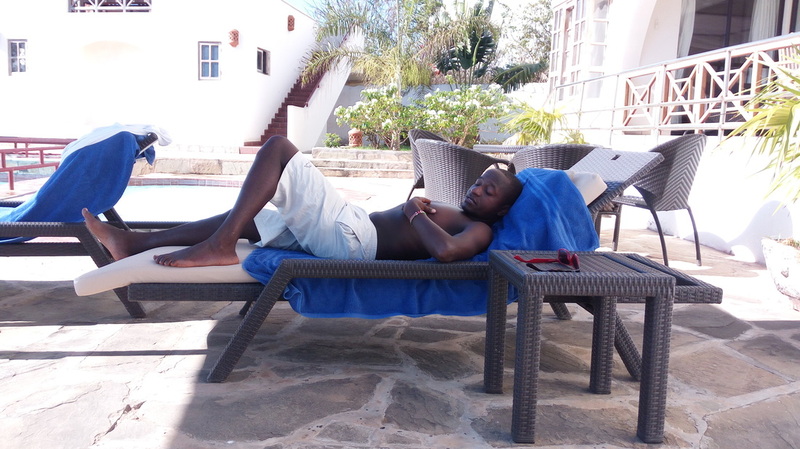 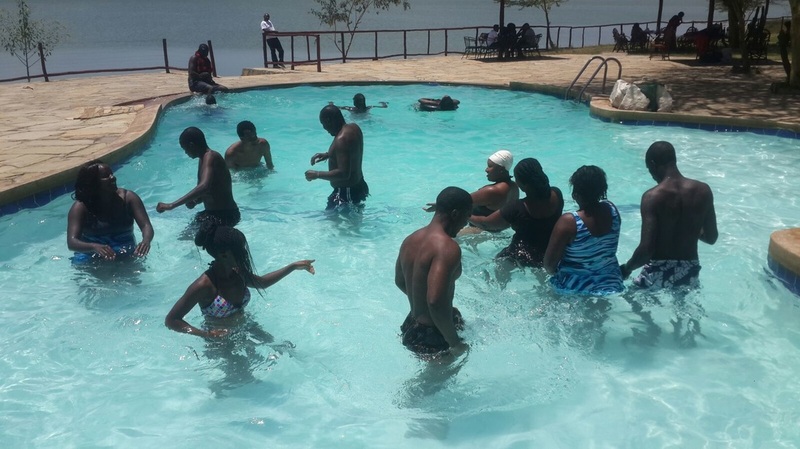 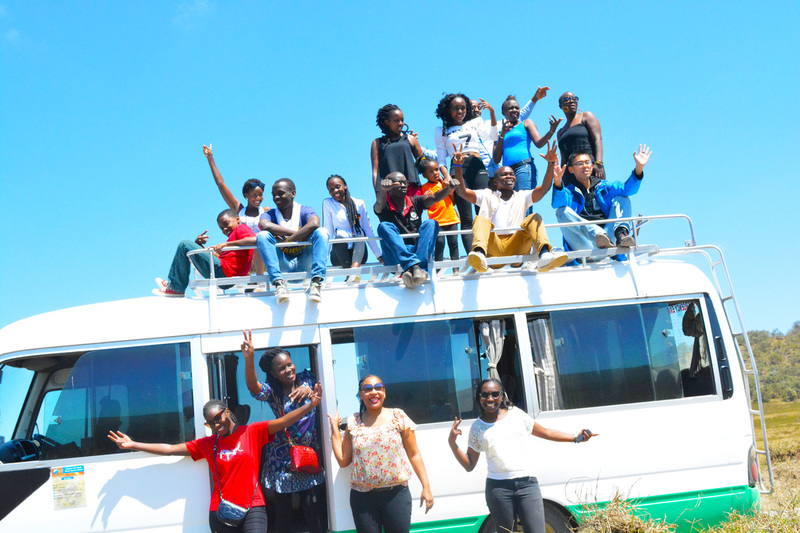 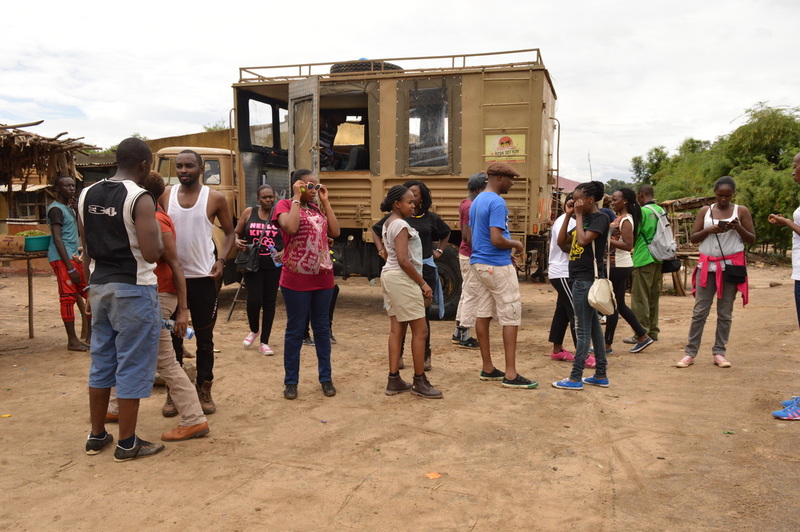 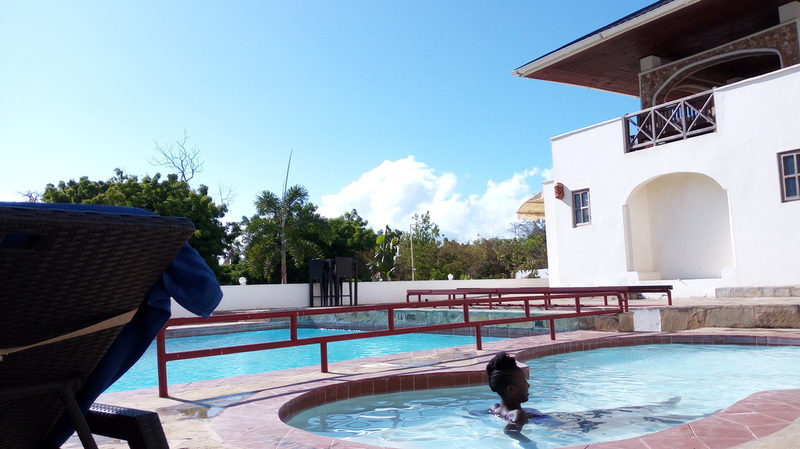 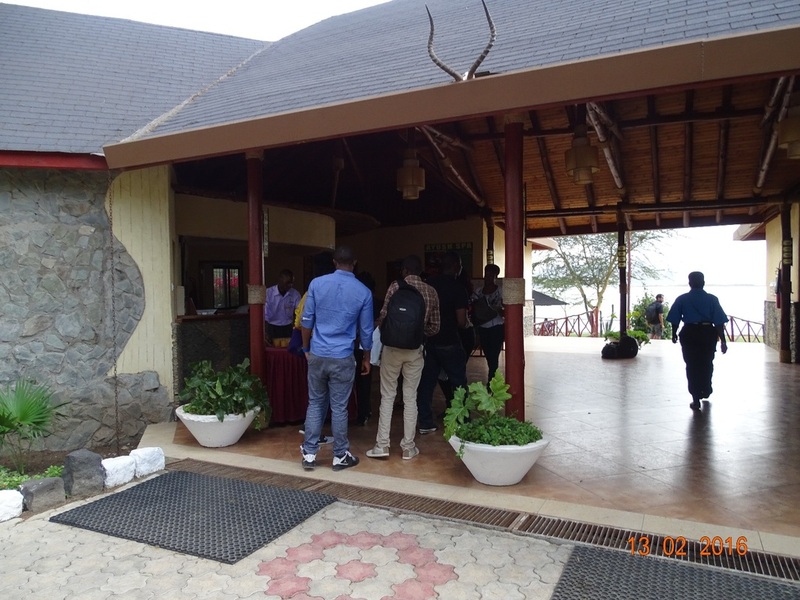 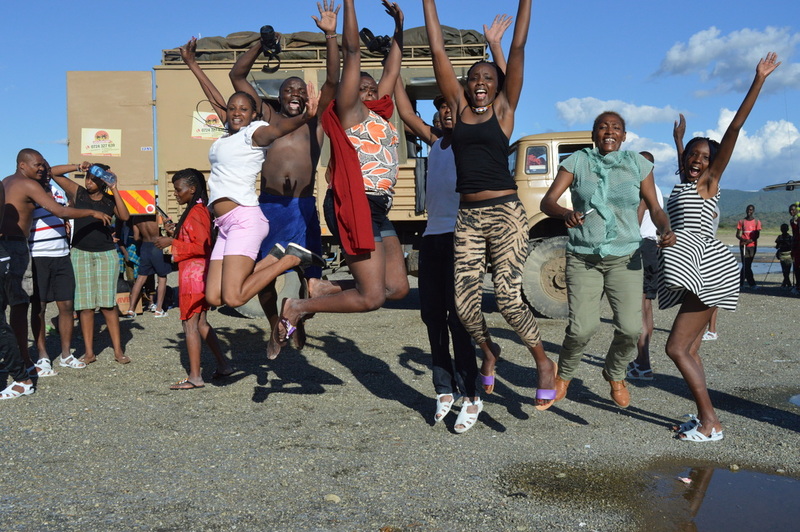 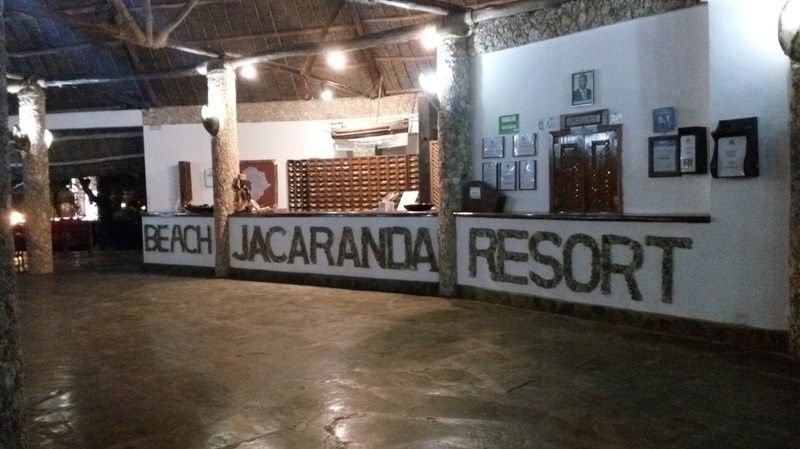 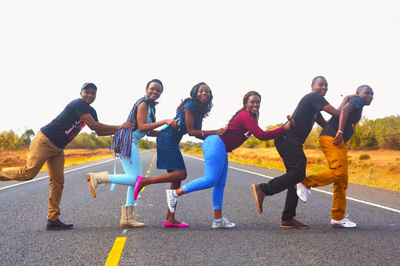 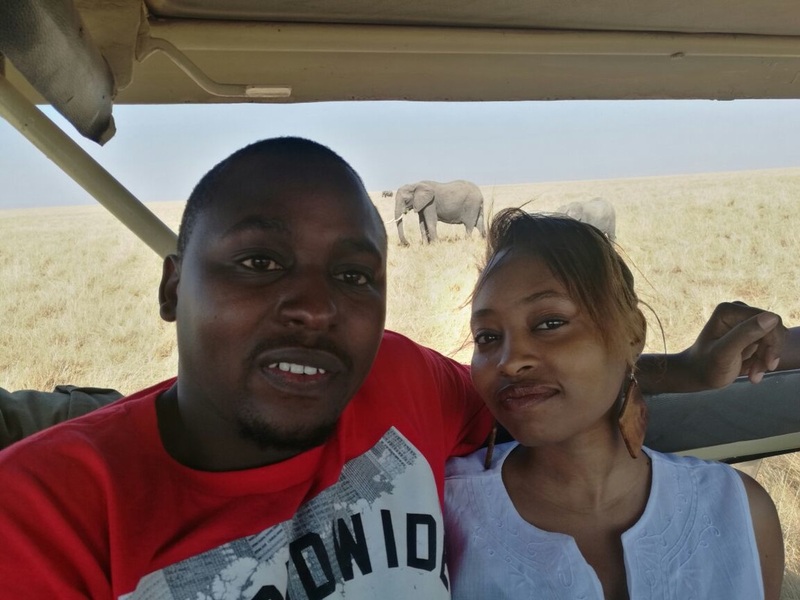 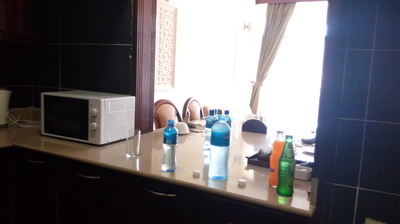 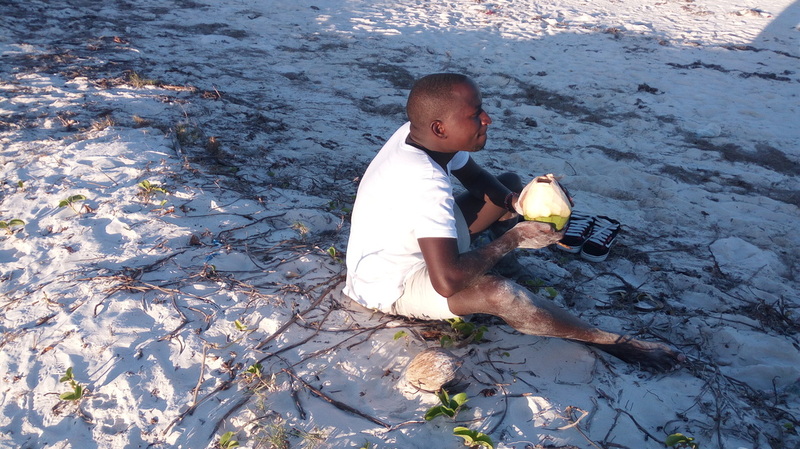 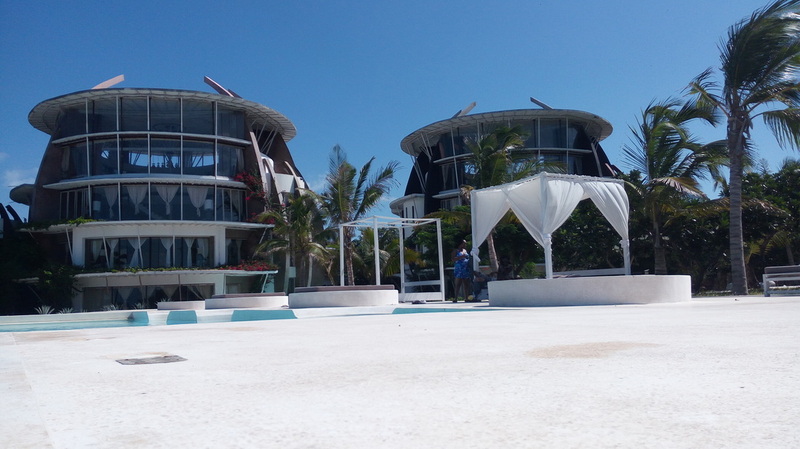 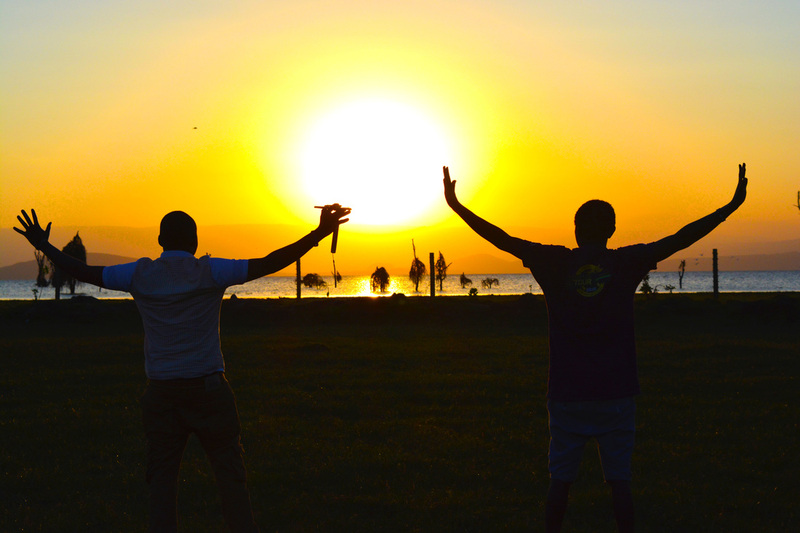 We spent our time at Amani Tiwi Beach & Mzima house. 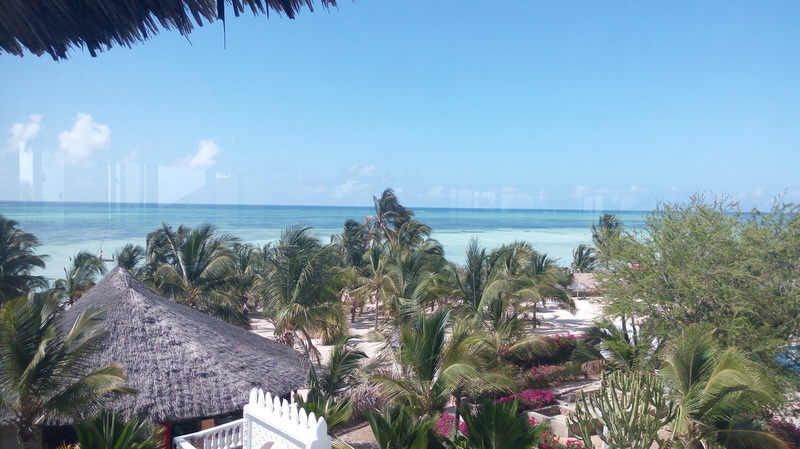 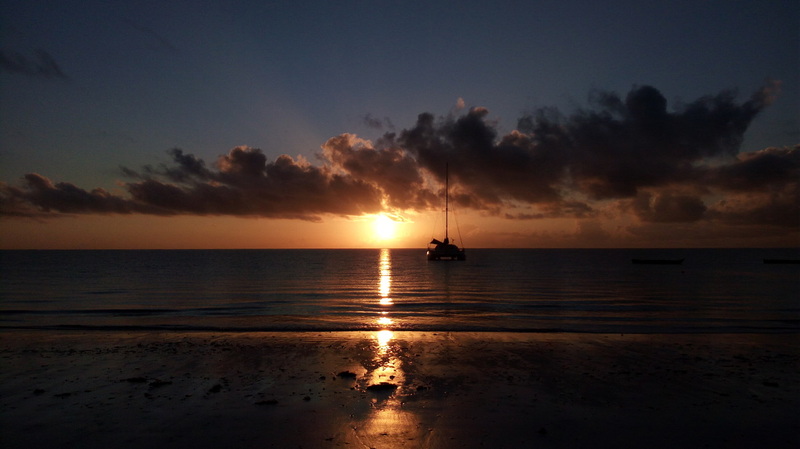 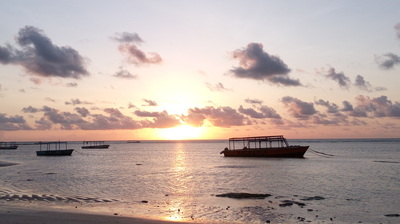 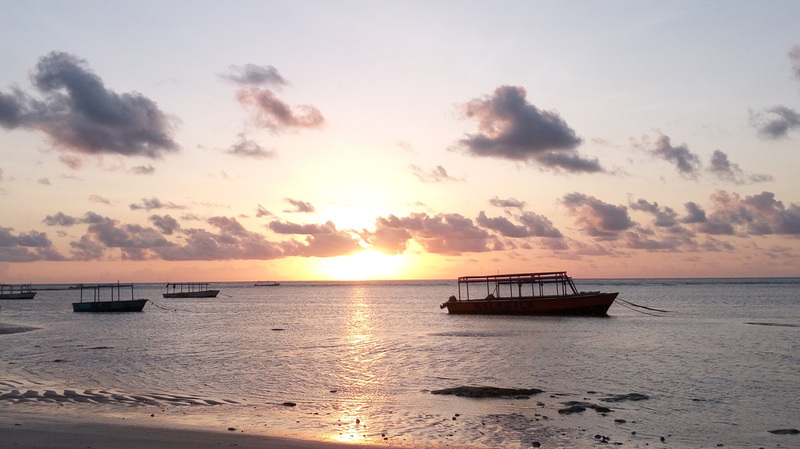 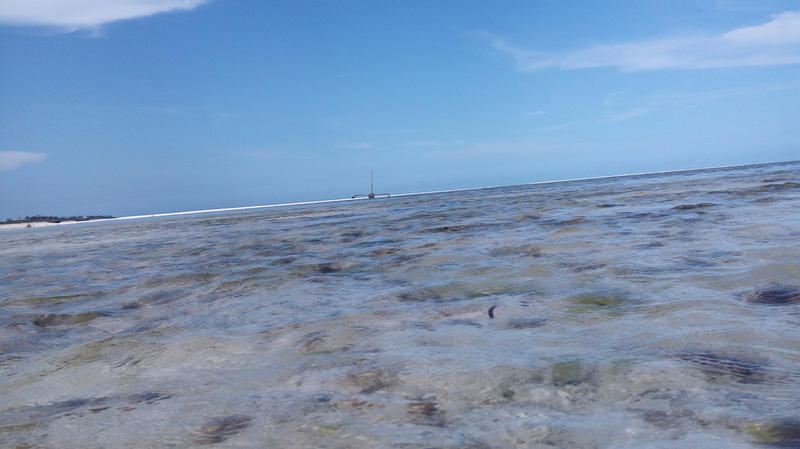 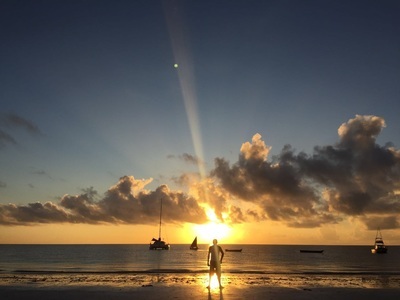 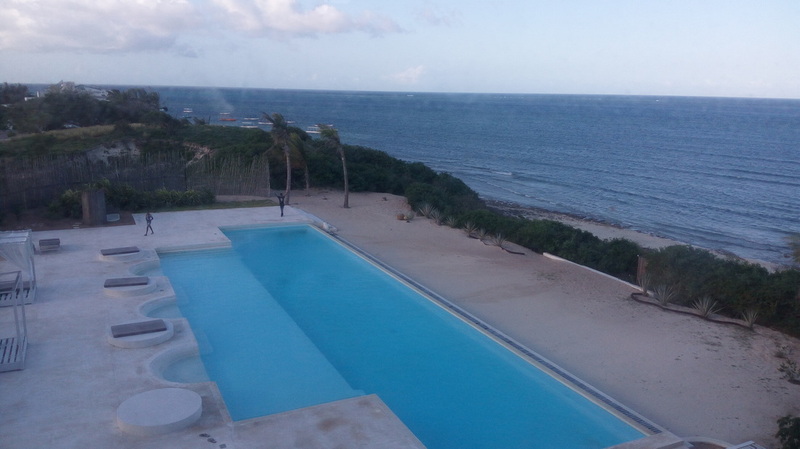 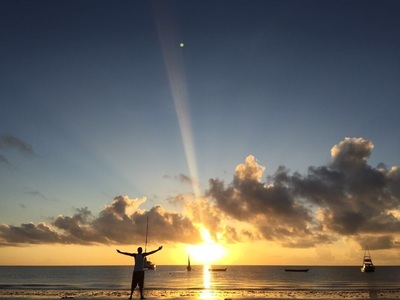 Malindi is a town on Malindi Bay at the mouth of the Galana River, lying on the Indian Ocean coast of Kenya. 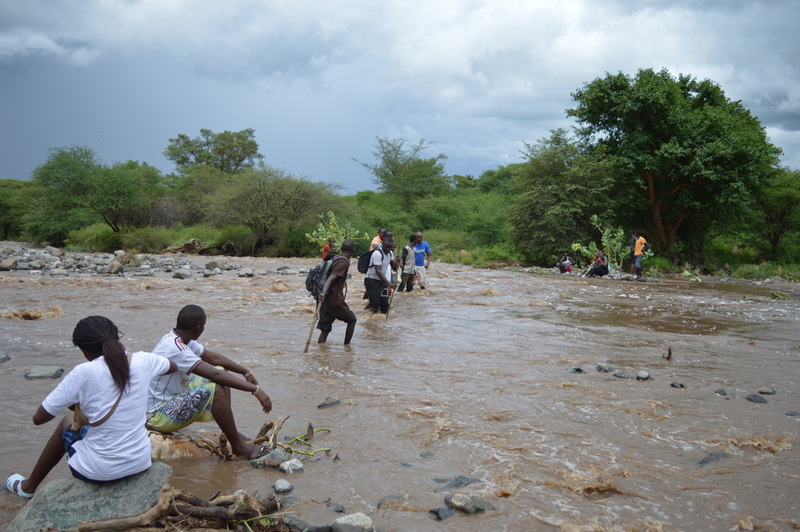 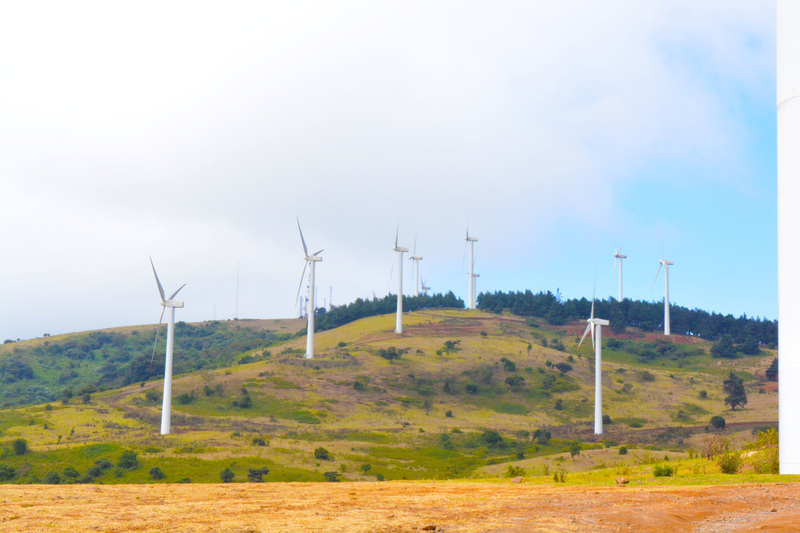 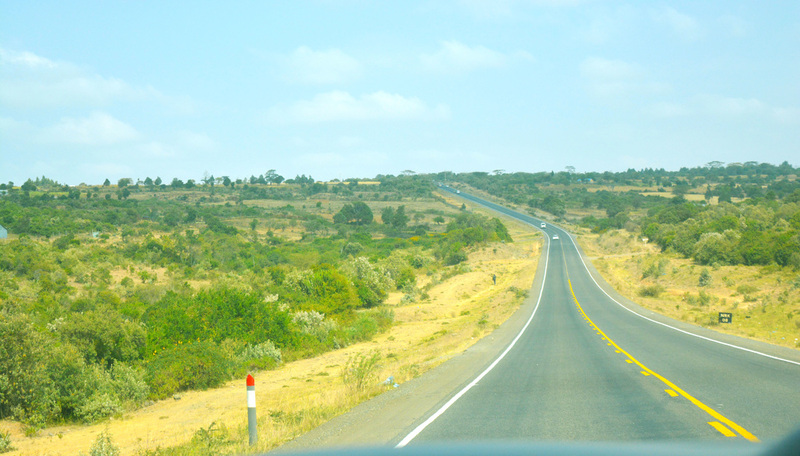 It is 120 kilometres northeast of Mombasa. 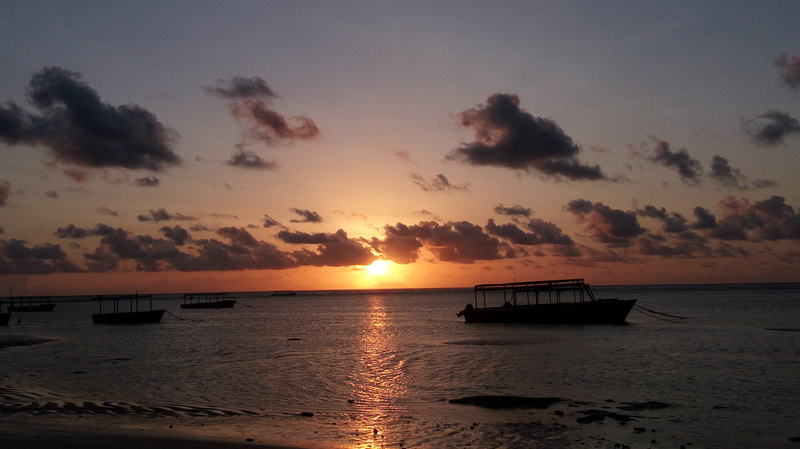 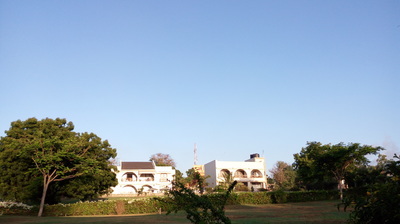 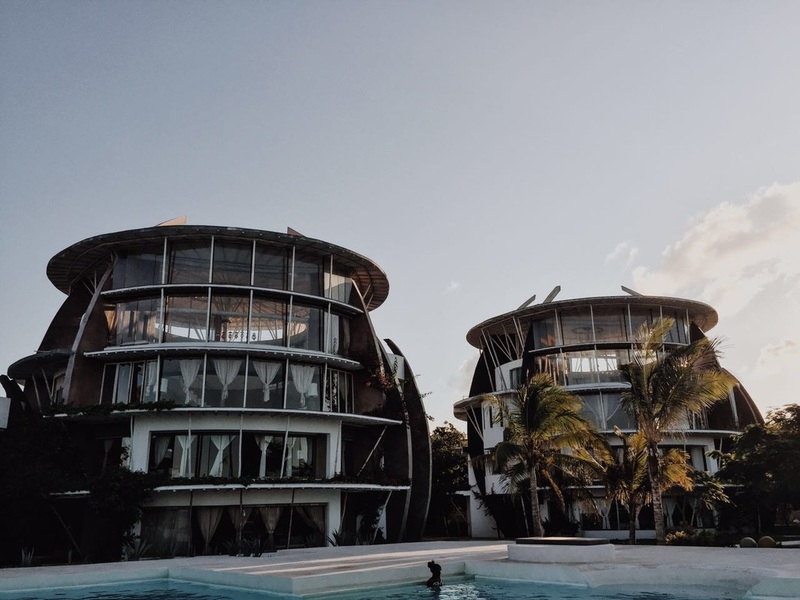 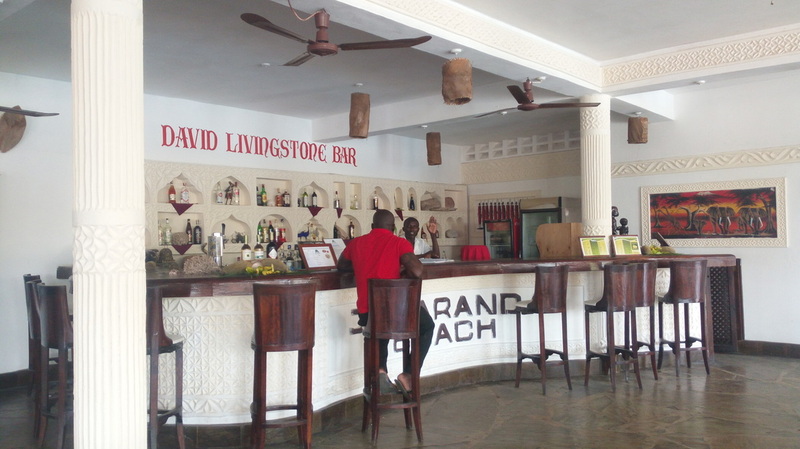 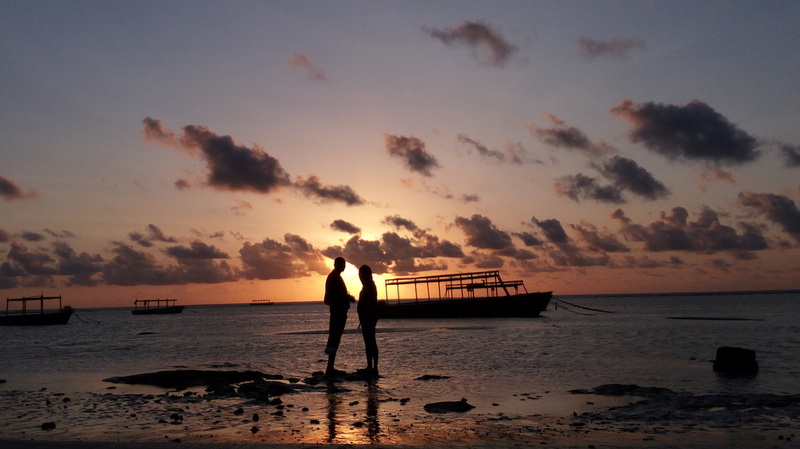 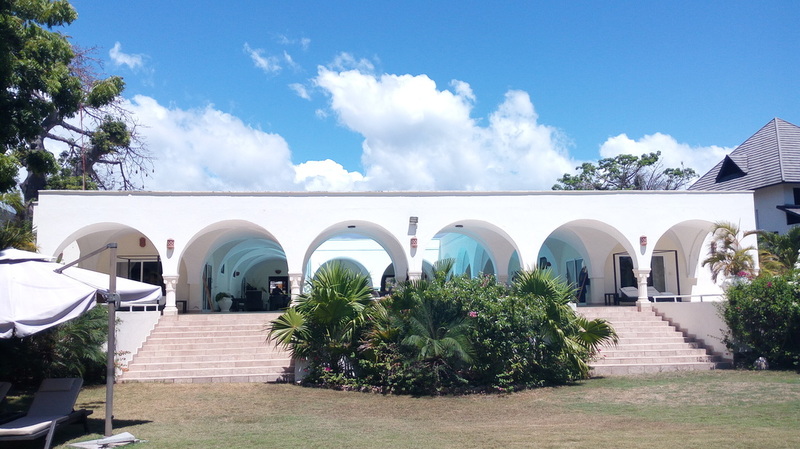 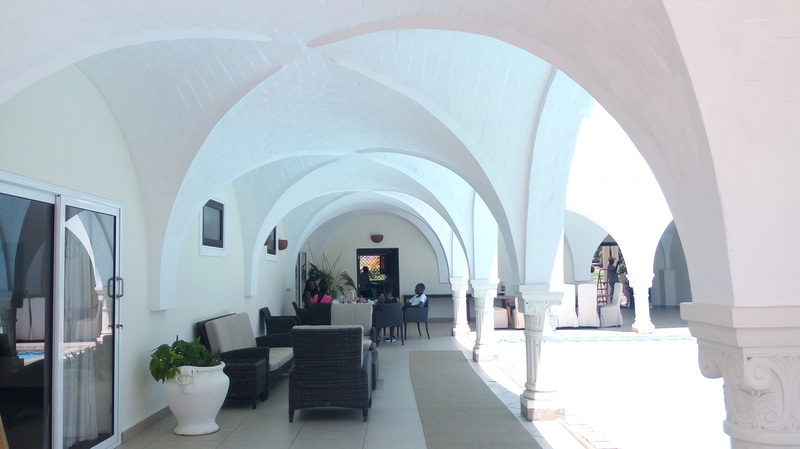 Malindi town is a quite an old town owing much of its current attractions to Portuguese explorers who were travelling around the world to India. 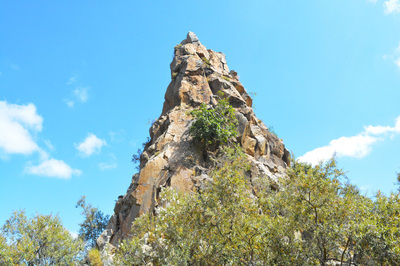 The Vasco Da Gama Pillar is one of the most prominent landmark with Malindi Town. 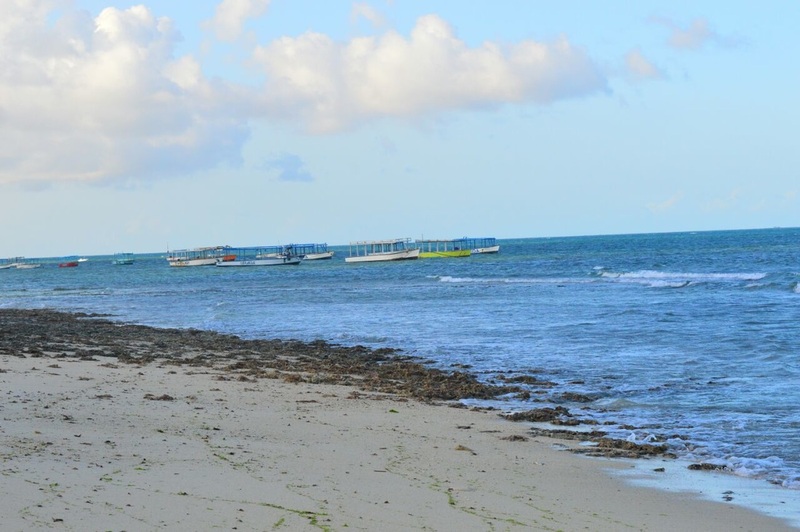 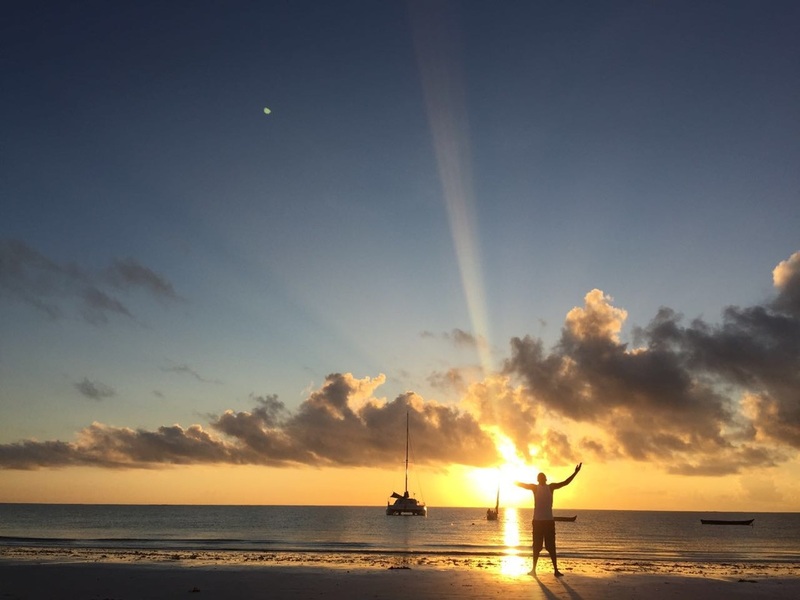 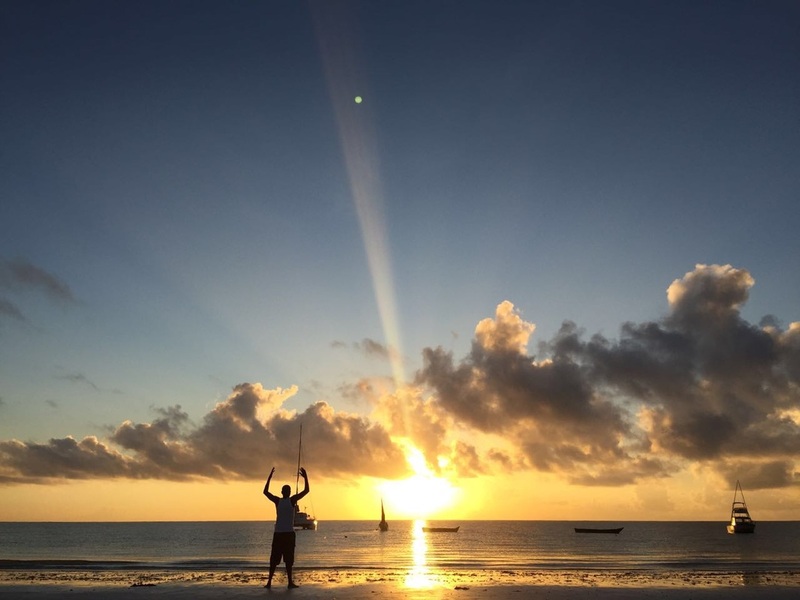 Watamu is a small town located approximately 105 km north of Mombasa and about 15 km south of Malindi on the Indian Ocean coast of Kenya. 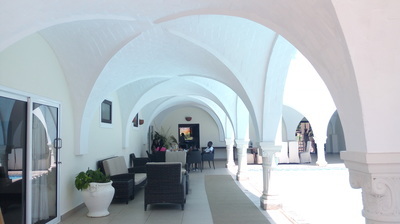 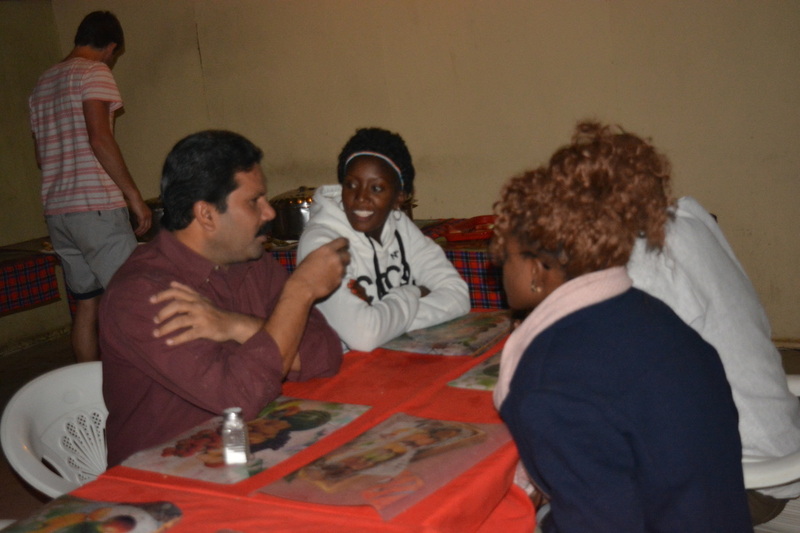 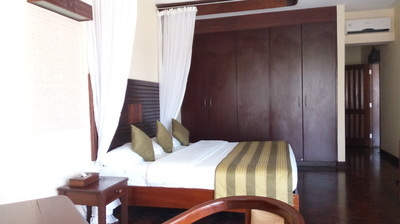 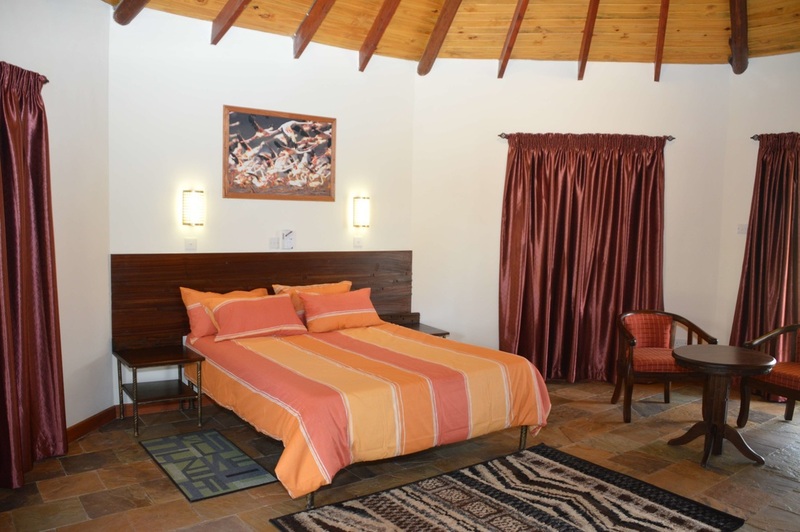 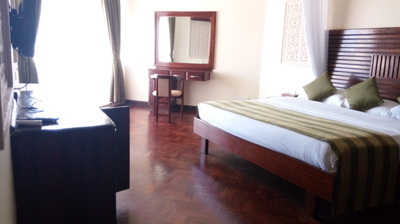 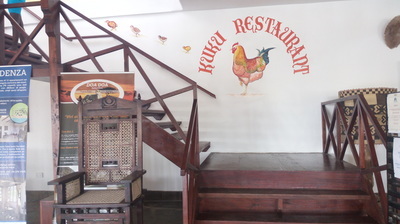 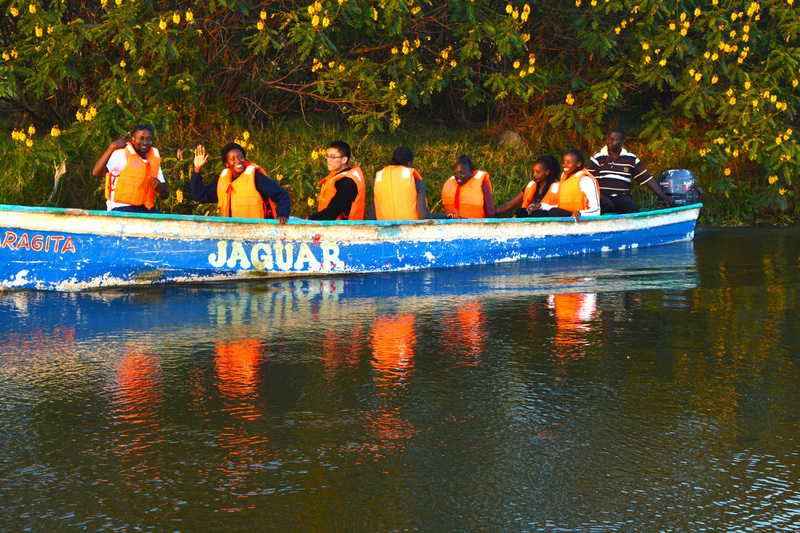 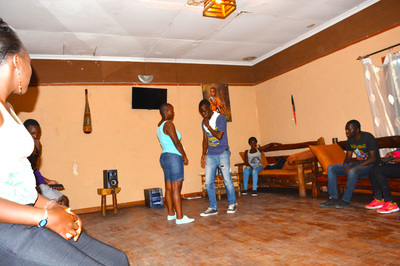 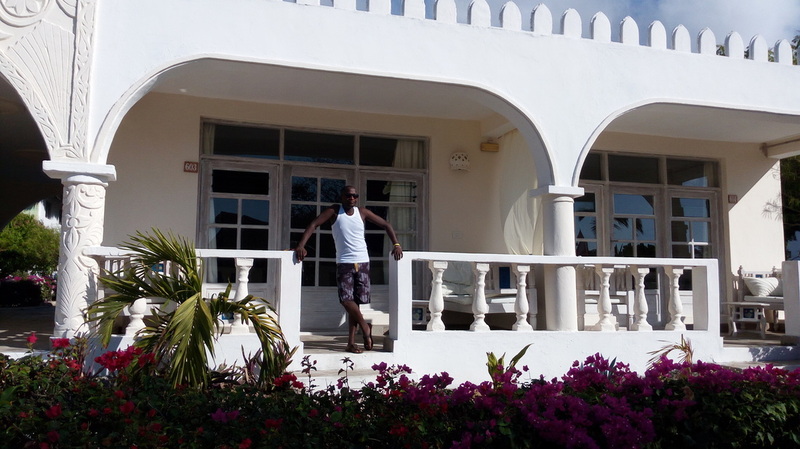 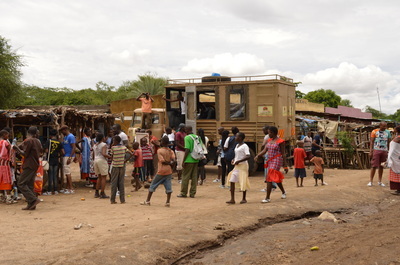 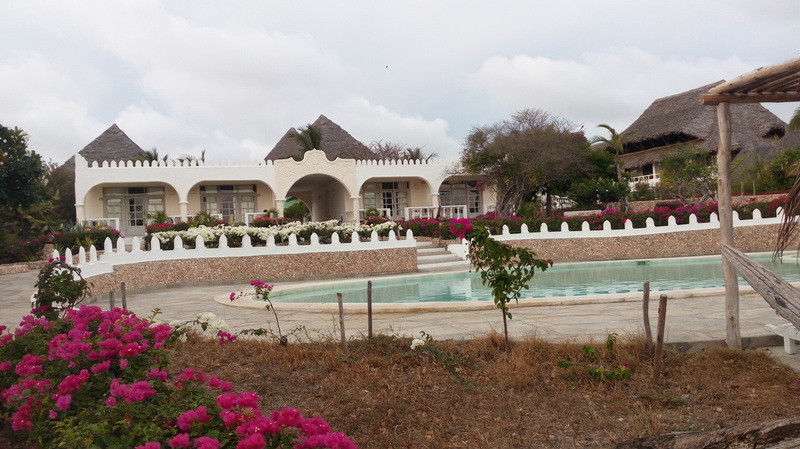 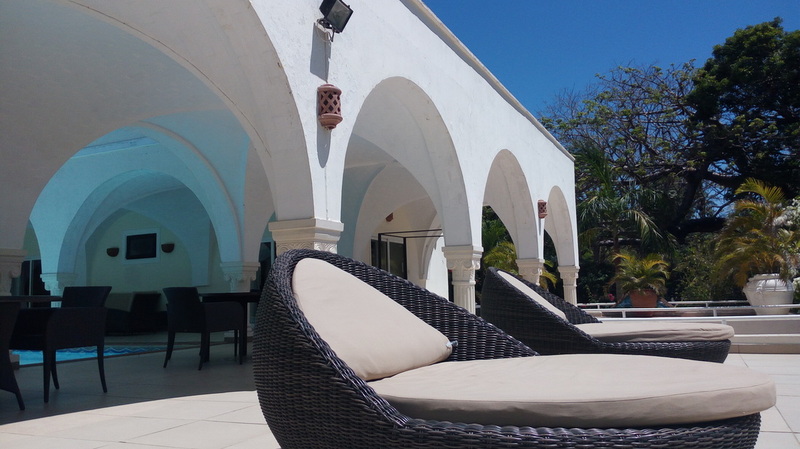 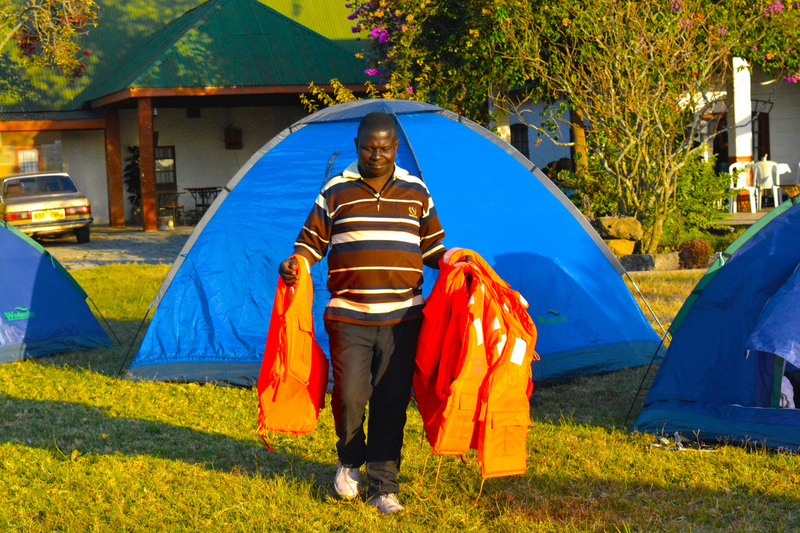 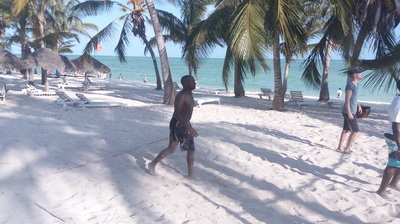 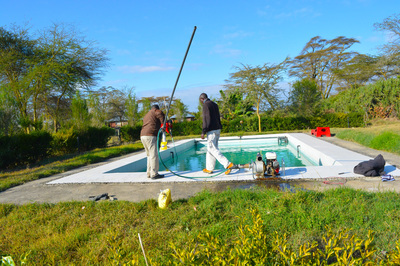 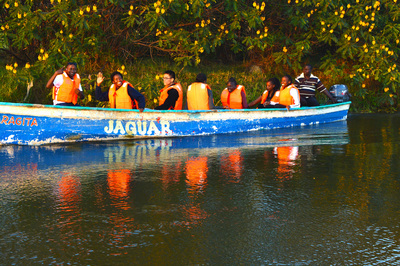 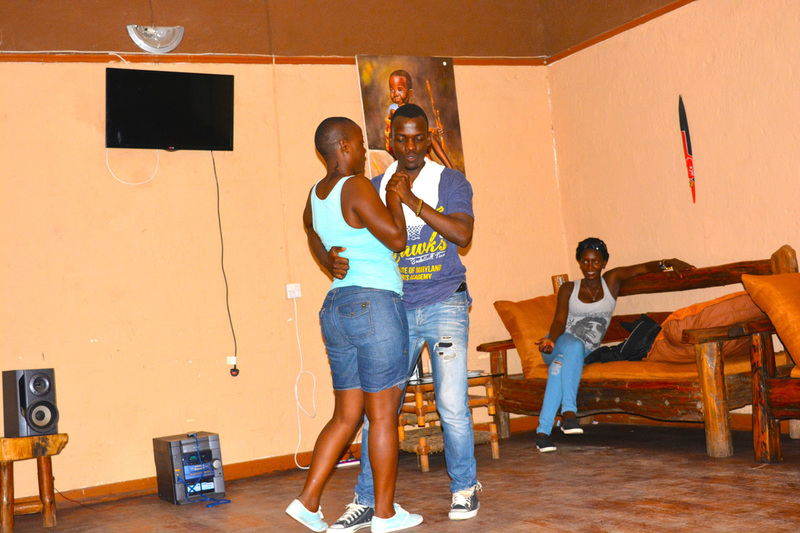 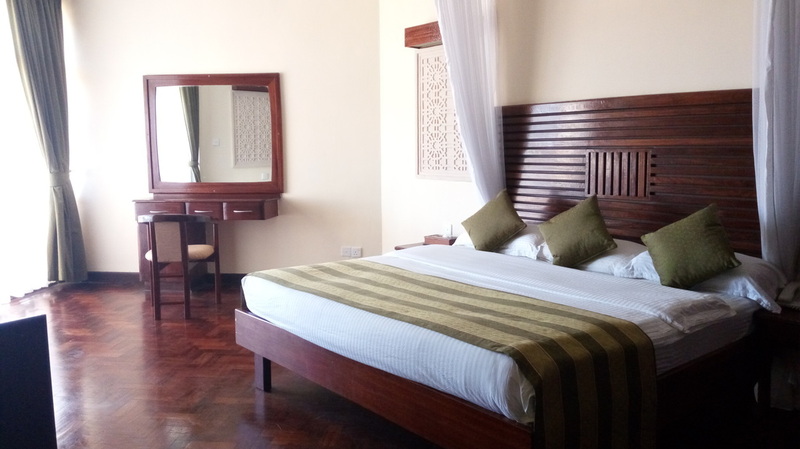 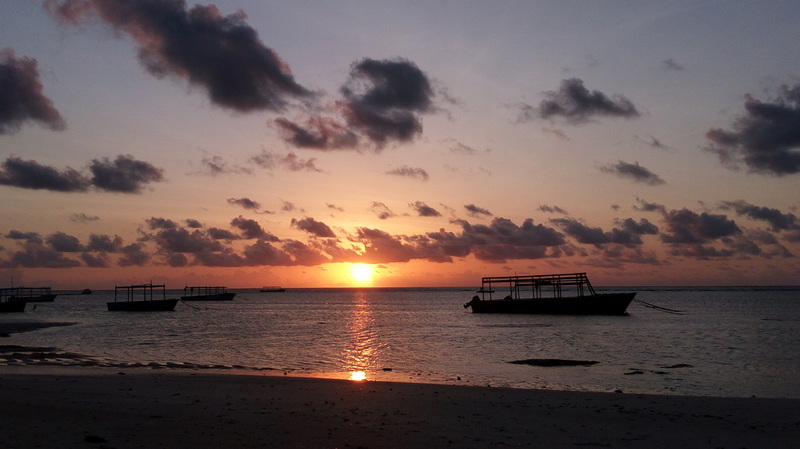 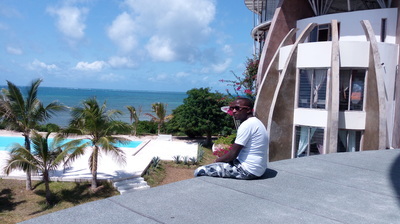 It is a beautiful and peaceful village on the Kenya Coast, nestled between pristine beaches and lush tropical forest. Watamu has remained a haven of peace and tranquility and is still one of the coast's most undeveloped and natural areas. 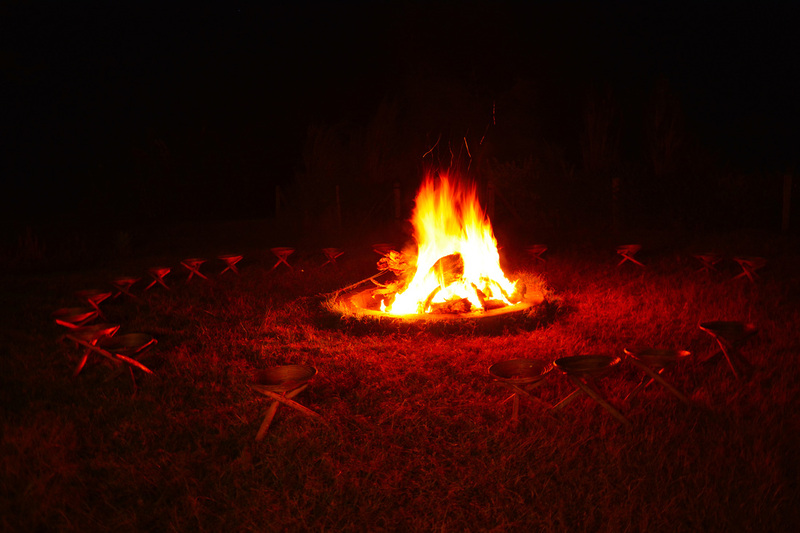 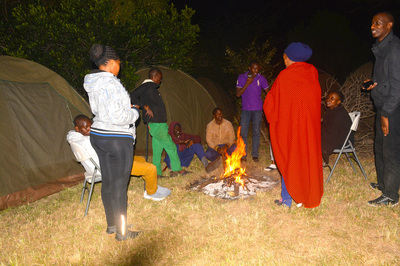 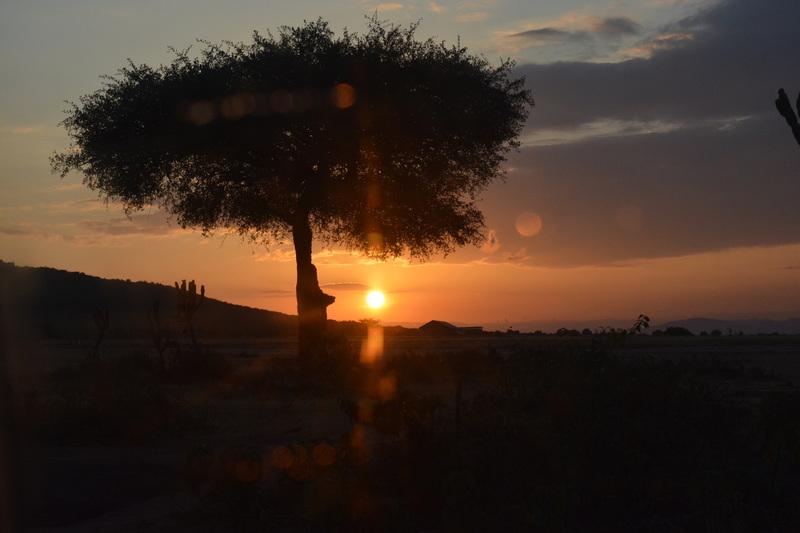 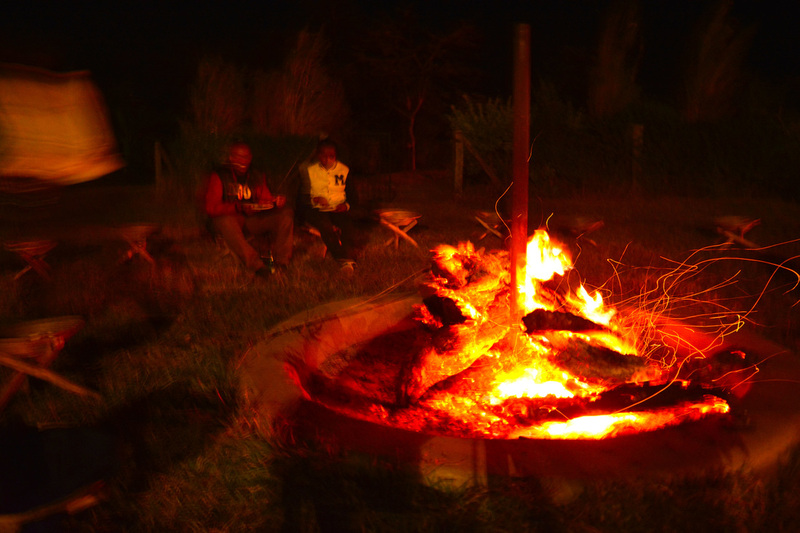 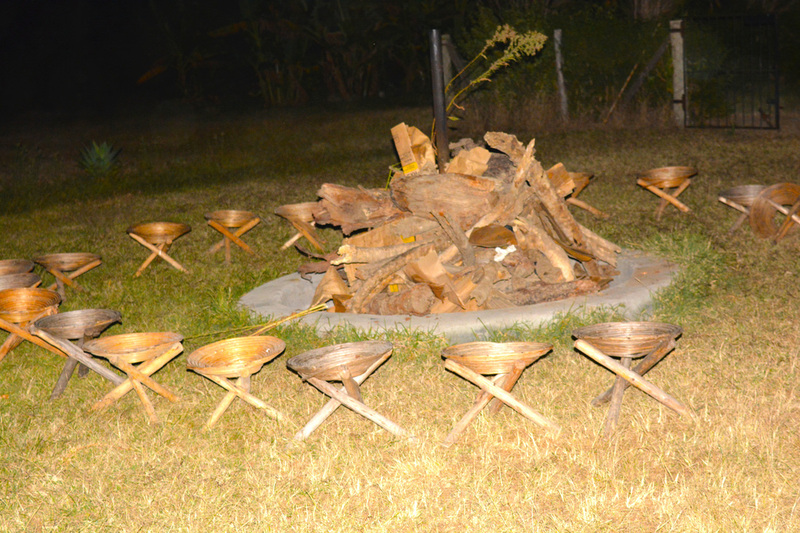 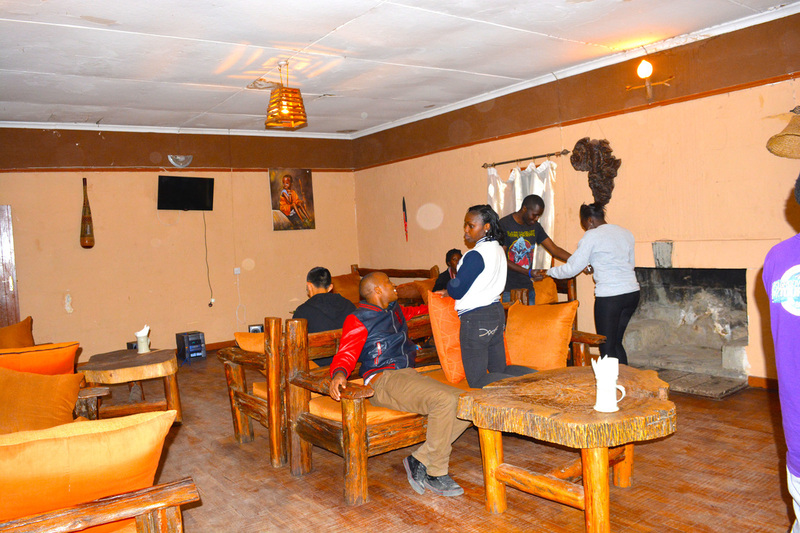 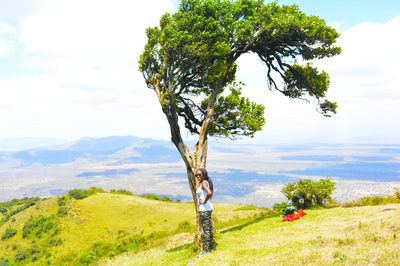 ​Elementeita is derived from the Masaai word muteita, meaning "dust place", a reference to the dryness and dustyness of the area, especially between January and March. 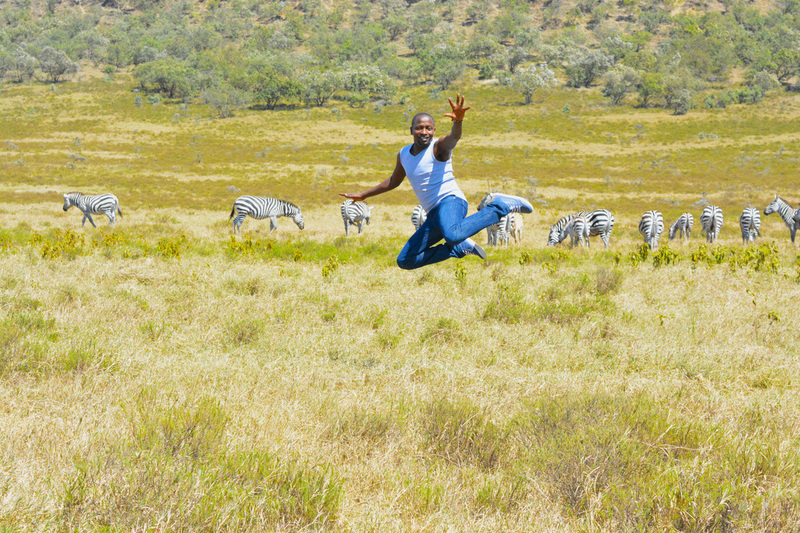 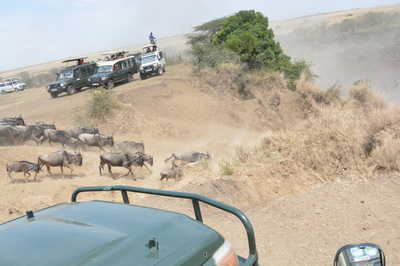 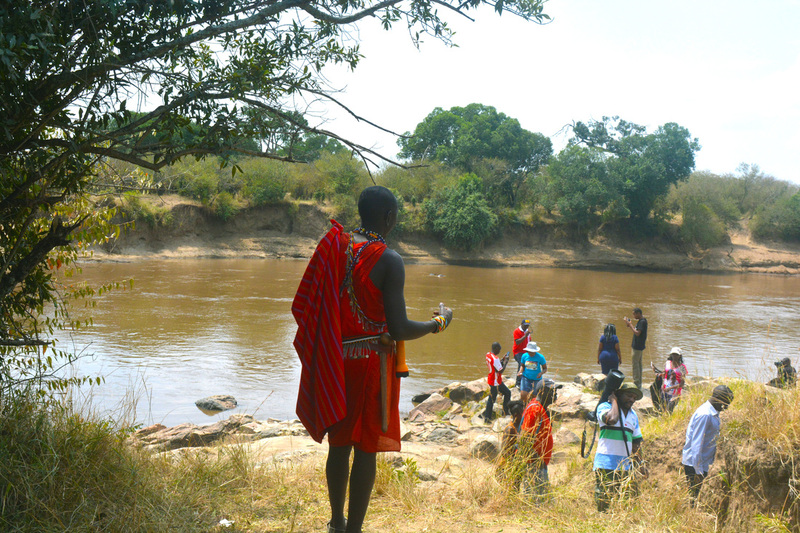 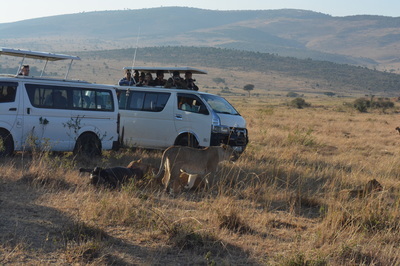 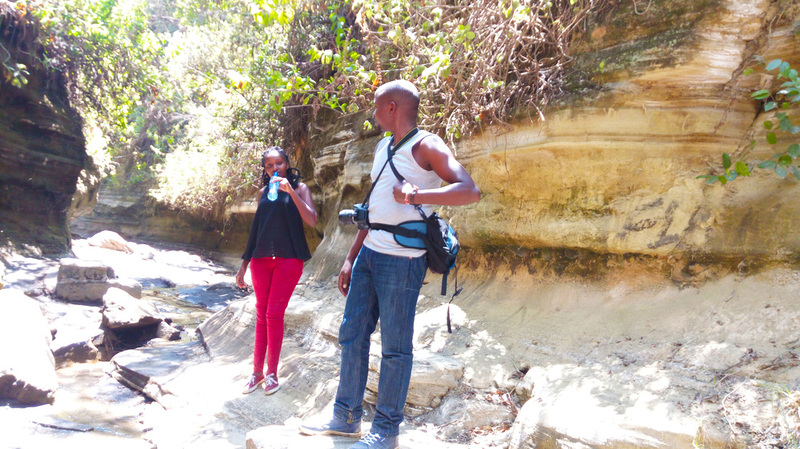 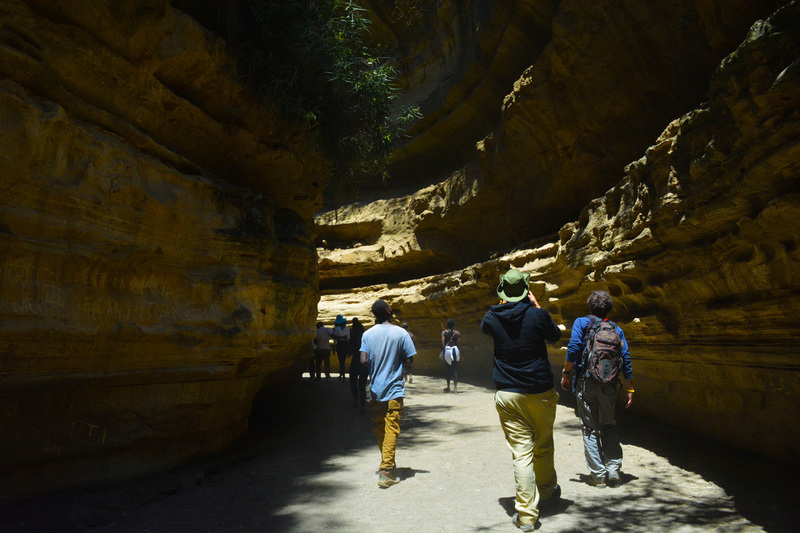 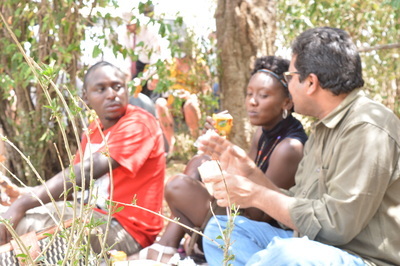 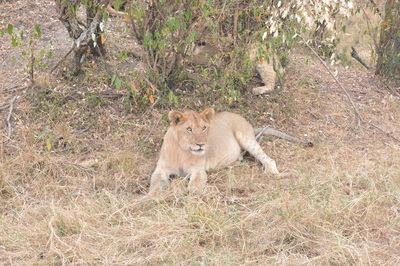 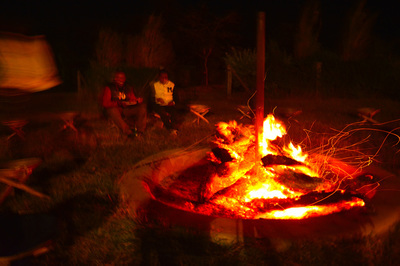 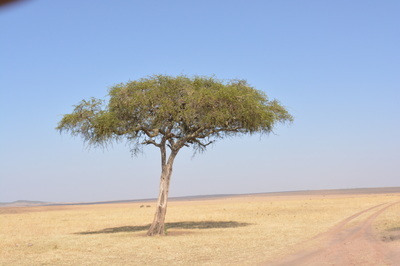 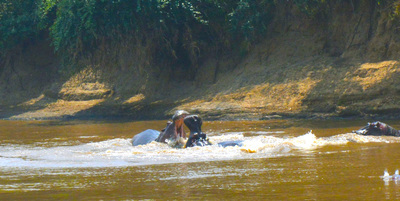 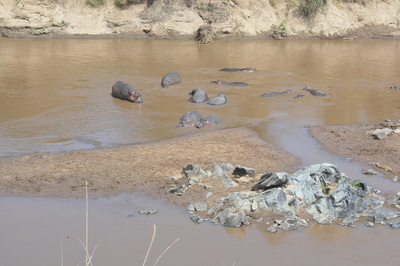 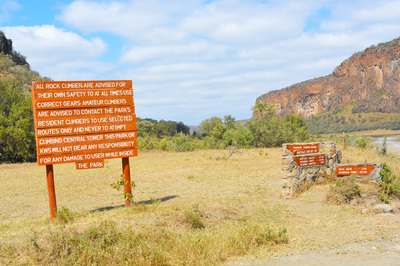 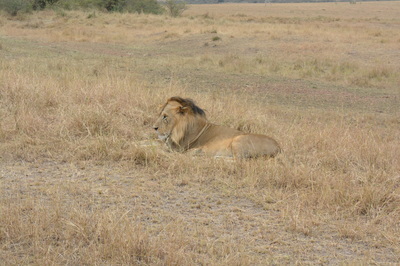 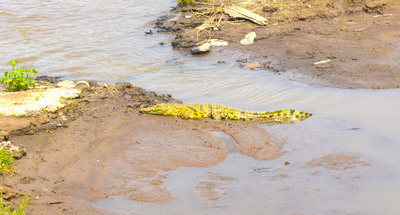 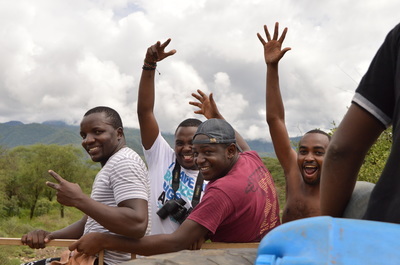 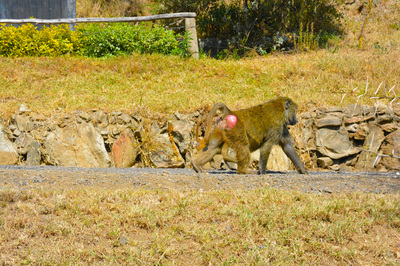 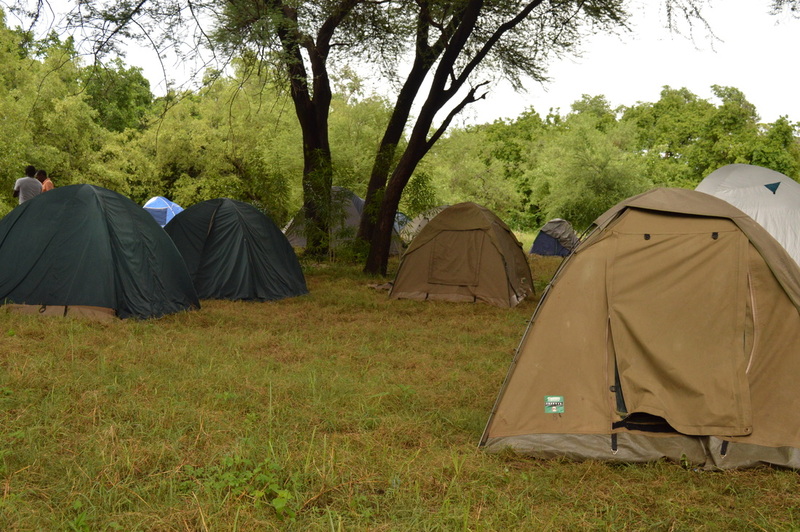 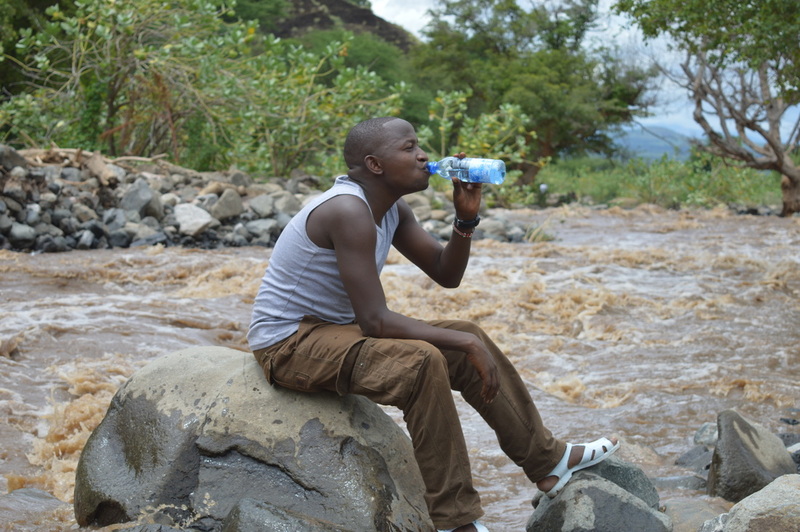 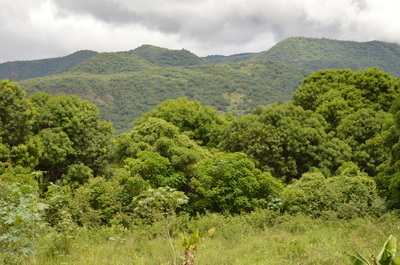 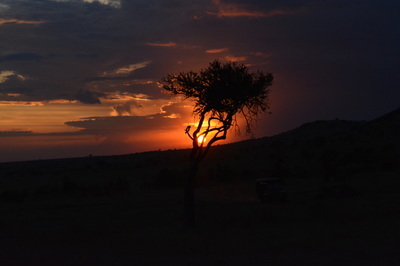 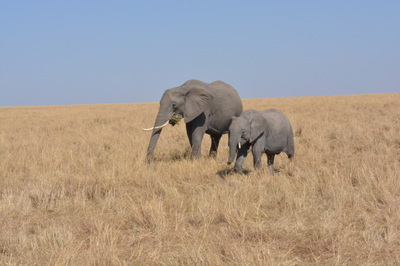 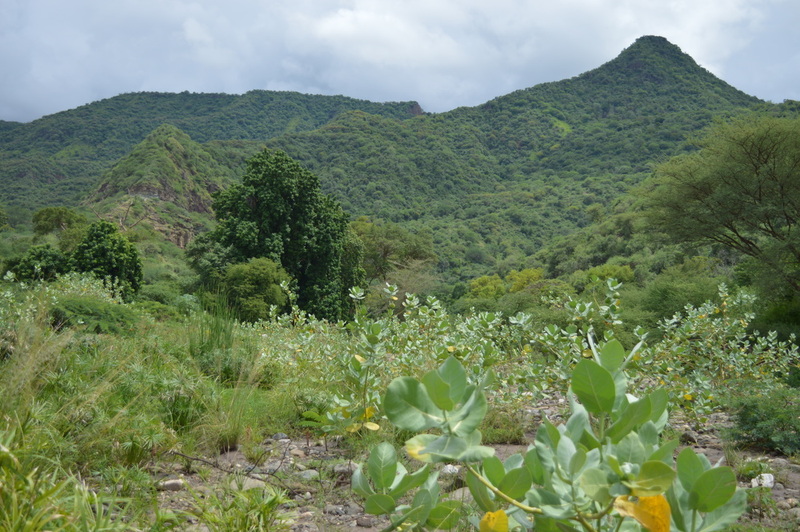 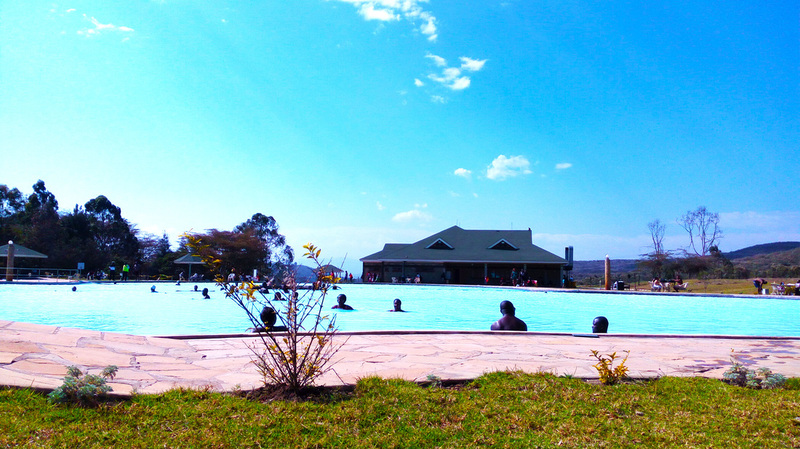 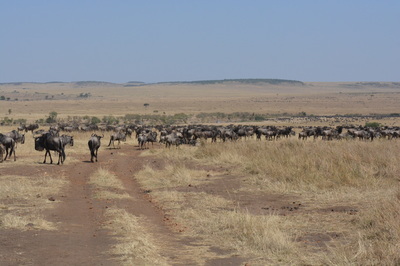 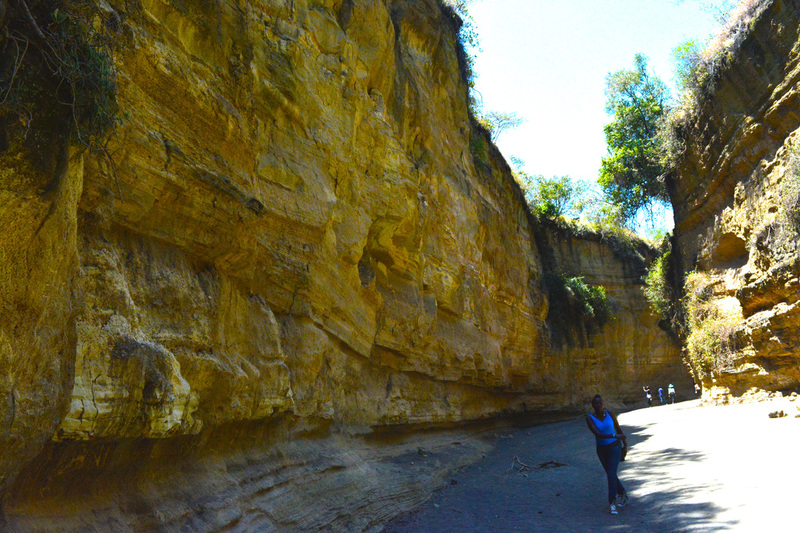 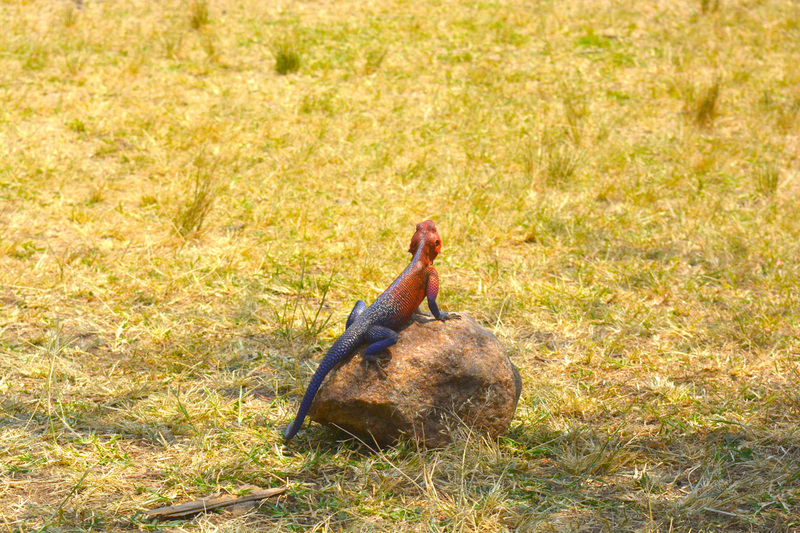 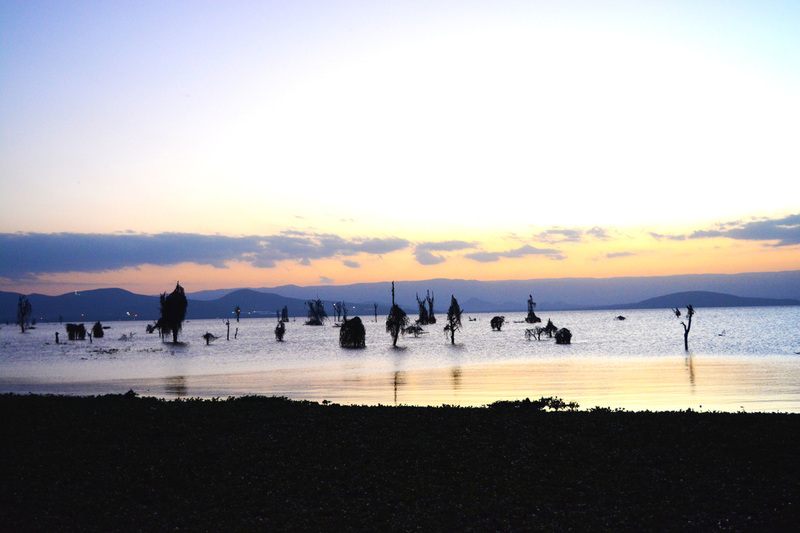 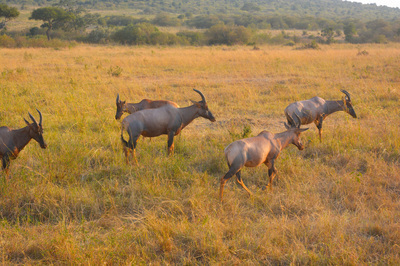 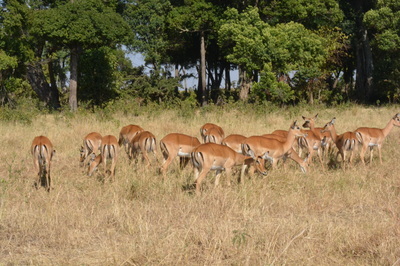 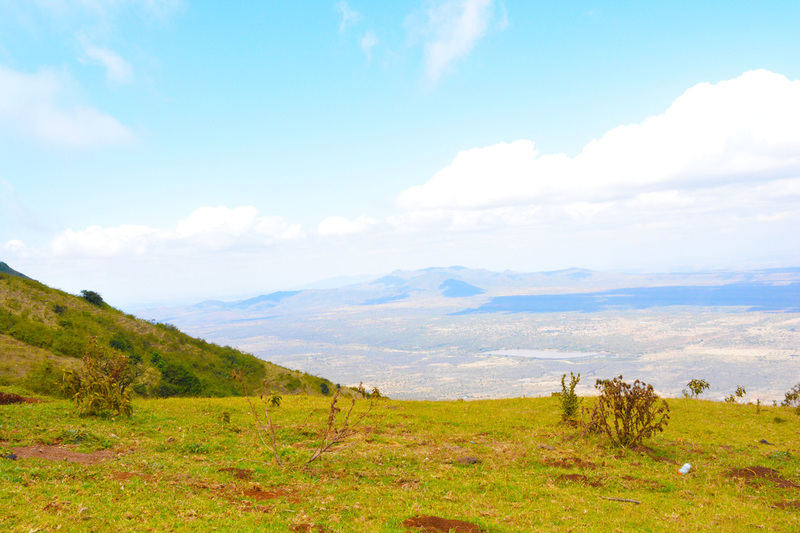 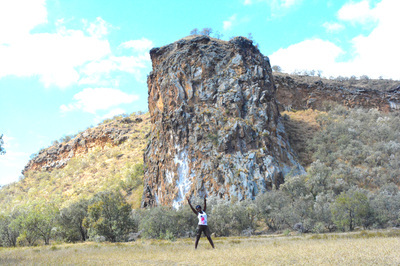 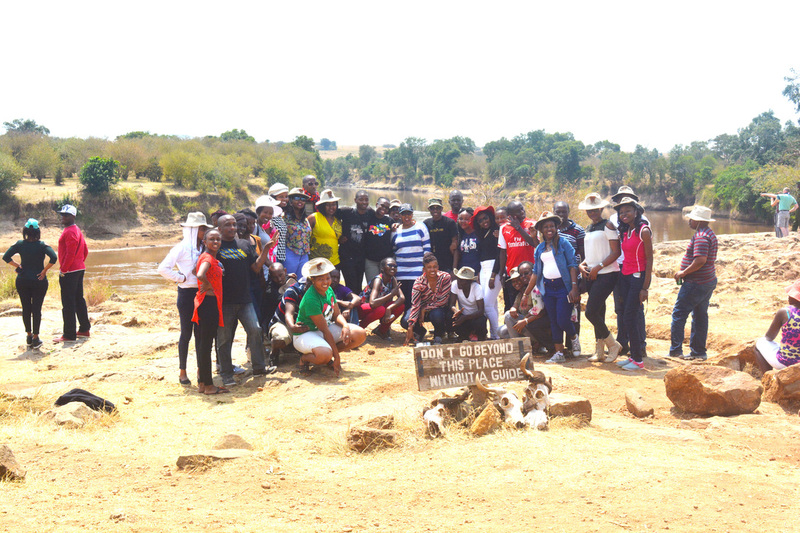 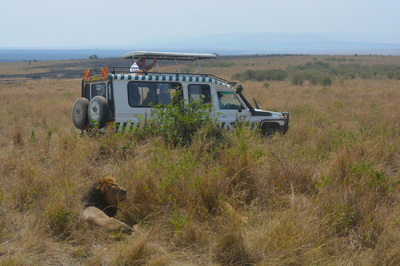 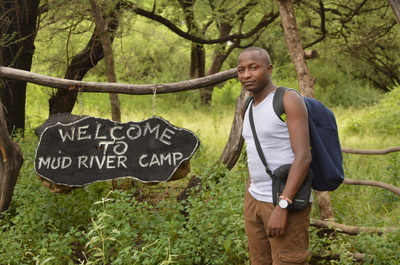 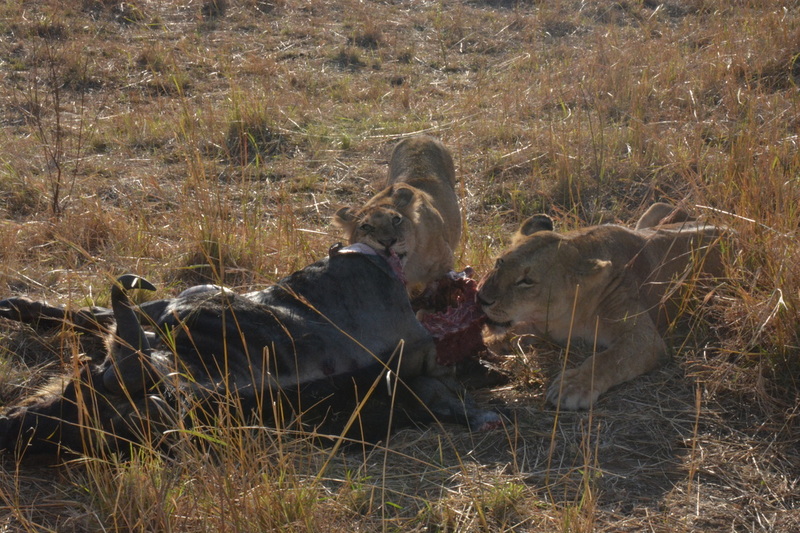 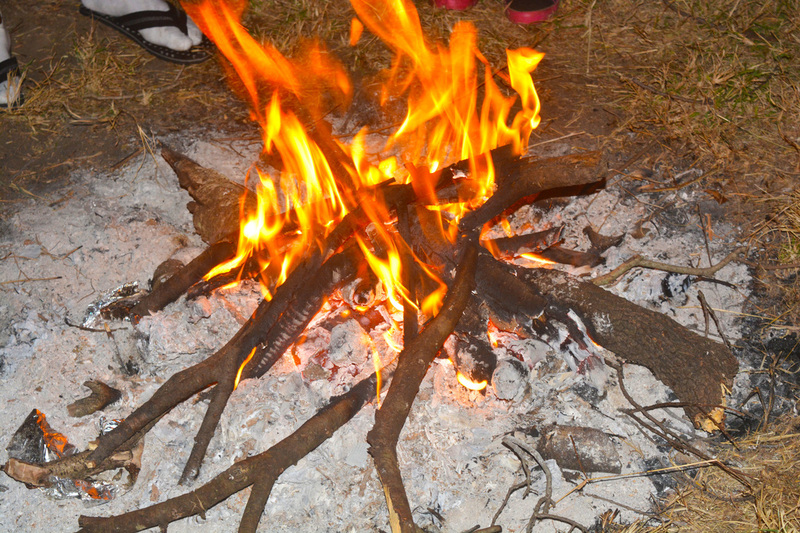 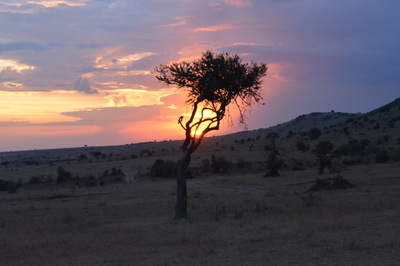 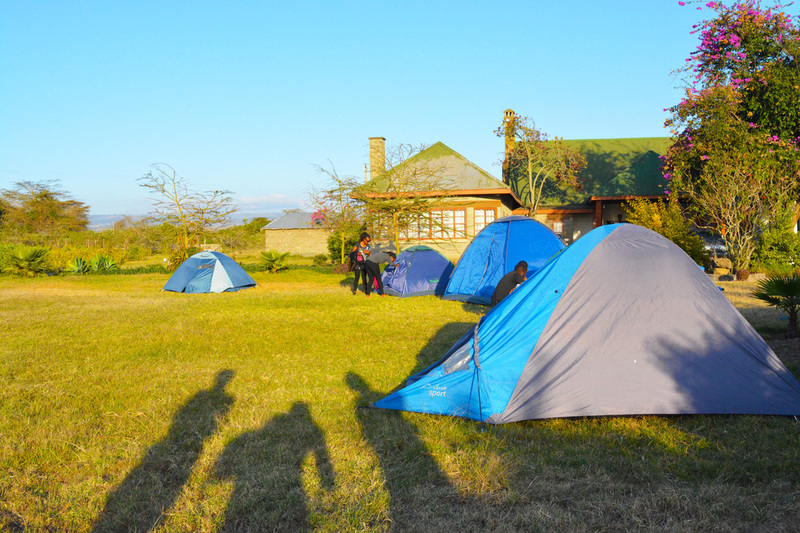 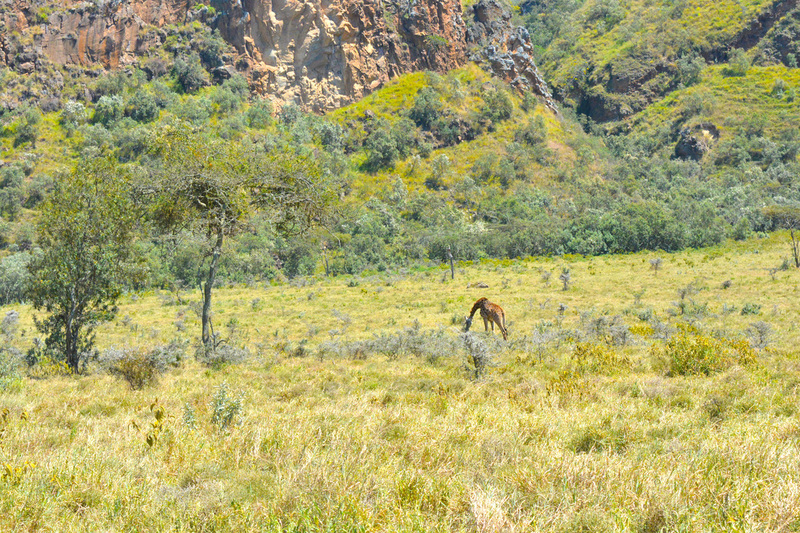 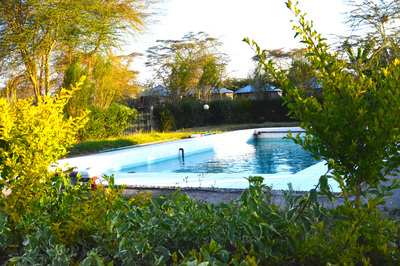 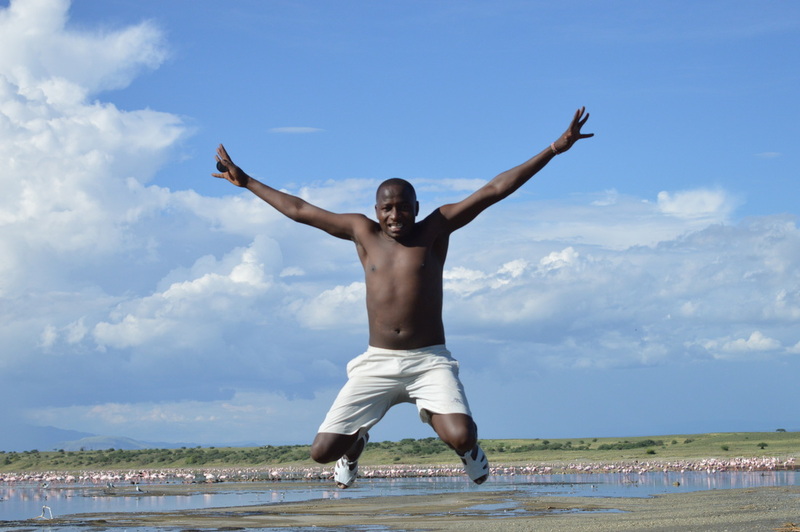 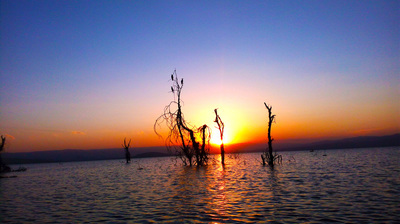 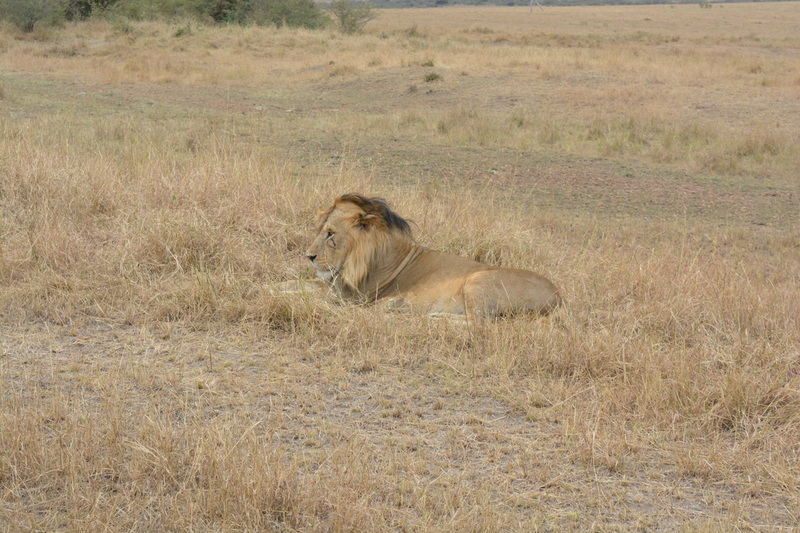 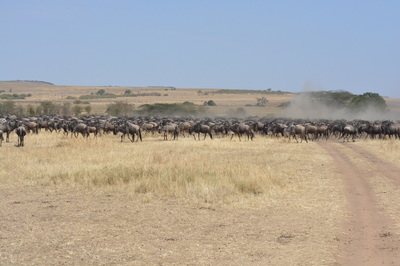 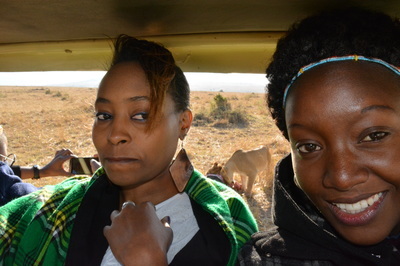 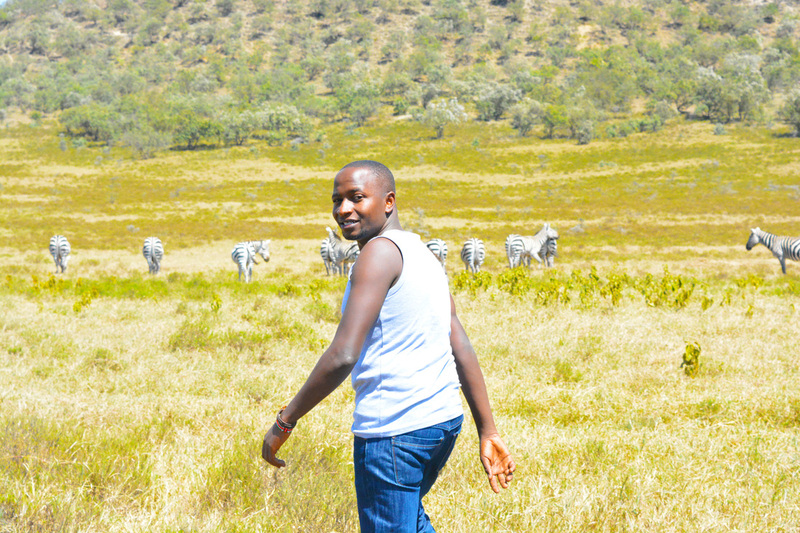 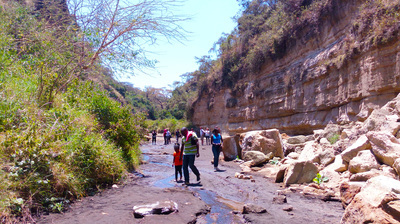 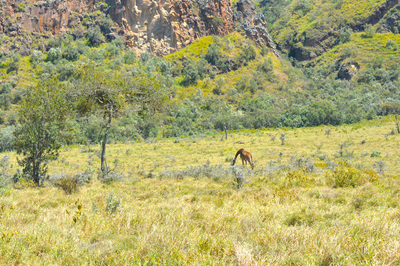 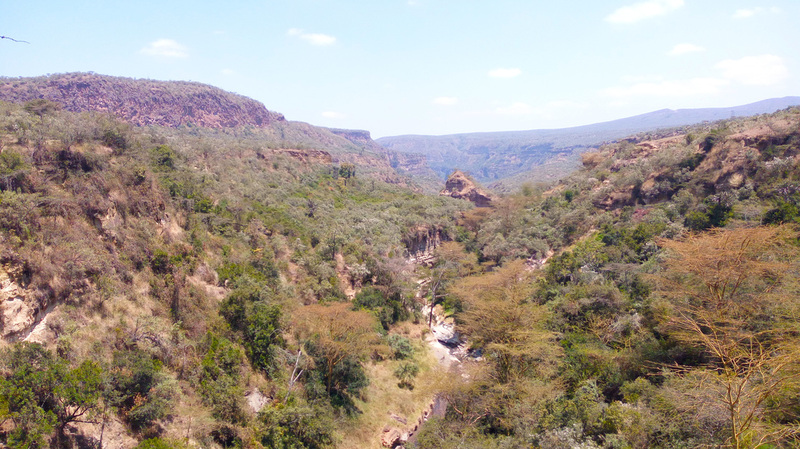 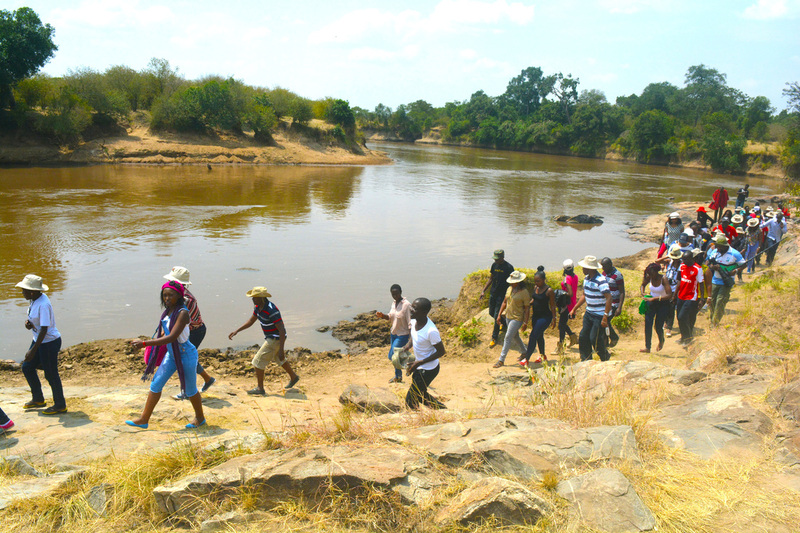 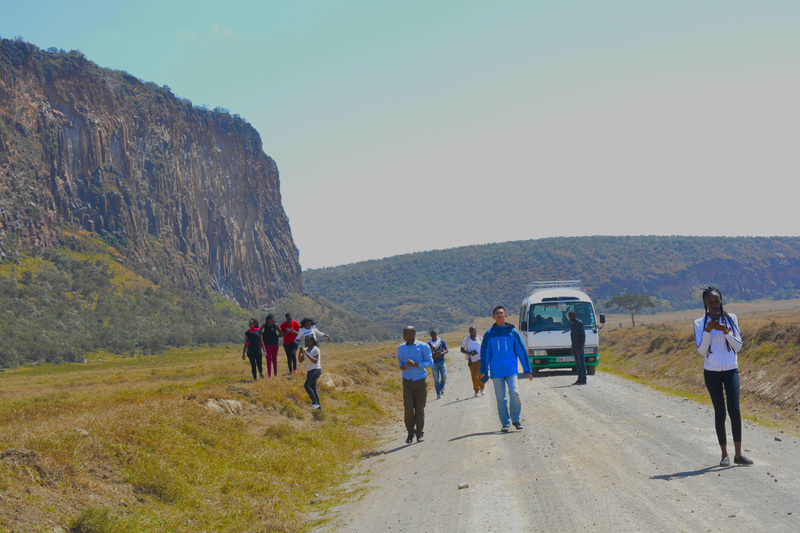 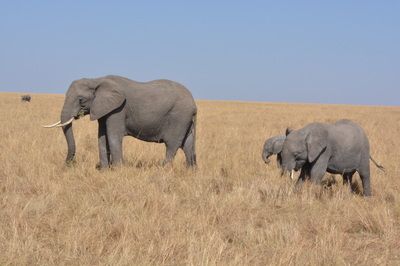 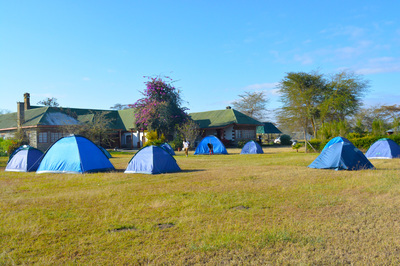 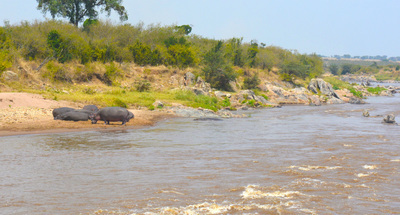 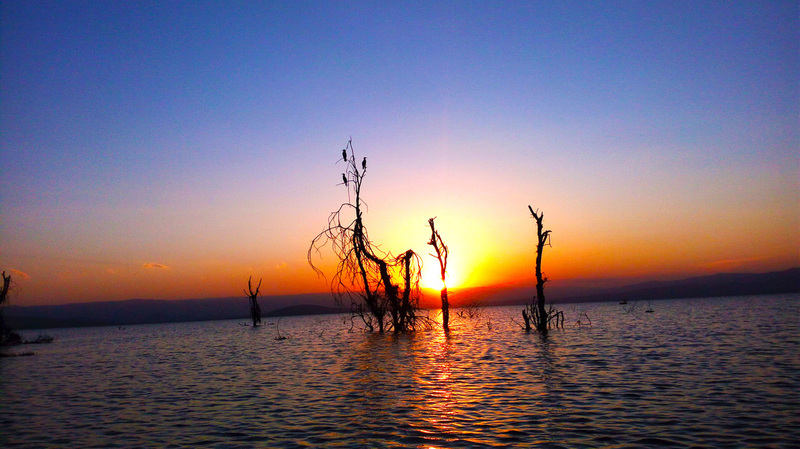 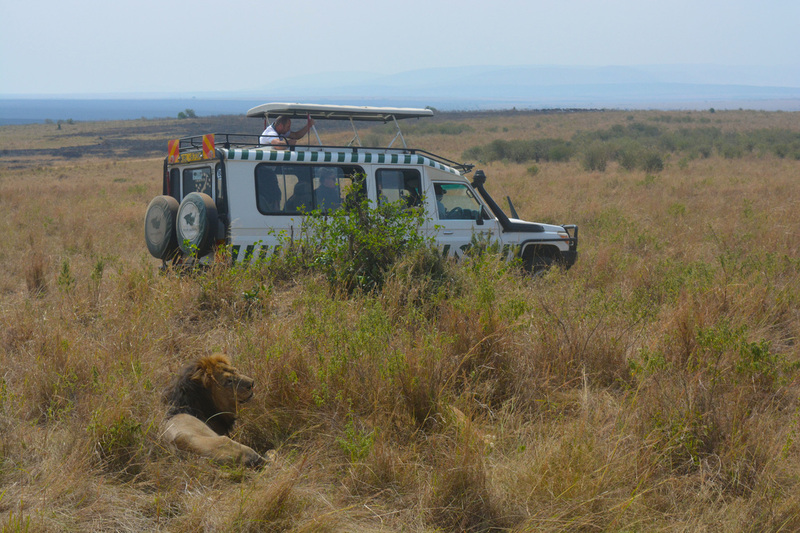 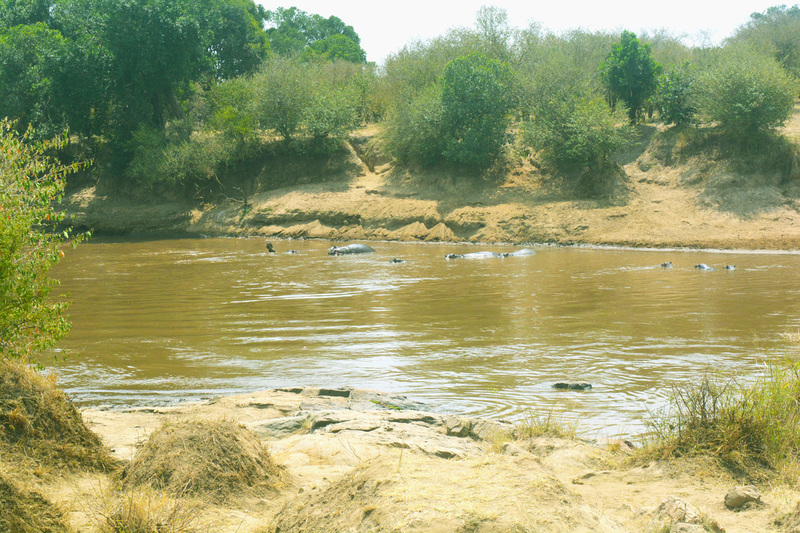 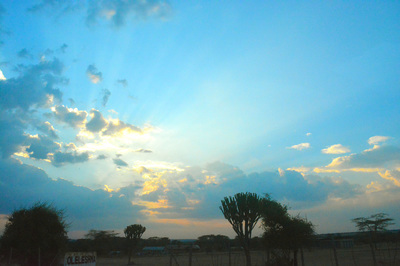 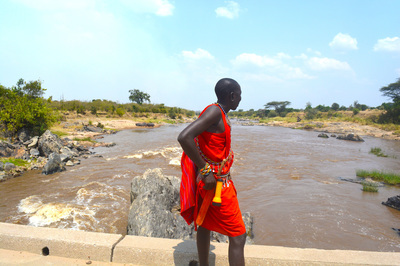 Elementaita is a wonderous wilderness to visit anytime during the year, but I recommend visiting during the dry season. 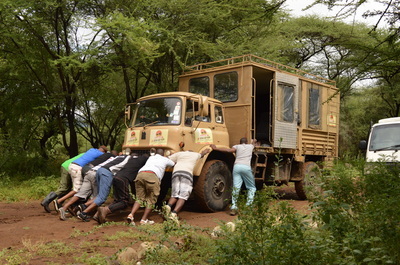 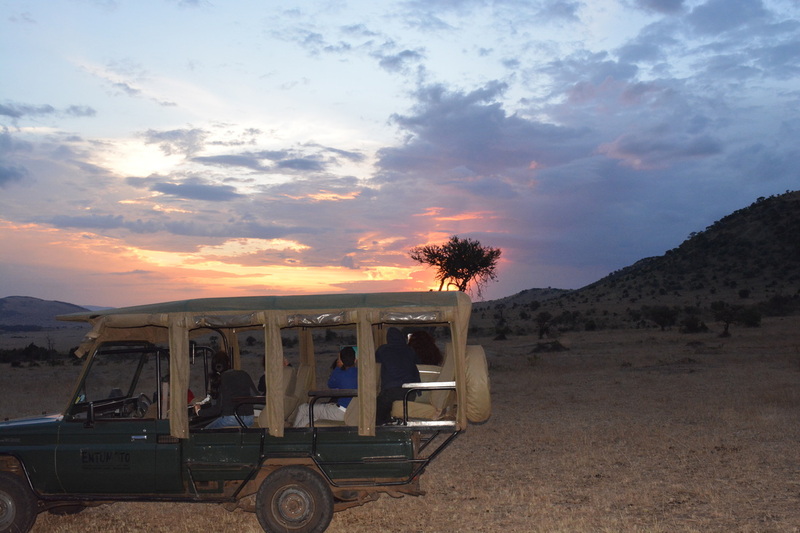 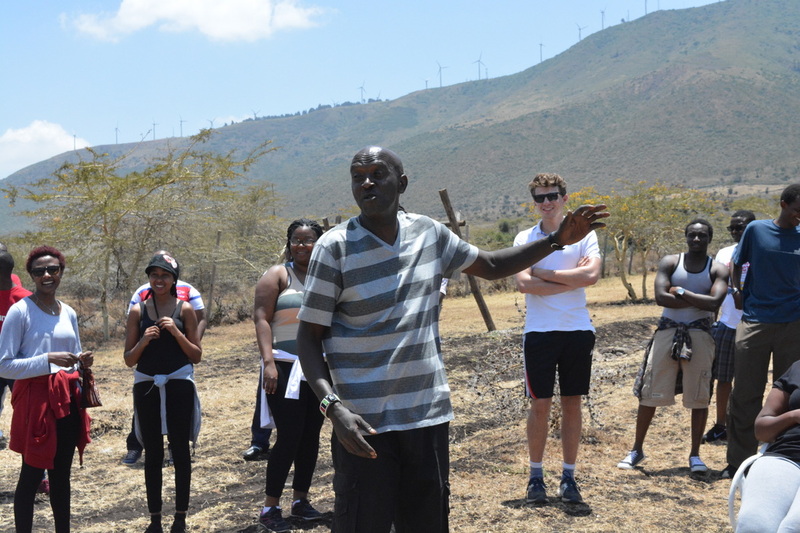 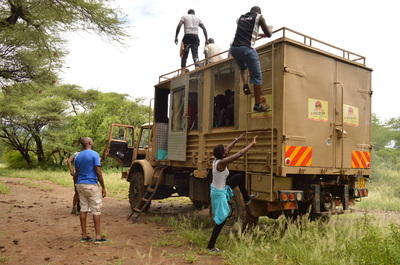 ​Sagana leads the way in Kenyan adventure tourism providing unique, breathtaking experiences in one of Nature’s most beautiful environments. 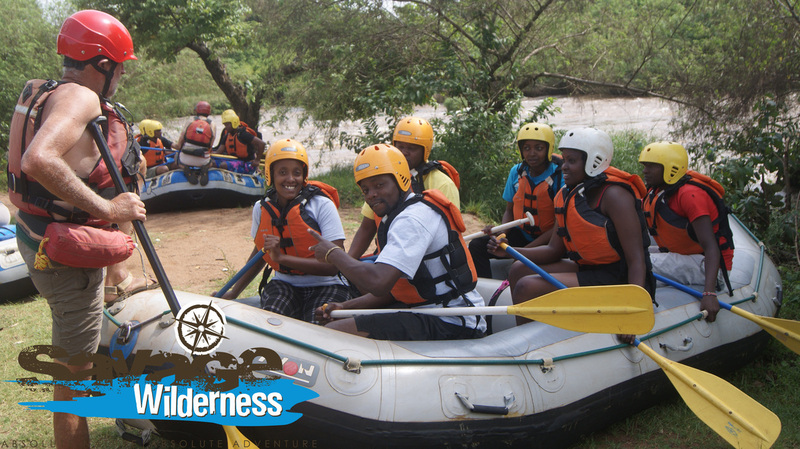 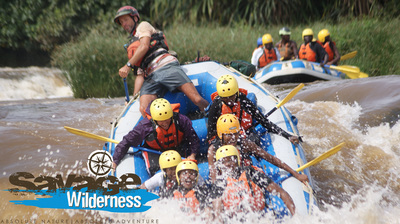 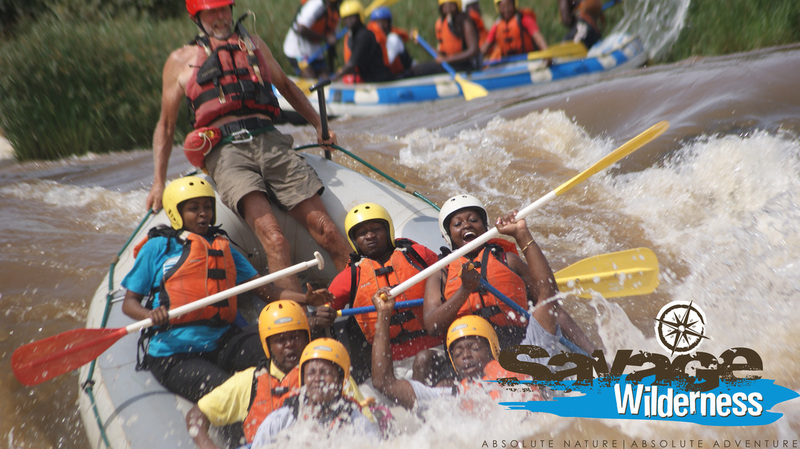 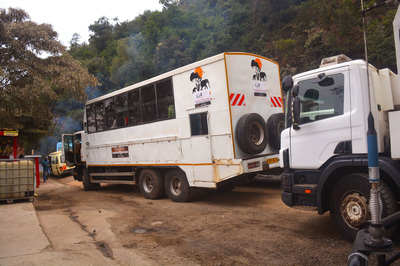 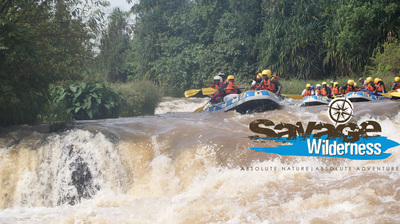 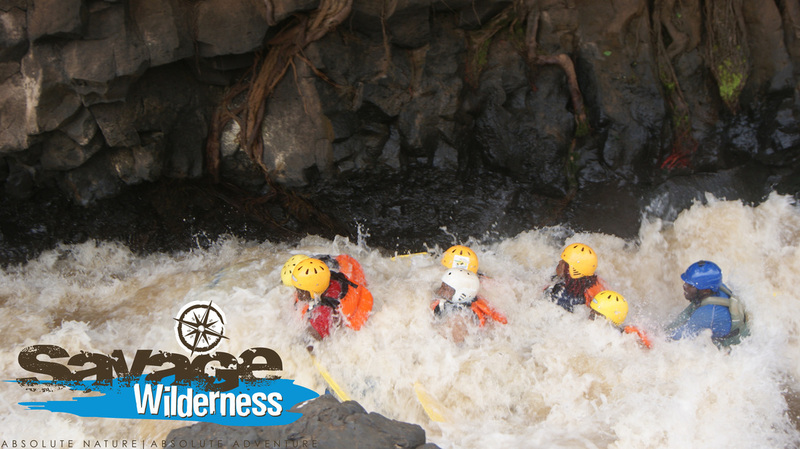 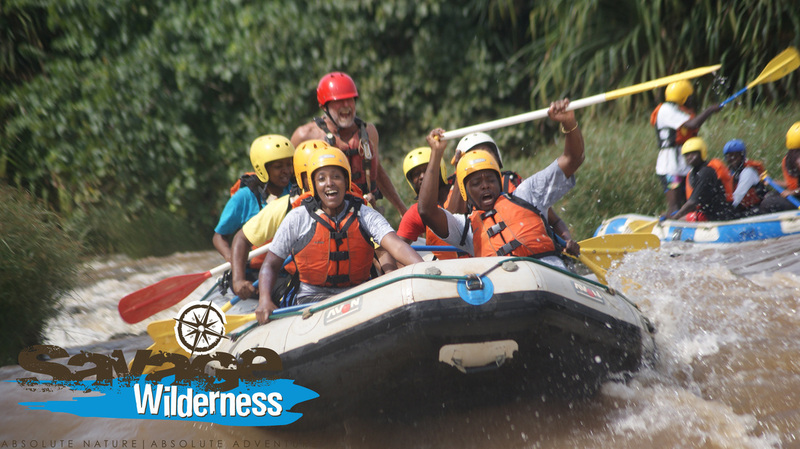 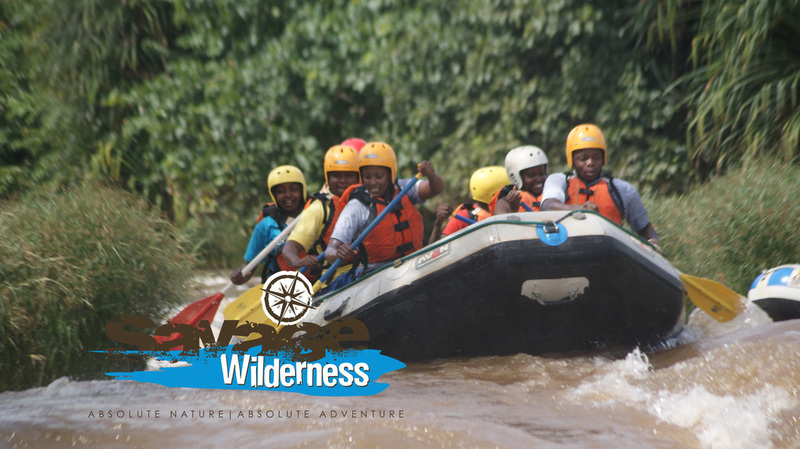 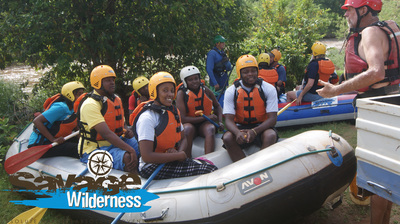 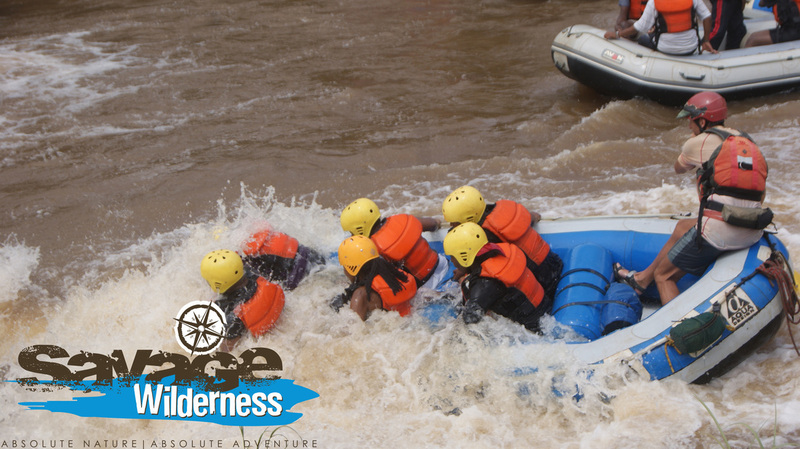 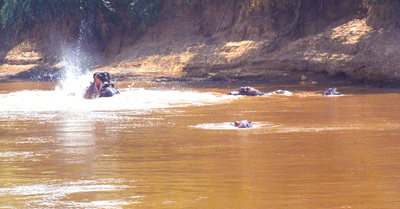 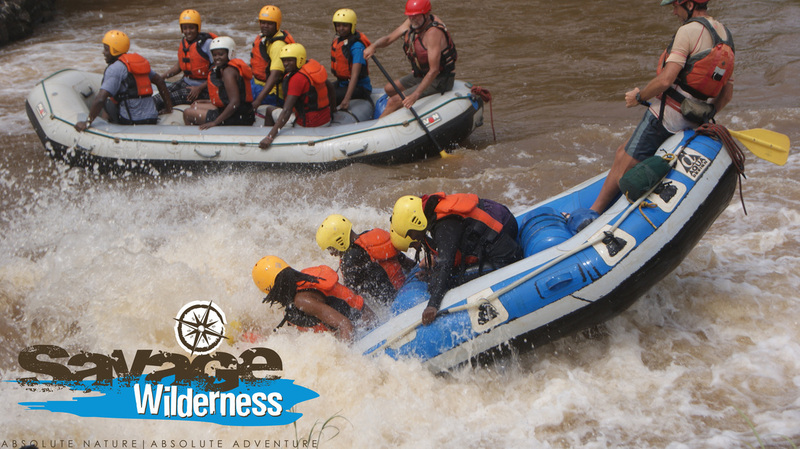 Led by an international team of outdoor experts fully trained to provide the highest safety standards; you will cross rivers, plains and plateaus in an extraordinary and unforgettable adventure. Nguruman Escarpment is an escarpment in southern Kenya. 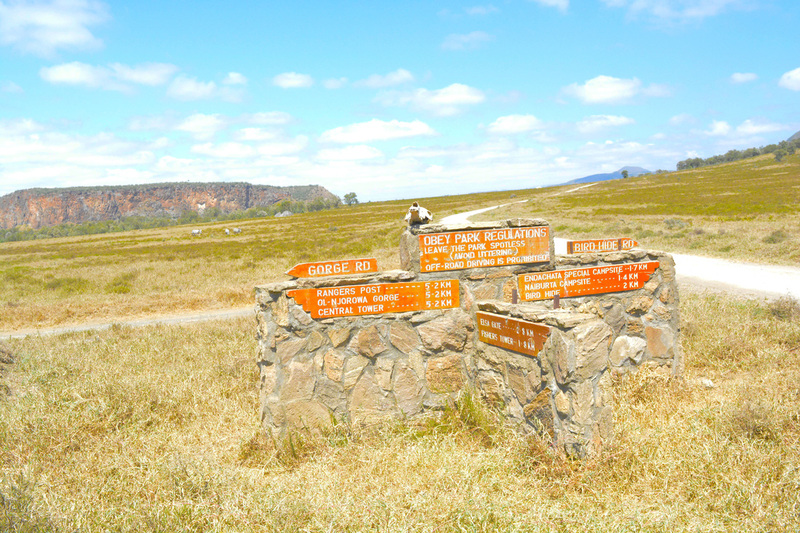 The escarpment is around 50 kilometers long and elongated in N-W direction. 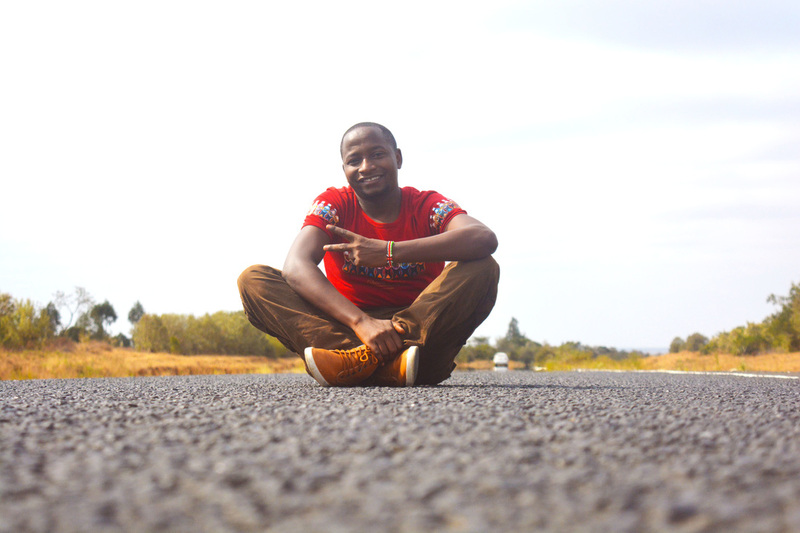 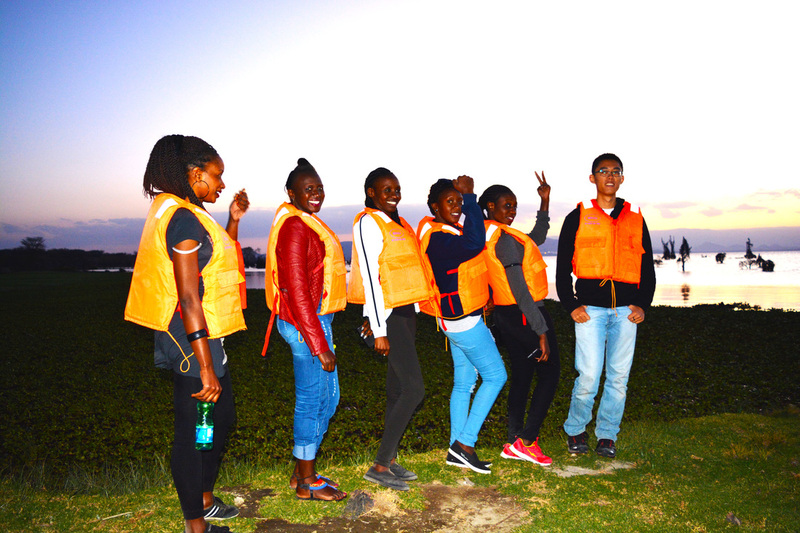 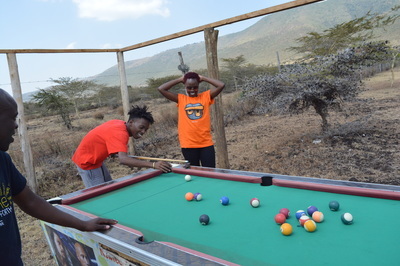 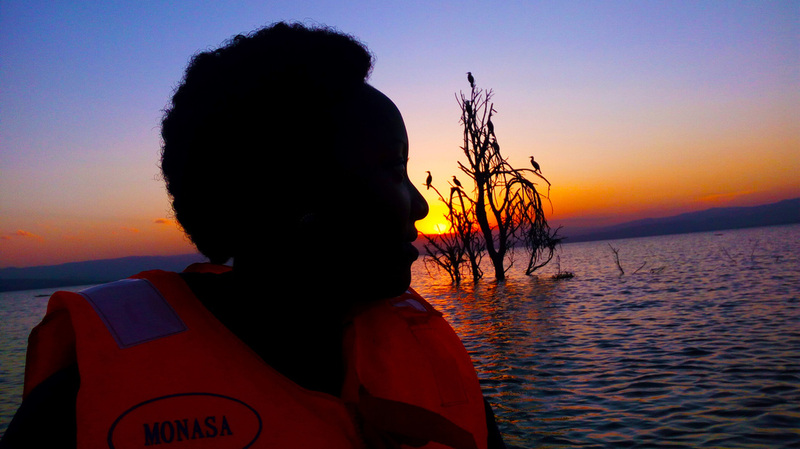 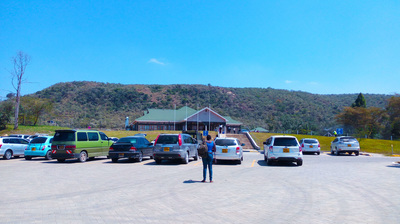 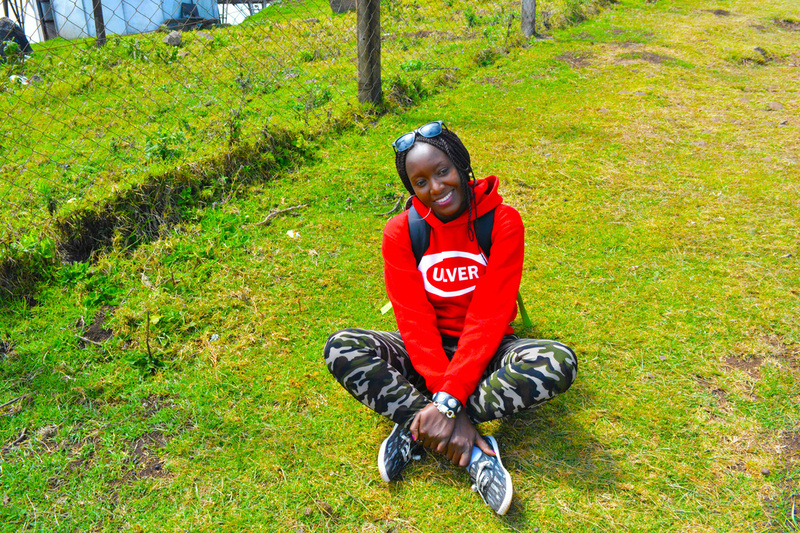 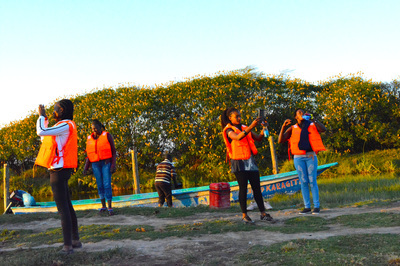 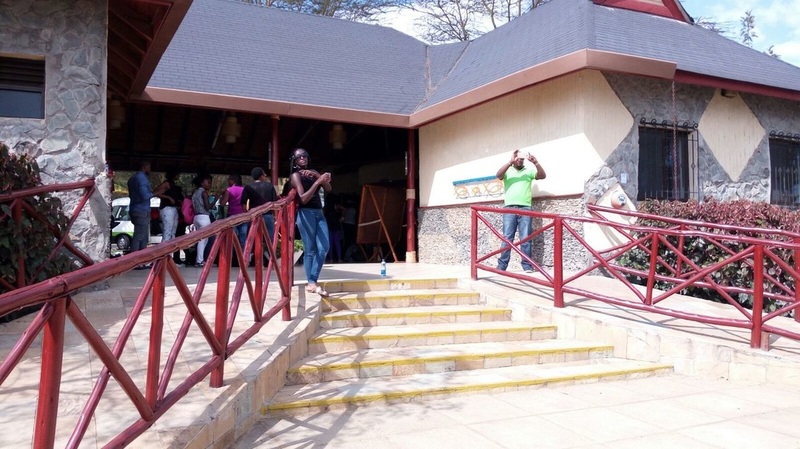 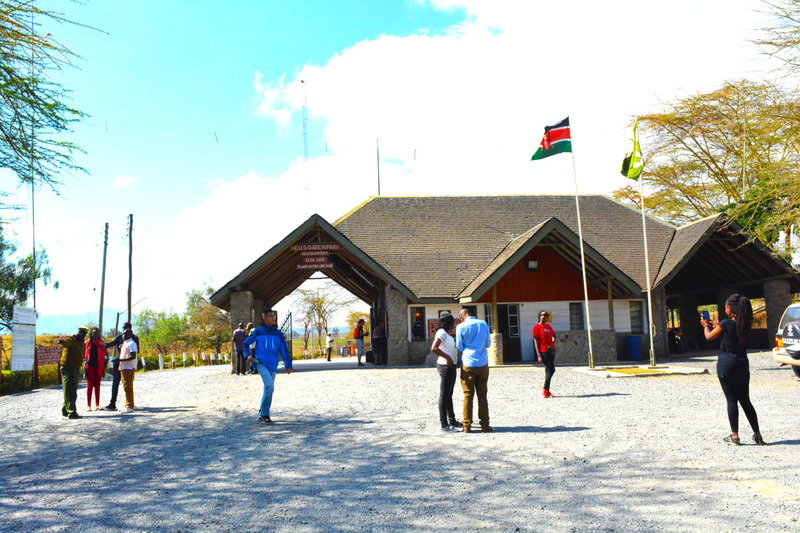 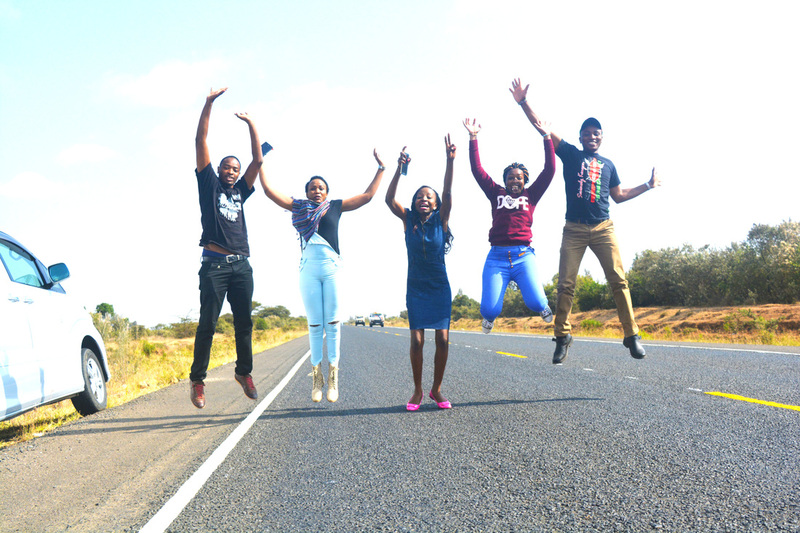 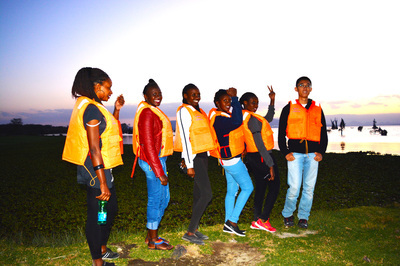 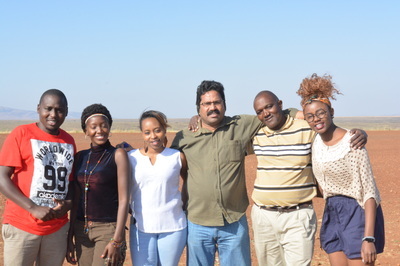 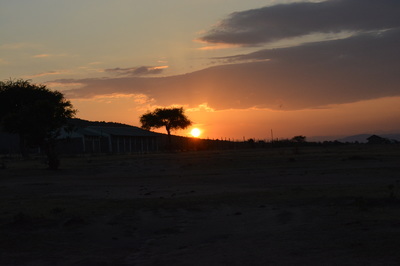 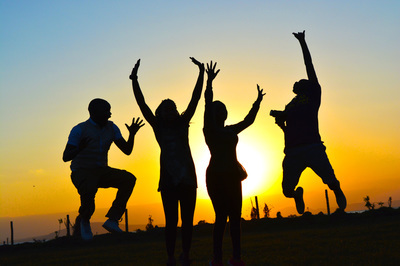 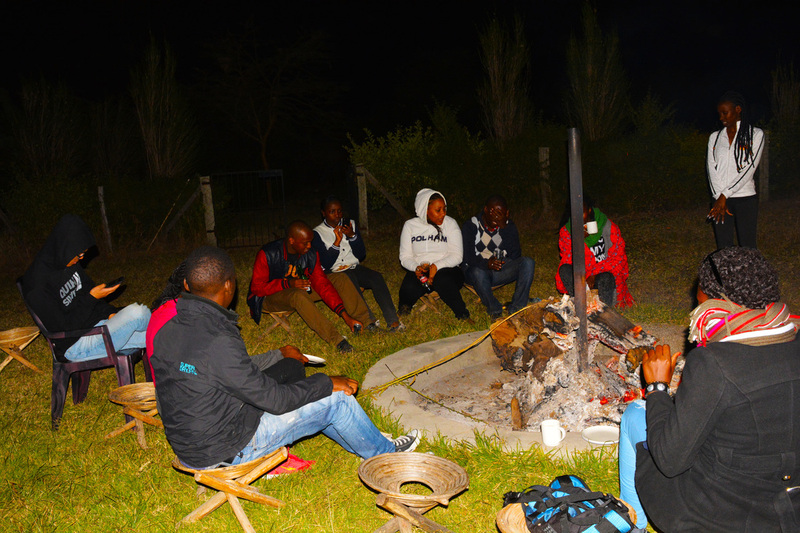 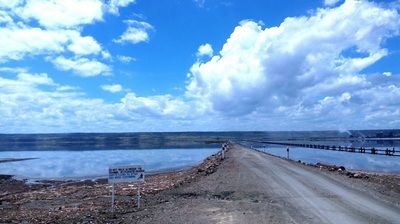 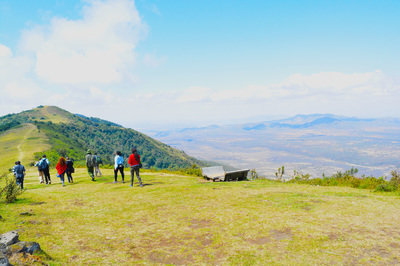 Its northern edge approximately 120 km southwest of Nairobi, while the southern edge is near the Tanzanian border, at the northwestern corner of Lake Natron. 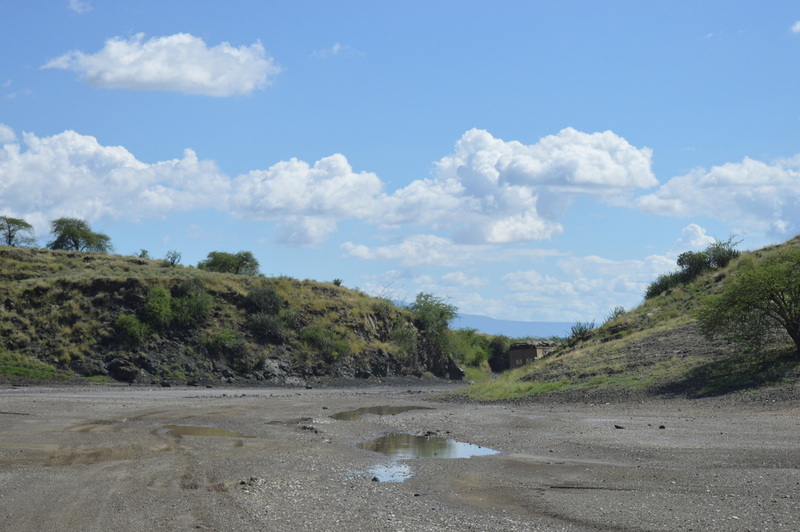 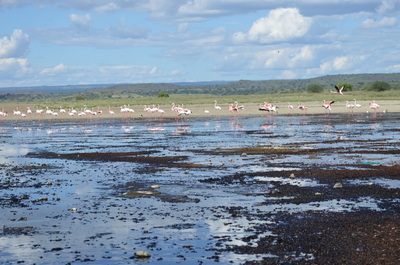 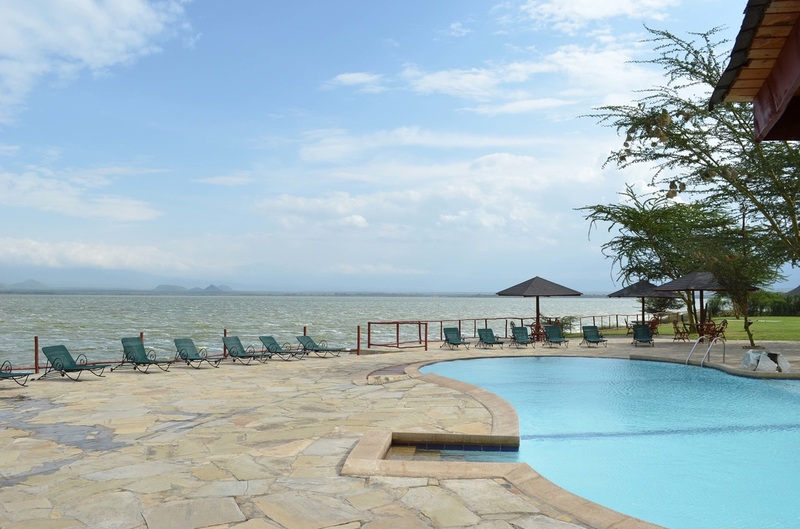 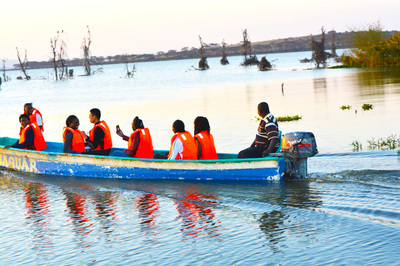 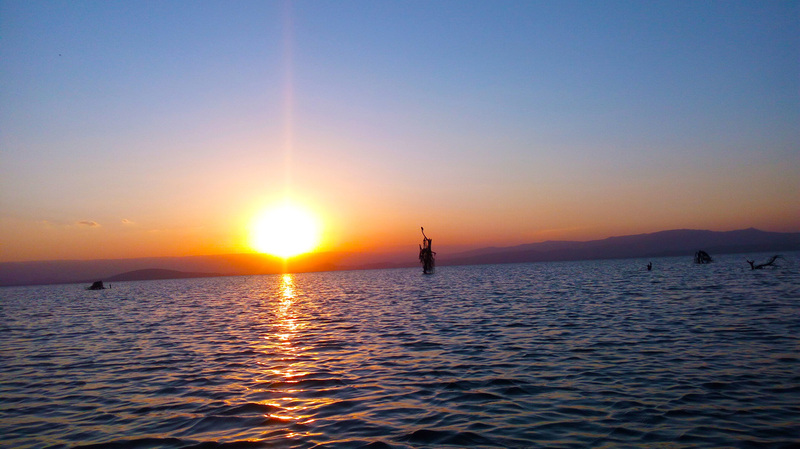 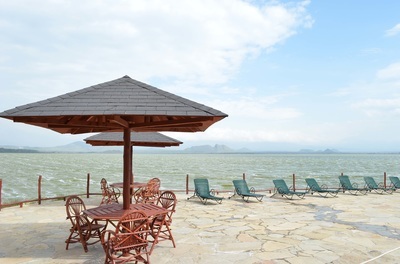 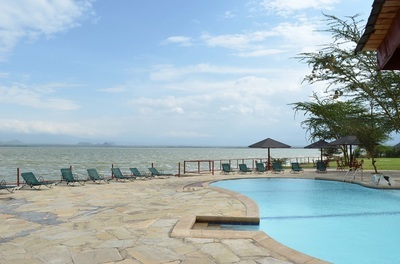 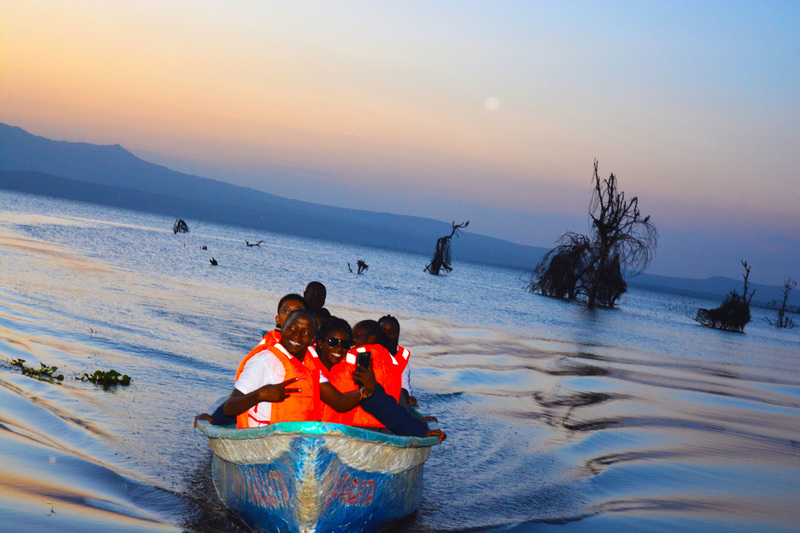 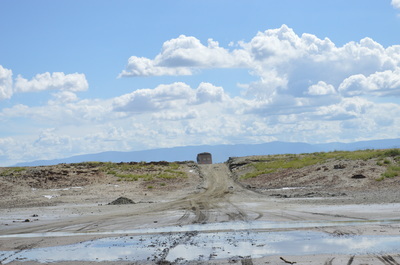 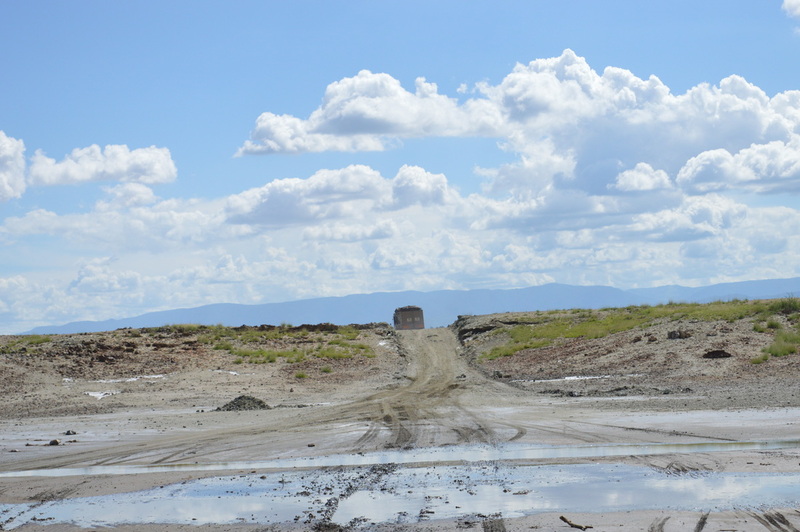 Deep in the heart of Southern Kenya’s Maasai land in a catchment of faulted volcanic rocks is the unearthly Lake Magadi. 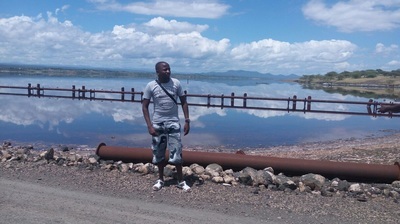 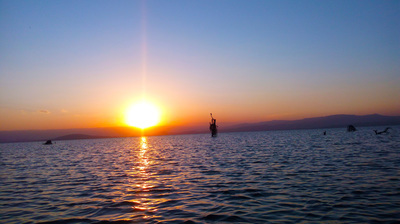 This 104 sq km alkaline lake is an example of a “saline pan” and is the most mineral-rich of the soda lakes. 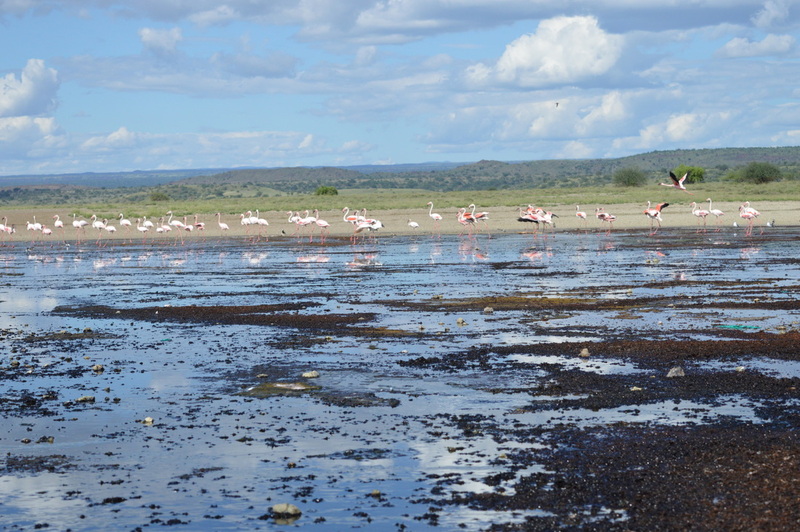 It is almost entirely covered by a thick encrustation of soda that supports many bird species and gives the landscape a weird lunar appearance completely surrounded by vast natural salt flats. 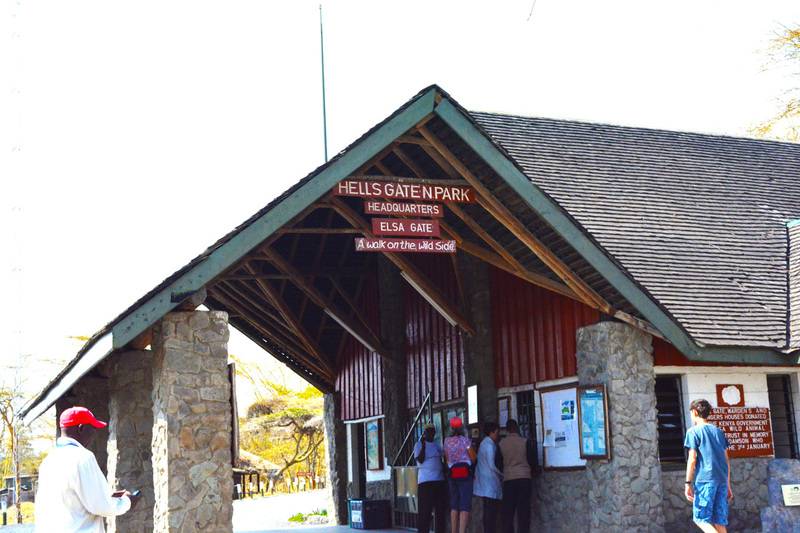 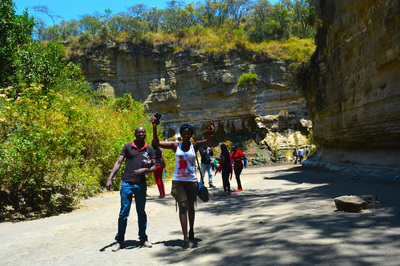 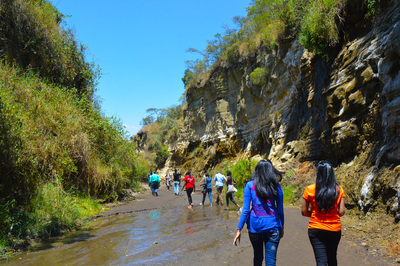 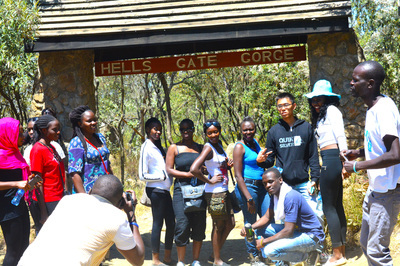 Hell's Gate is named for the intense geothermal activities within its boundaries. 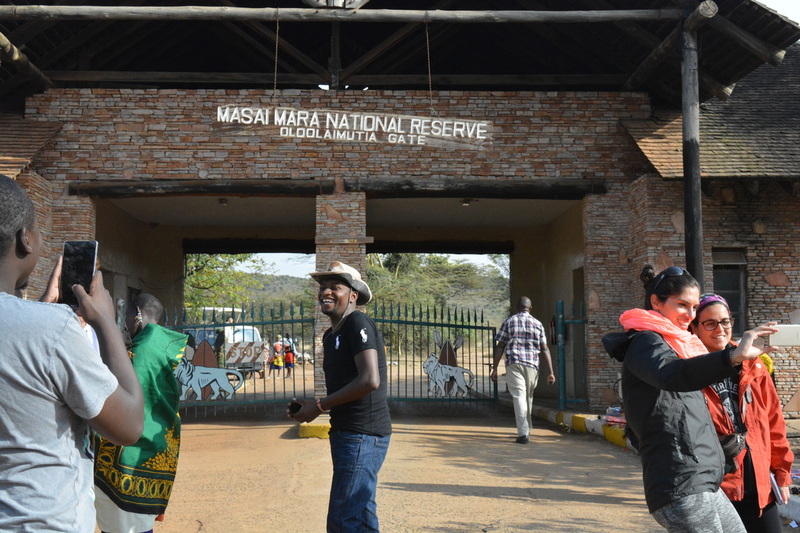 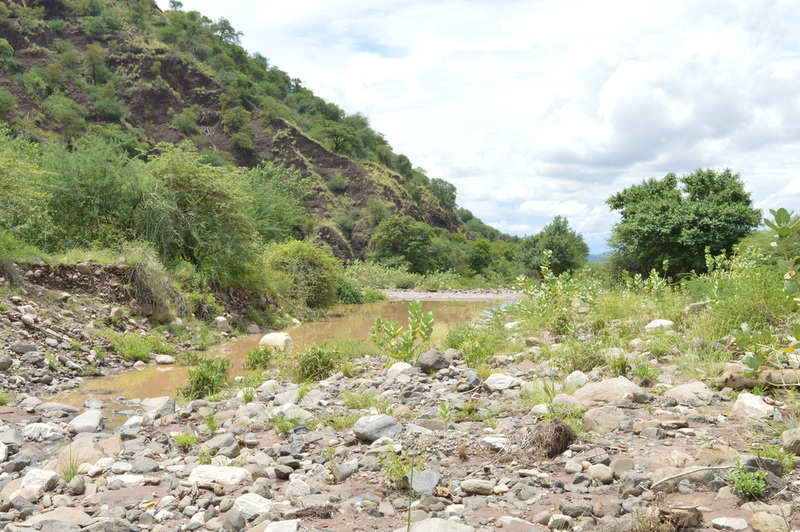 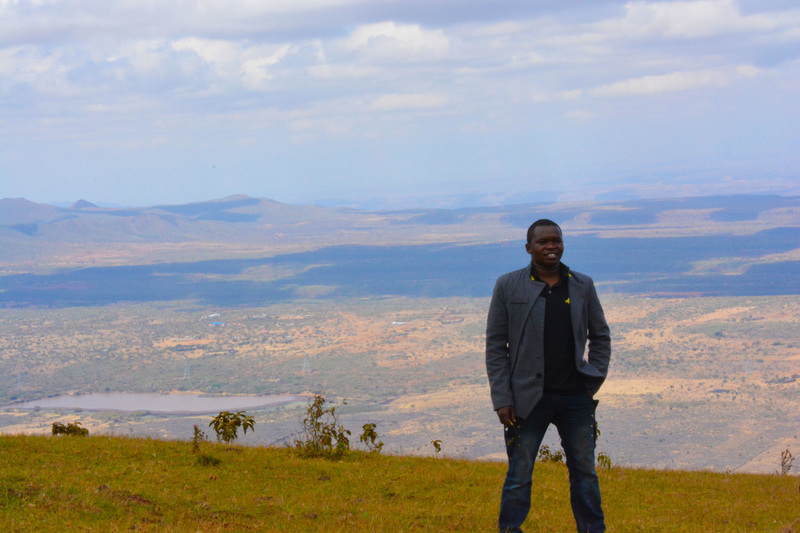 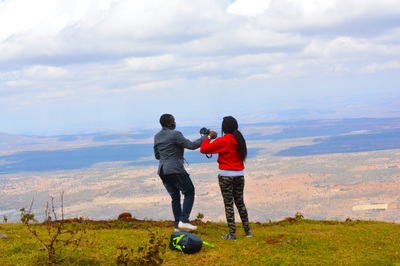 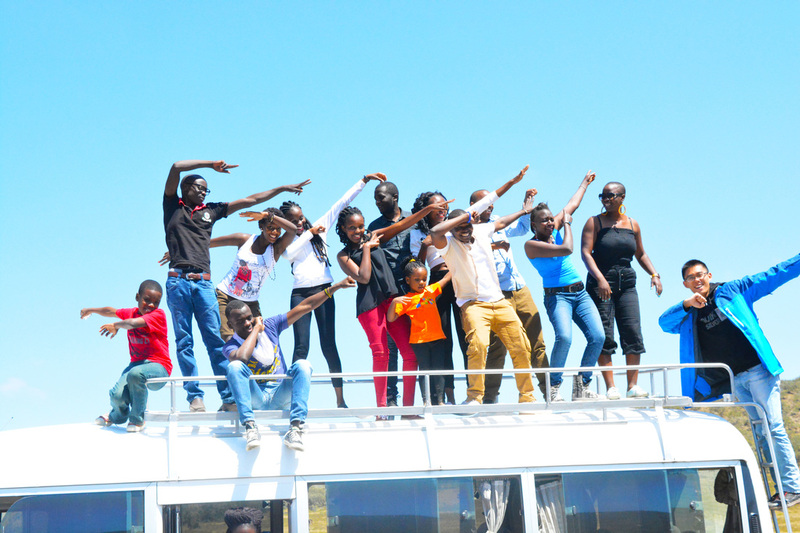 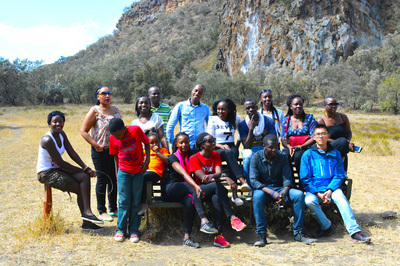 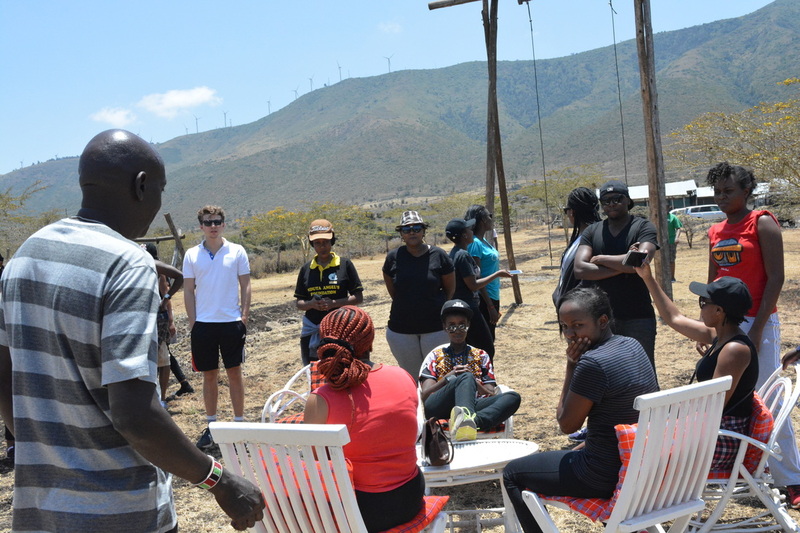 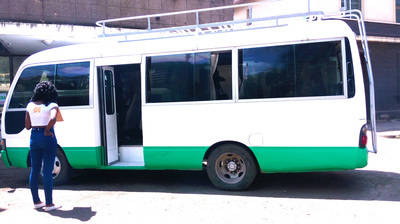 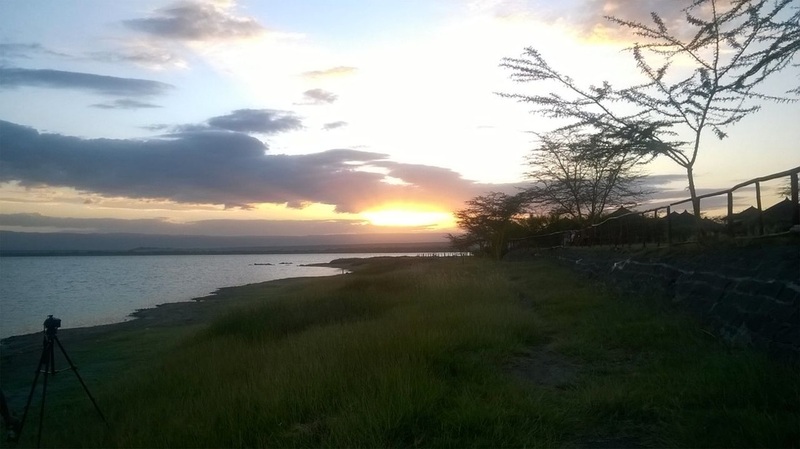 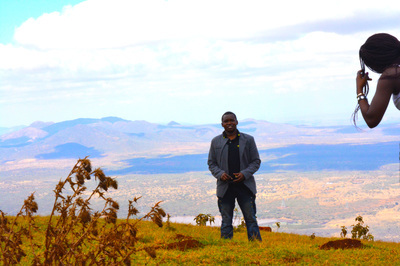 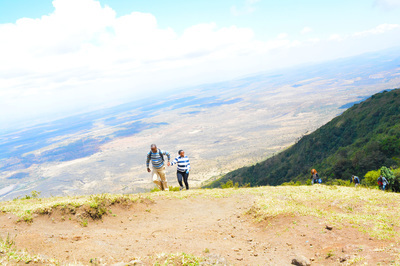 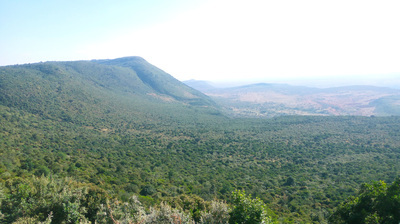 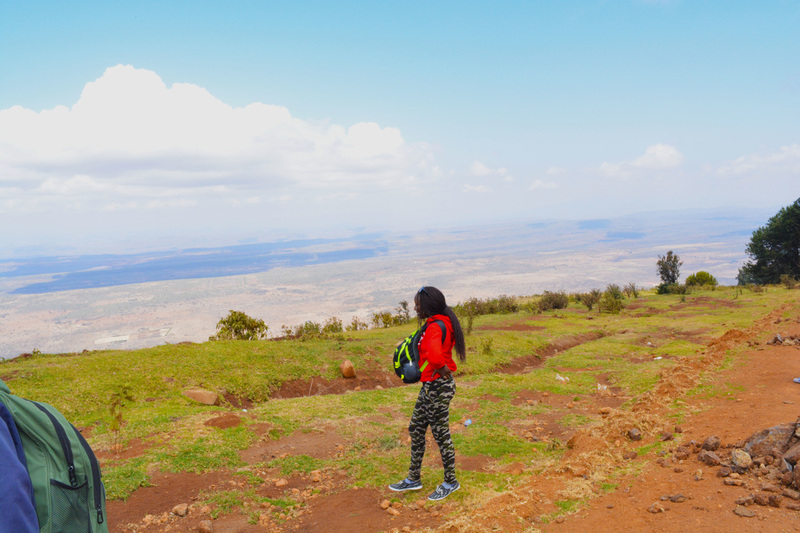 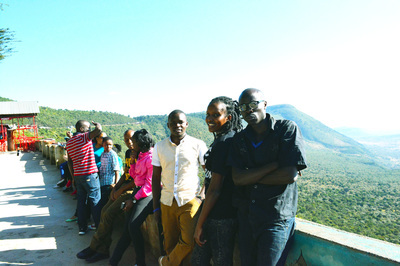 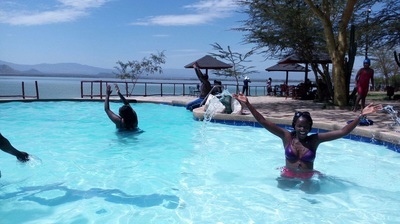 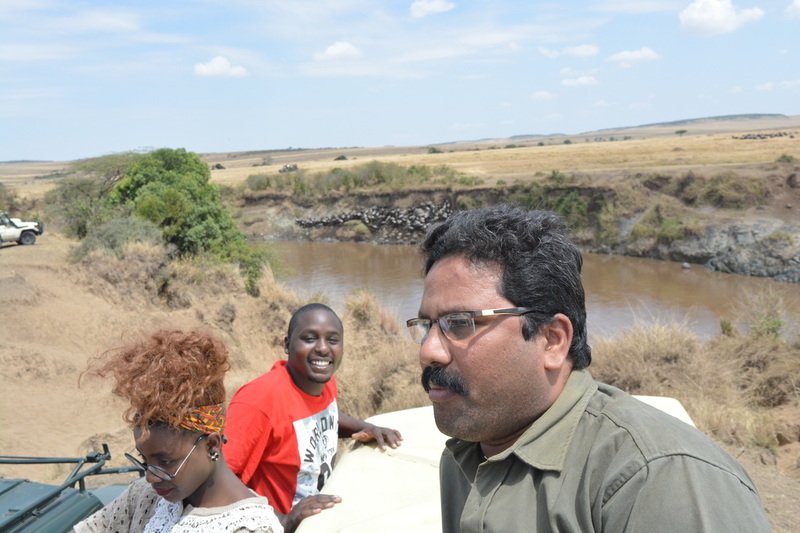 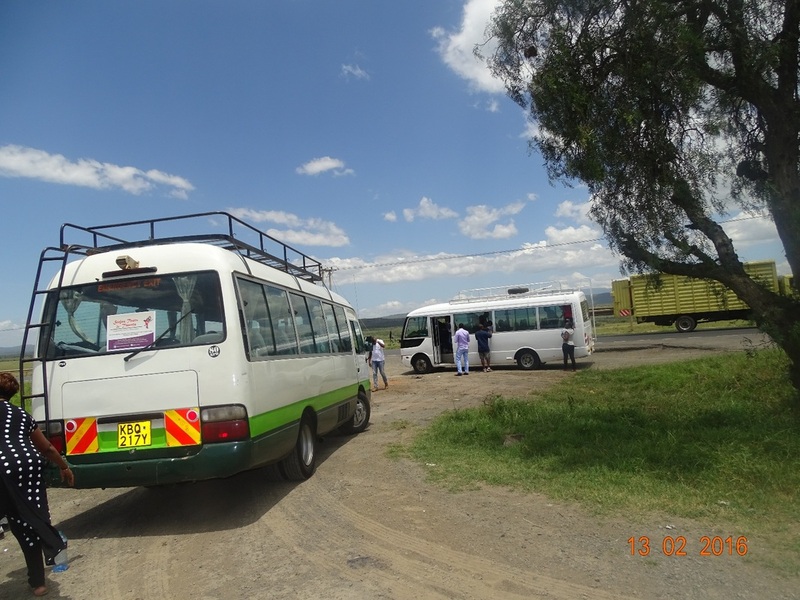 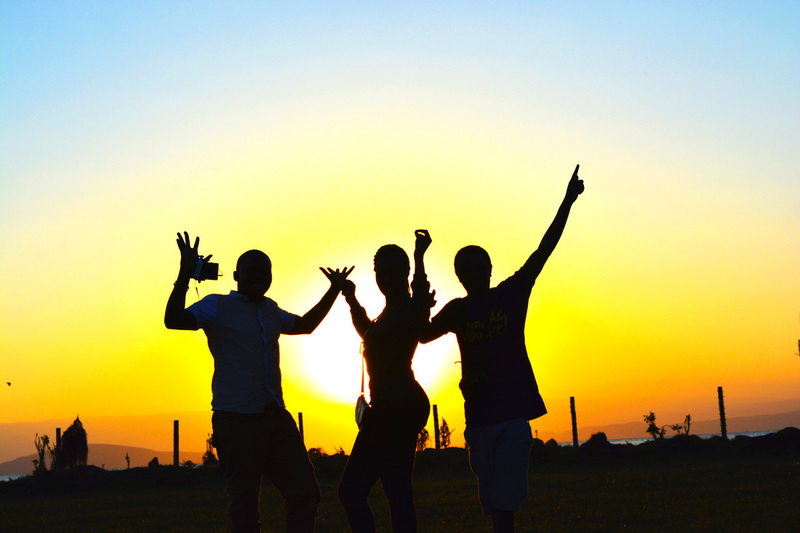 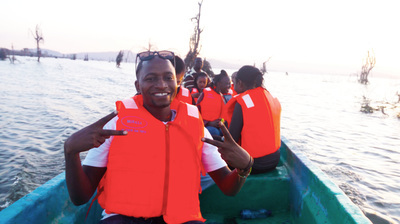 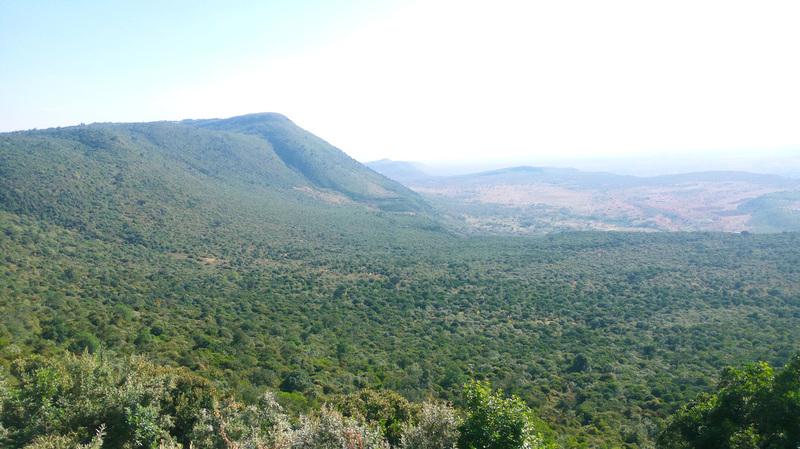 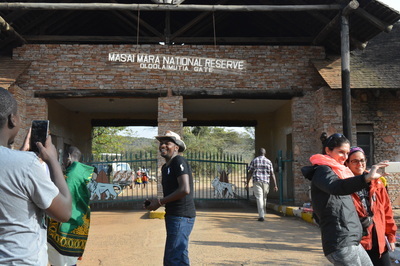 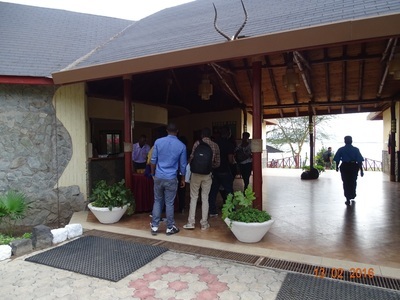 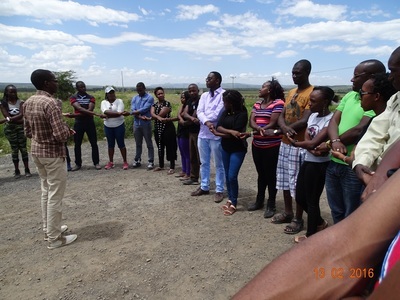 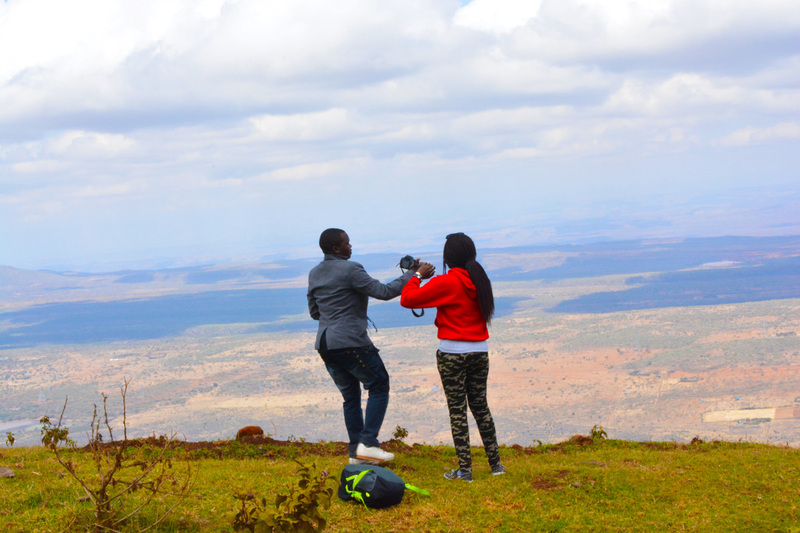 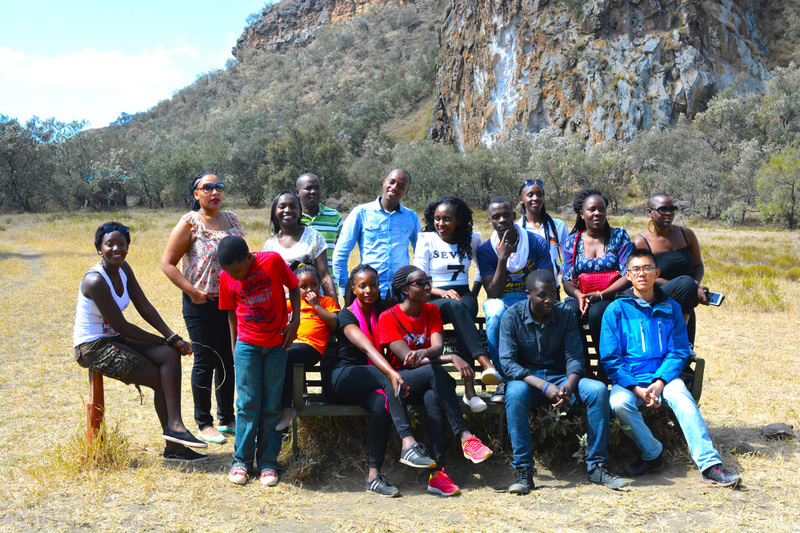 It is a remarkable quarter of the Great Rift Valley. 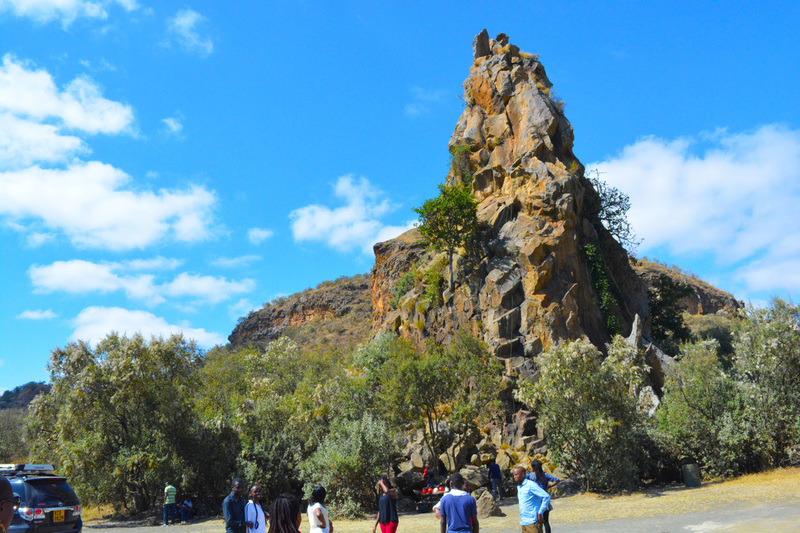 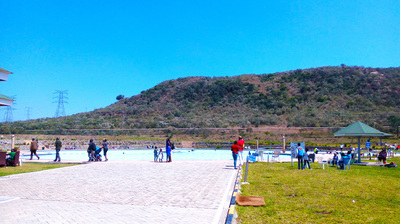 Spectacular scenery including the towering cliff, water-gouged gorges, stark rock towers, scrub clad volcanoes and belching plumes of geothermal steam makes it one of the most atmospheric parks in Africa. 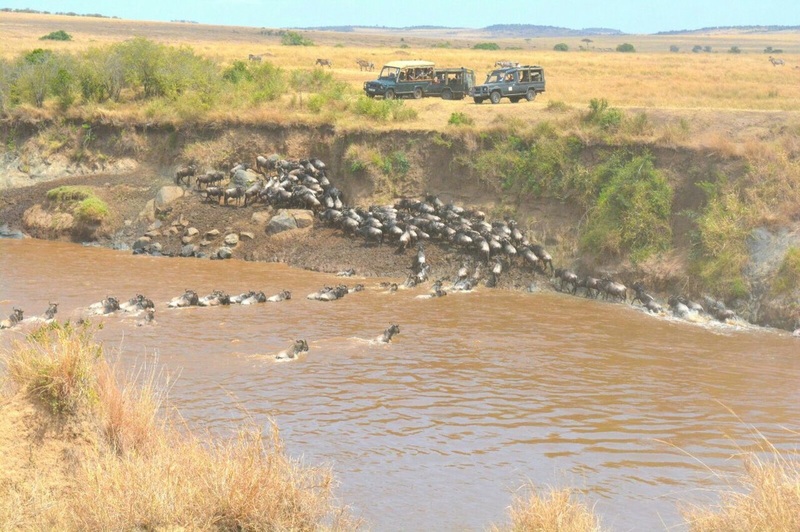 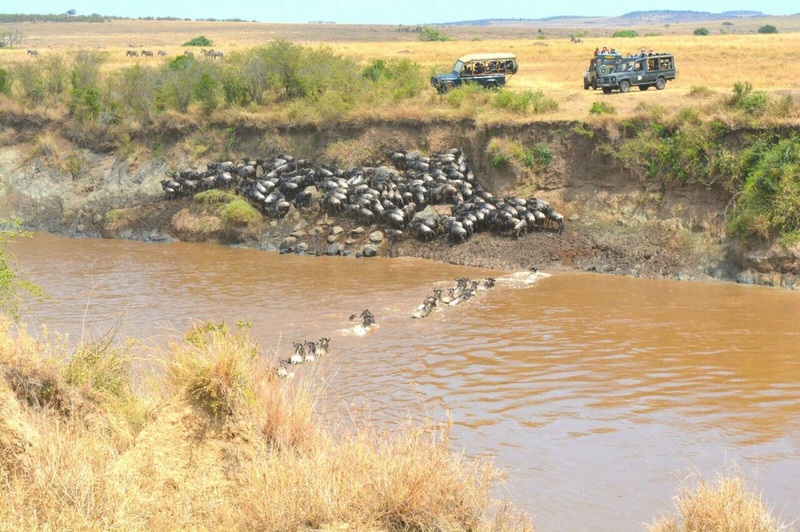 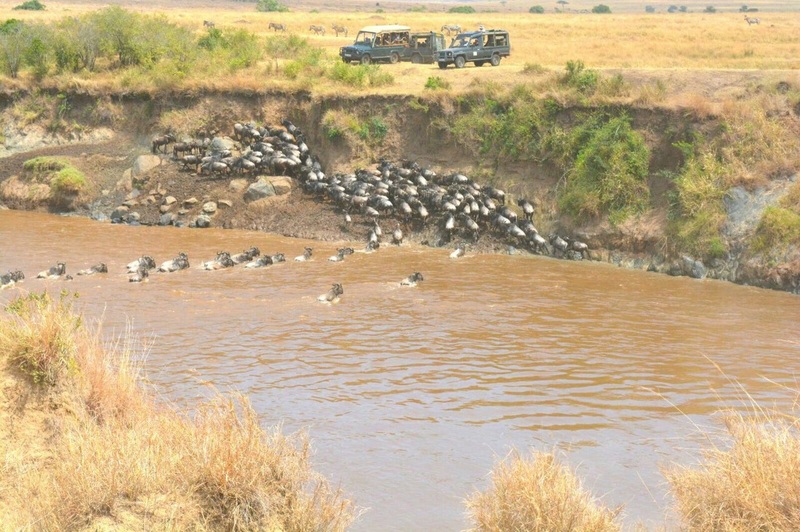 It is rated as one of the world's most spectacular natural events - every year over a million wildebeest, zebra and antelope migrate clockwise around the Serengeti/Masai Mara ecosystem, taking in two different countries and making time for birthing, courting and mating on the way. 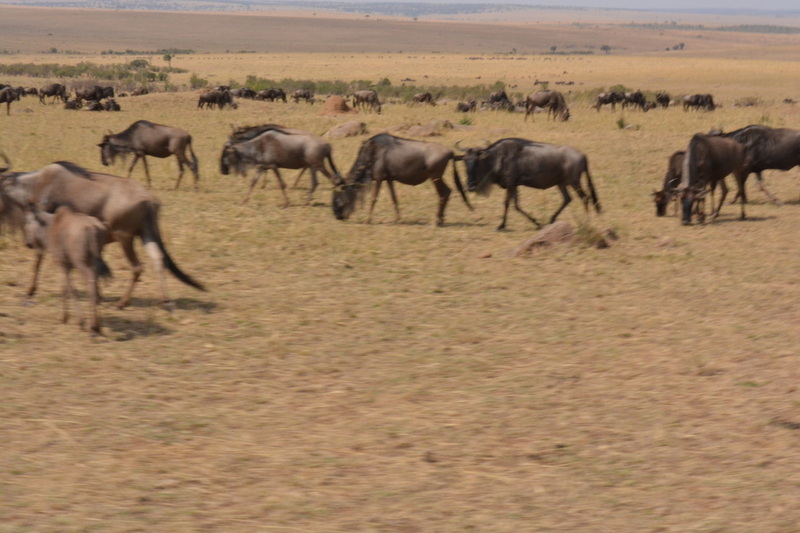 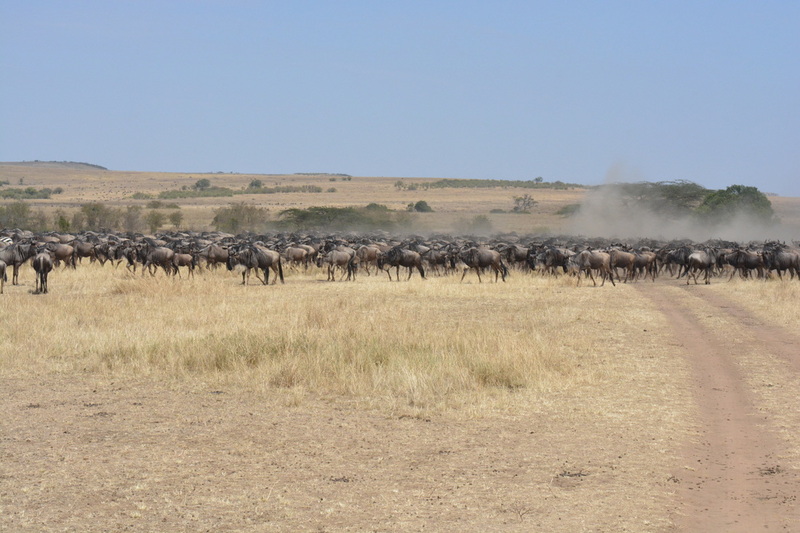 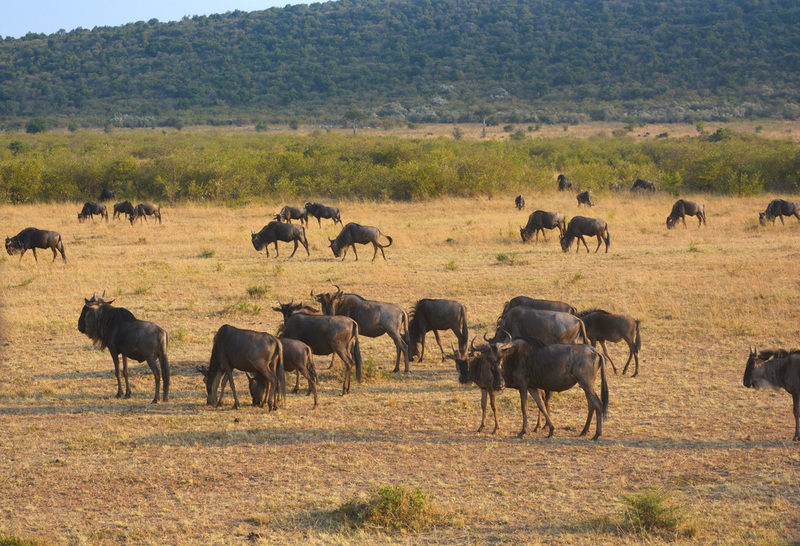 But the trouble with the Wildebeest Migration is that if you get your timing wrong, you will end up gazing out over a wildebeest-less savannah and wondering where all the animals went. 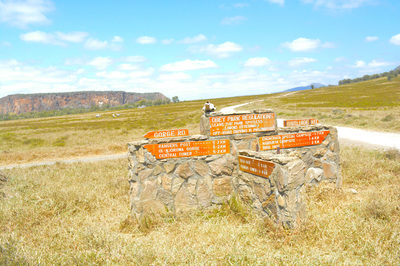 You need to work out where to go and when. 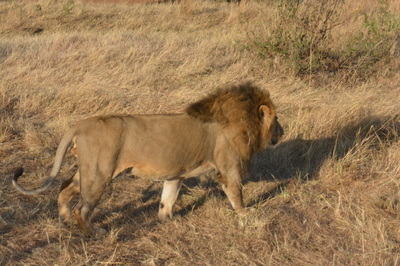 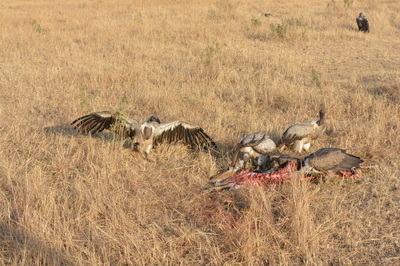 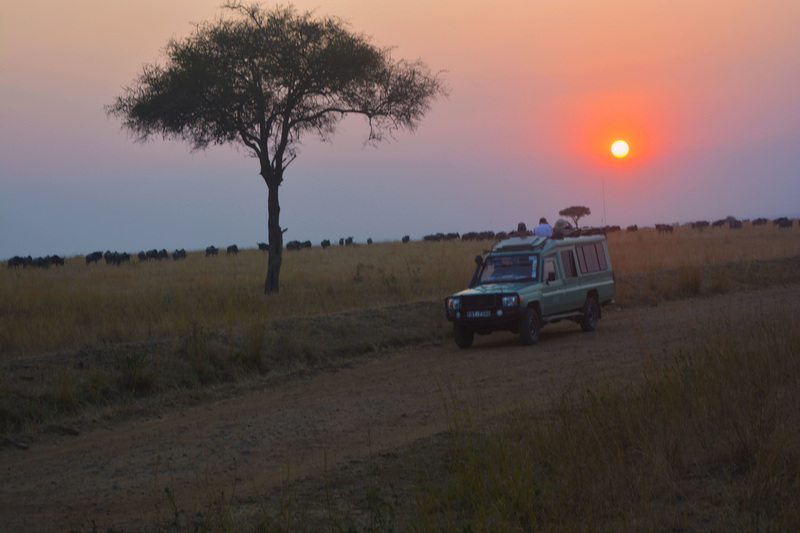 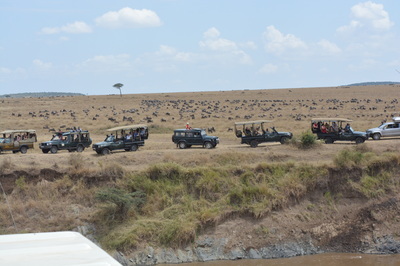 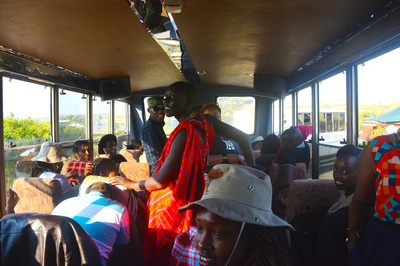 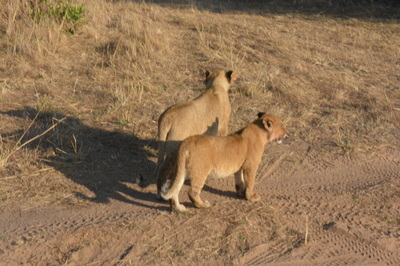 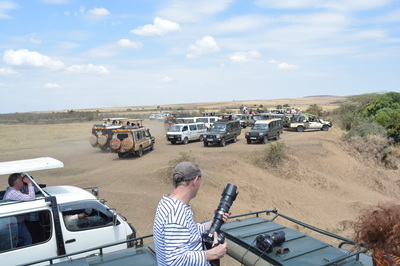 World class safari guide Richard Knocker put it best when he said "the Migration is not a continuously forward motion. They go forward, backwards, and to the sides, they mill around, they split up, they join forces again, they walk in a line, the spread out, or they hang around together. 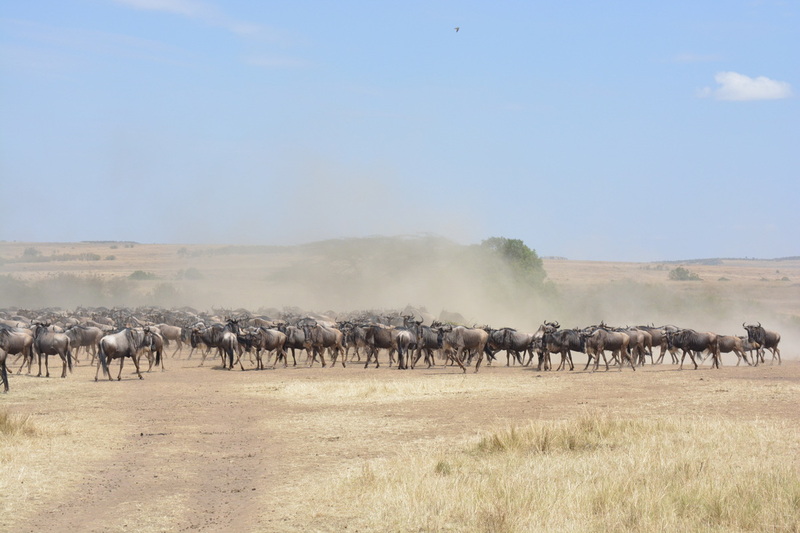 You can never predict with certainty where they will be; the best you can do is suggest likely timing based on past experience, but you can never guarantee the Migration one hundred percent." 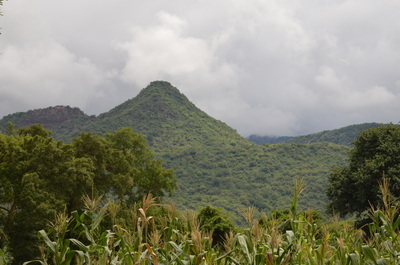 These are peaks in a ridge located southwest of Nairobi along the Great Rift Valley. 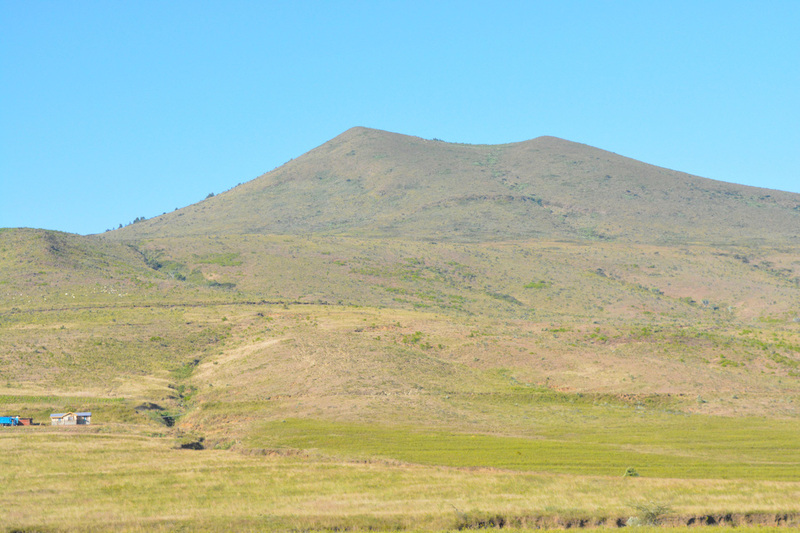 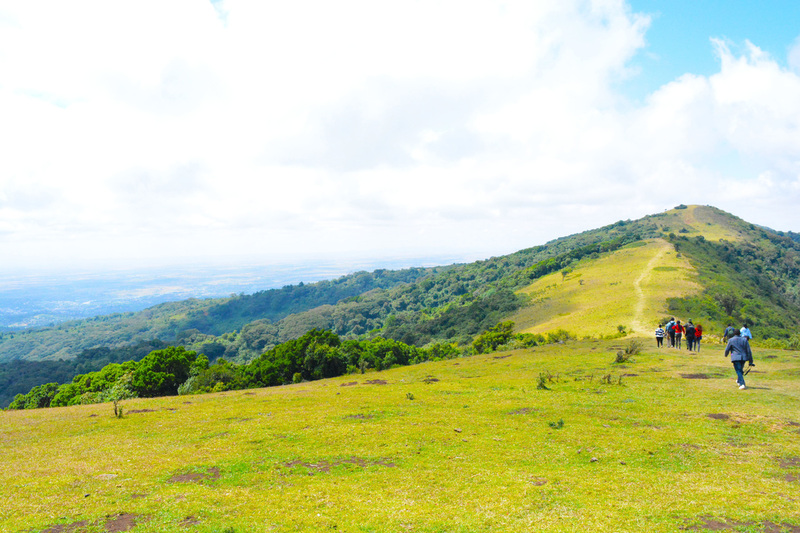 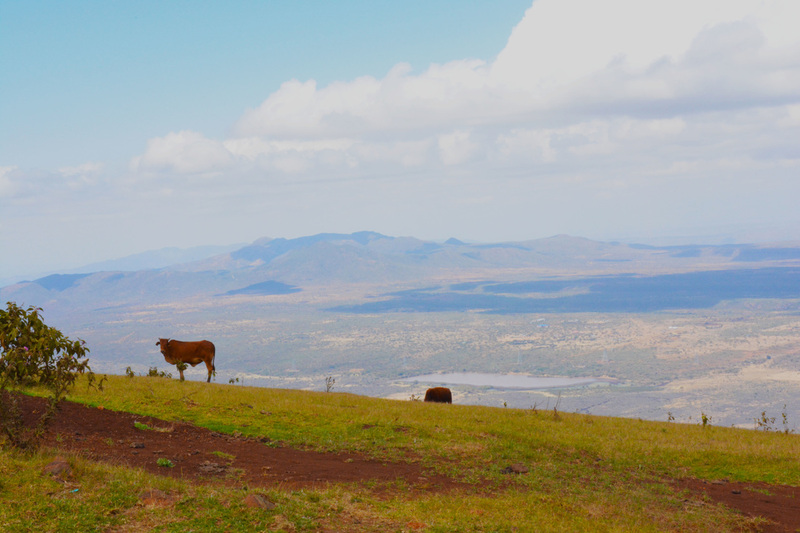 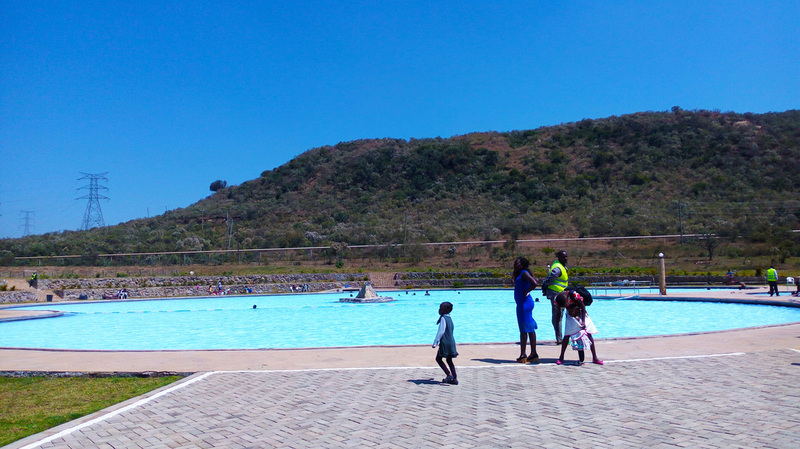 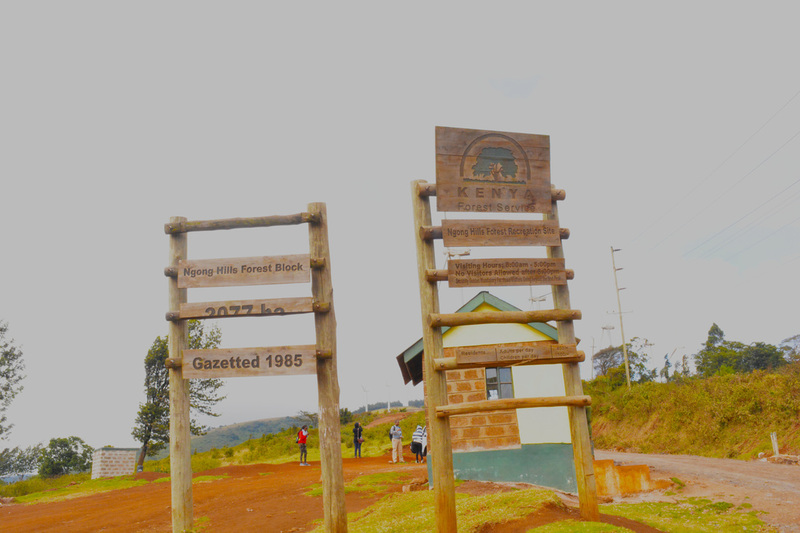 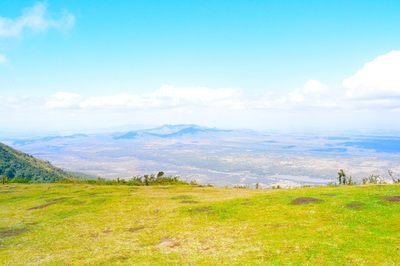 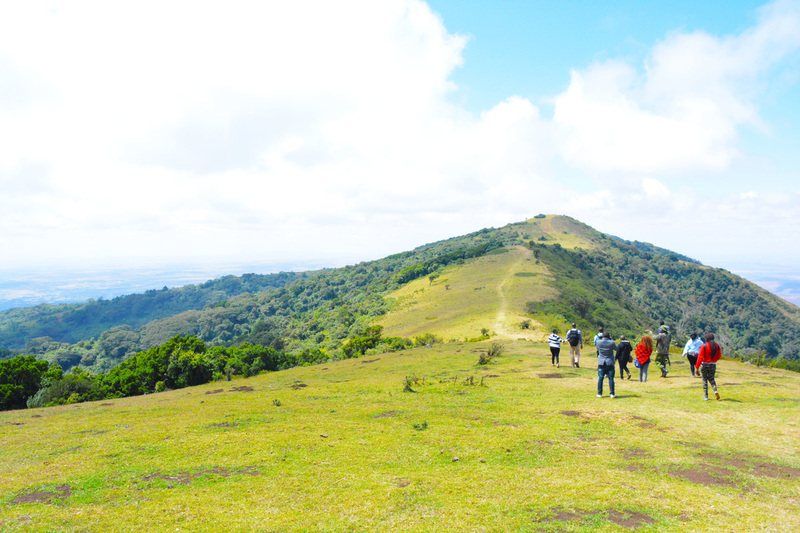 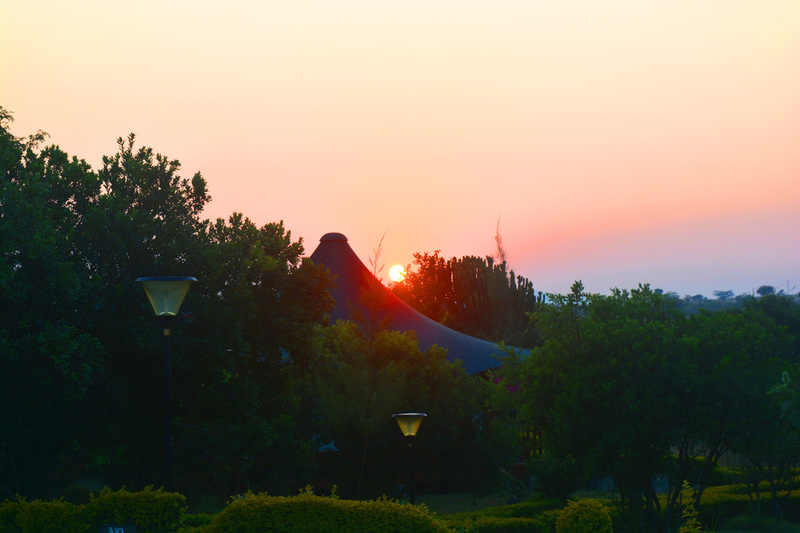 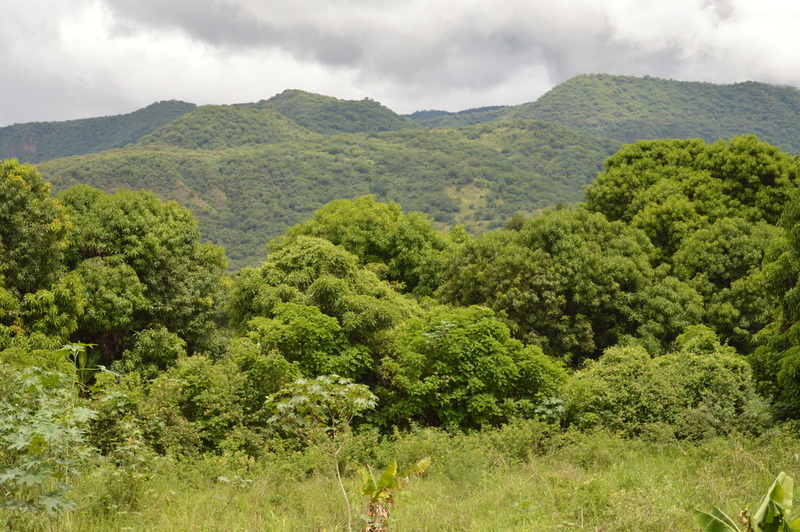 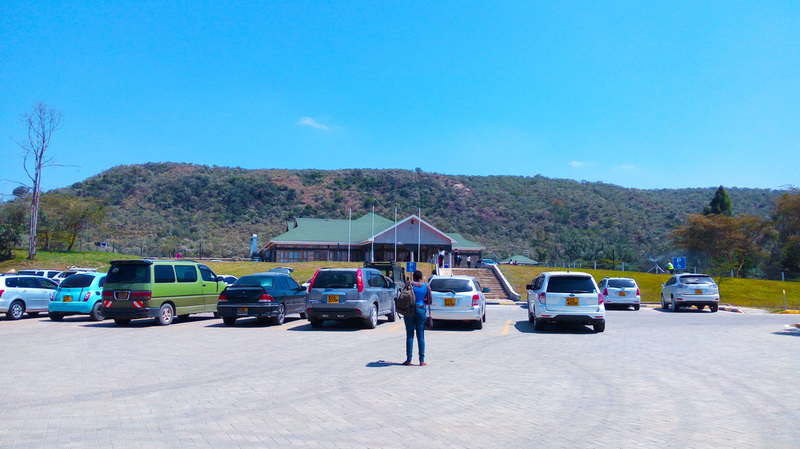 The name Ngong’ Hills comes from the phrase "enkong'u emuny" which means rhinoceros spring. 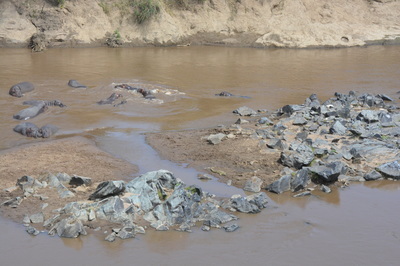 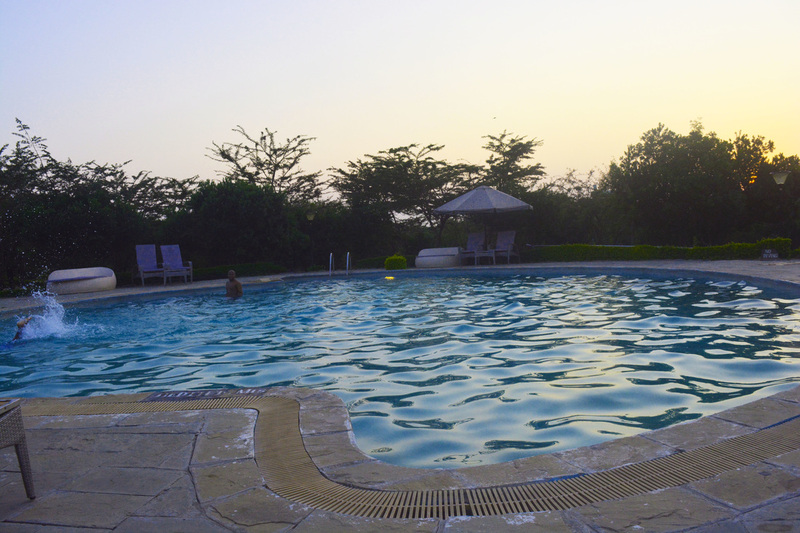 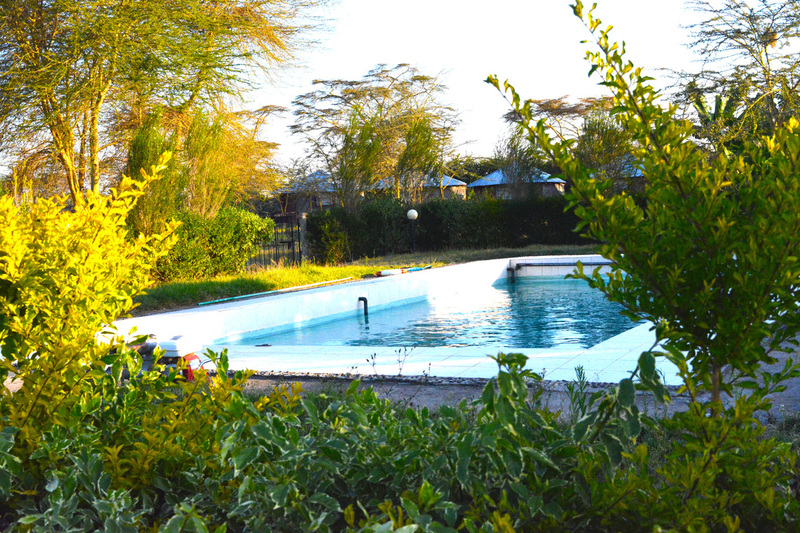 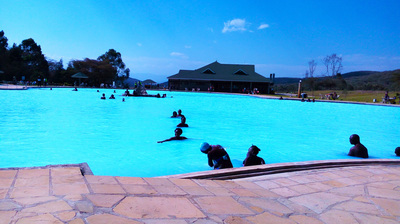 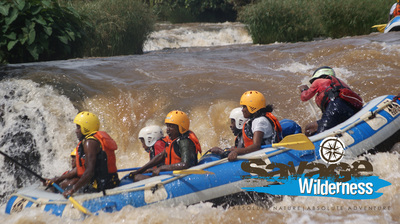 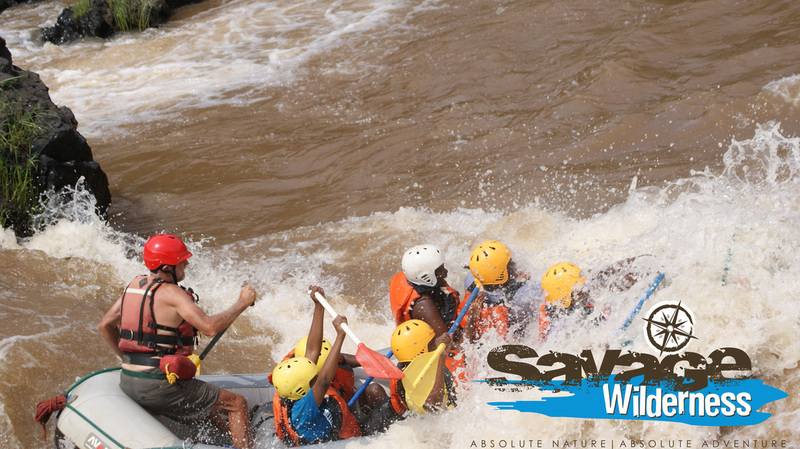 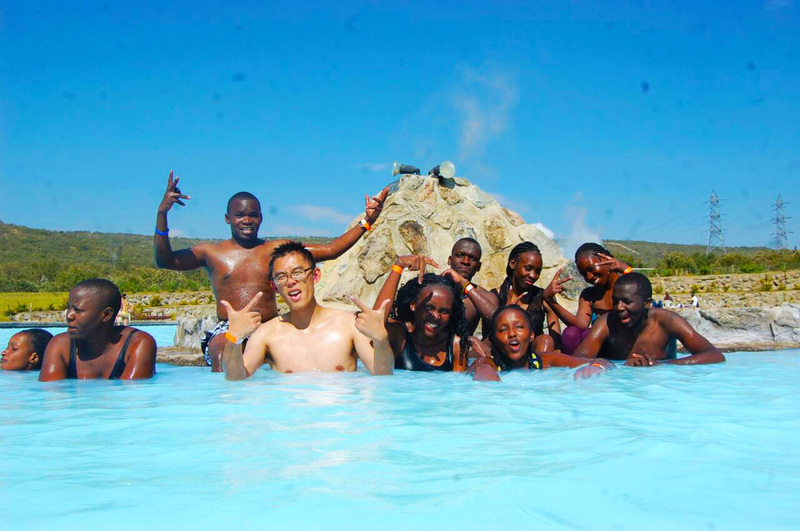 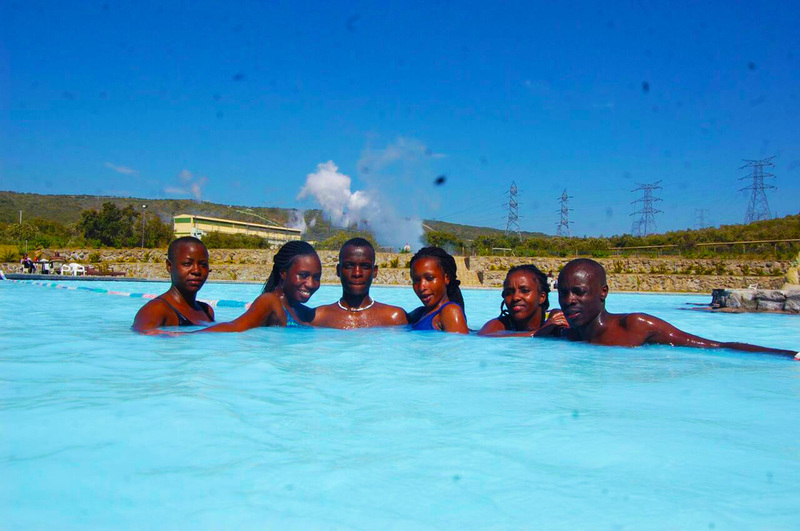 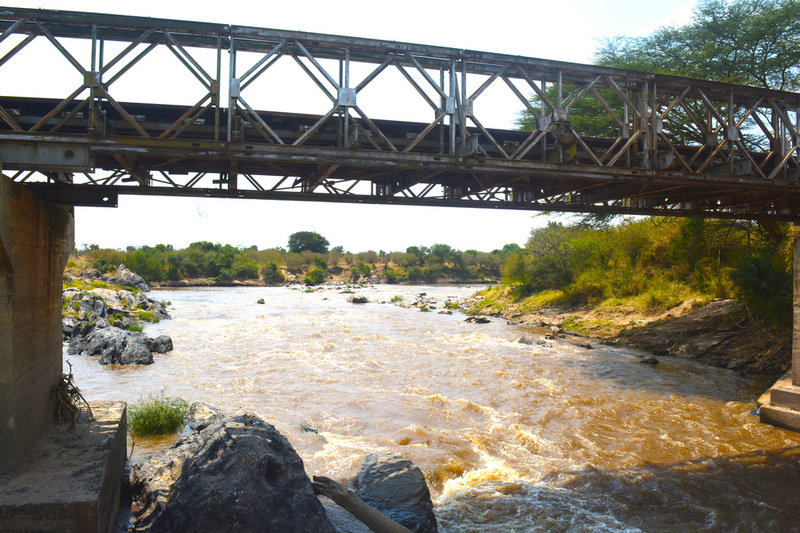 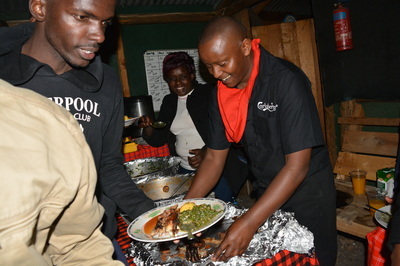 This name derives from a spring located near Ngong’ Town. 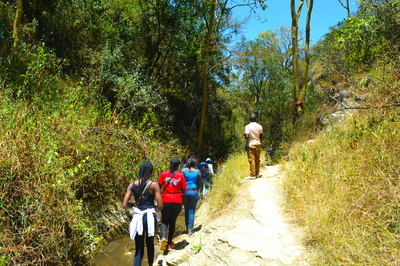 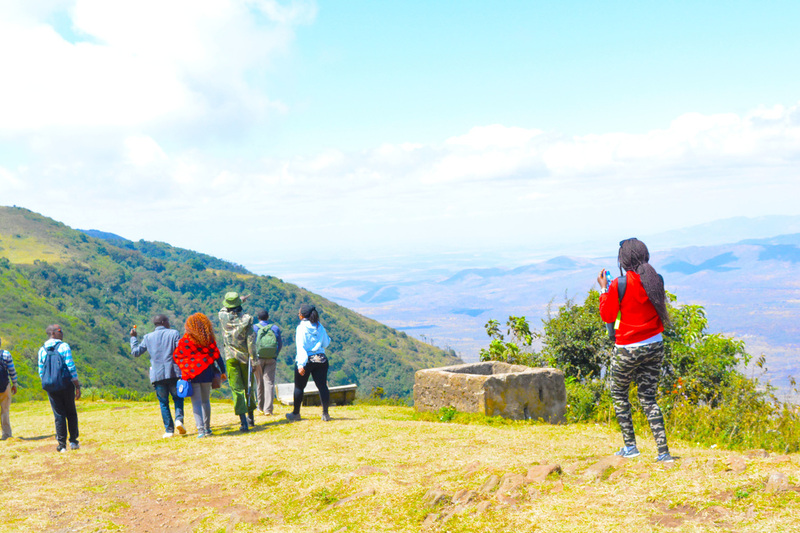 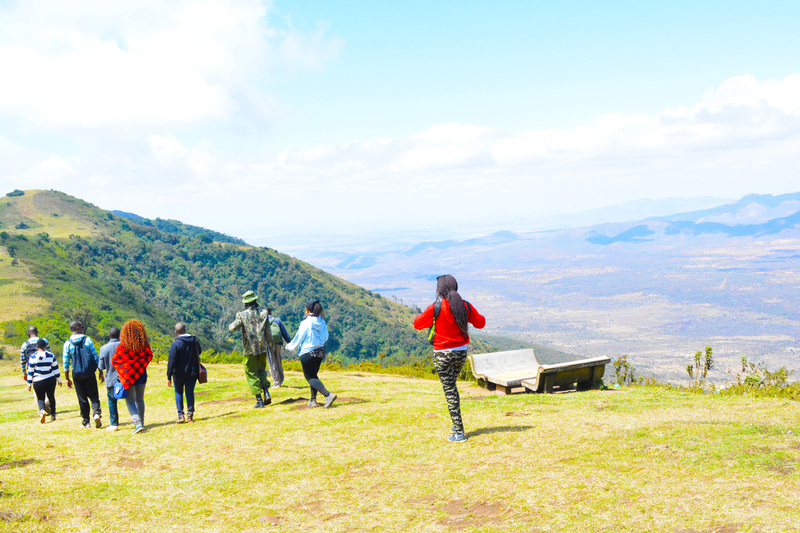 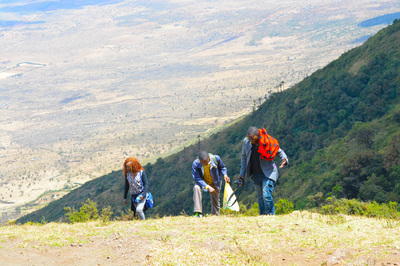 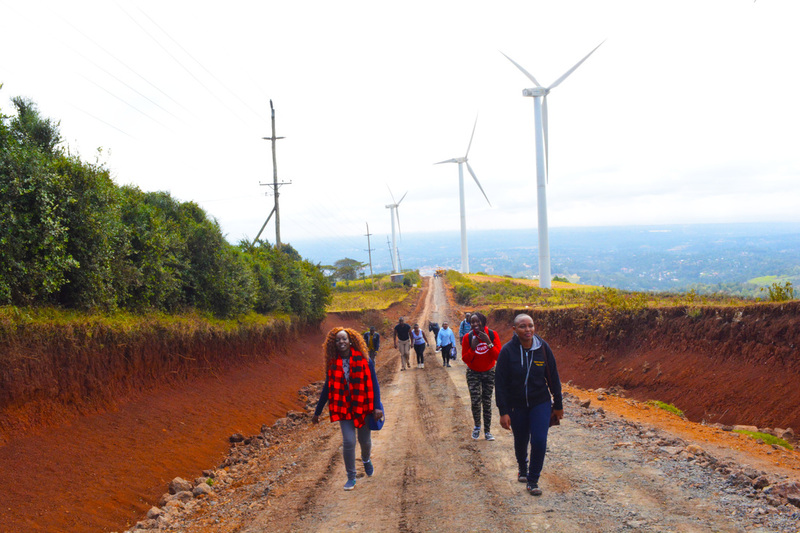 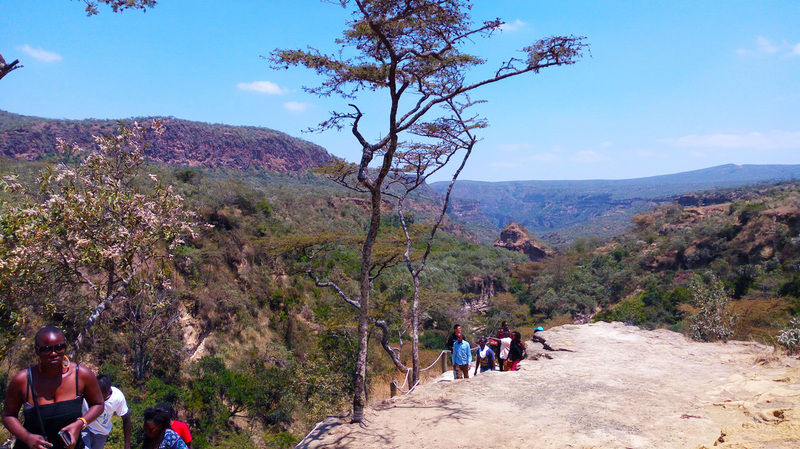 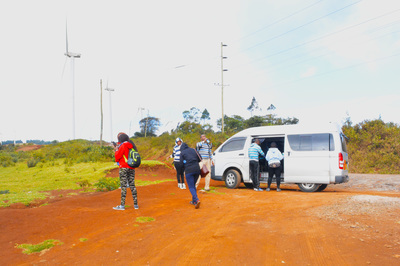 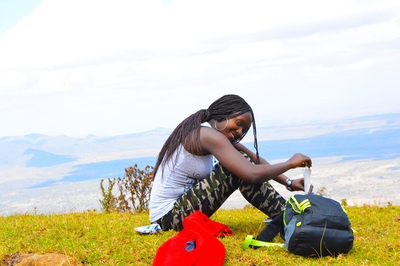 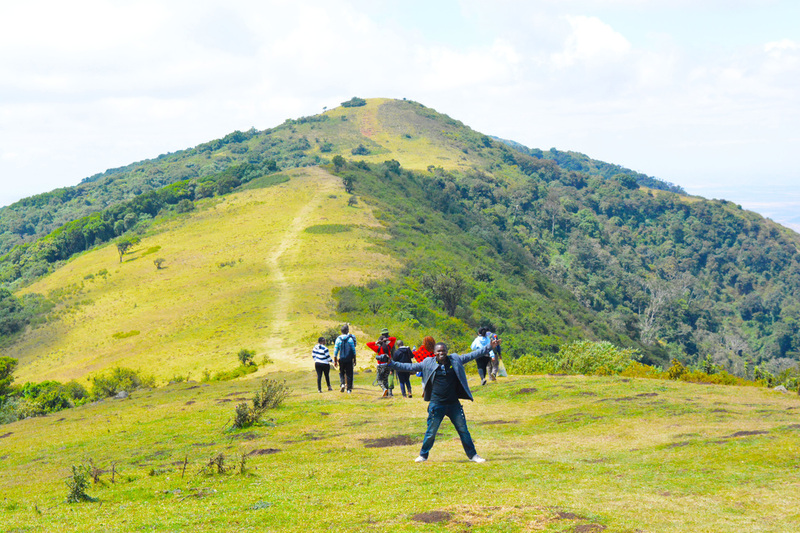 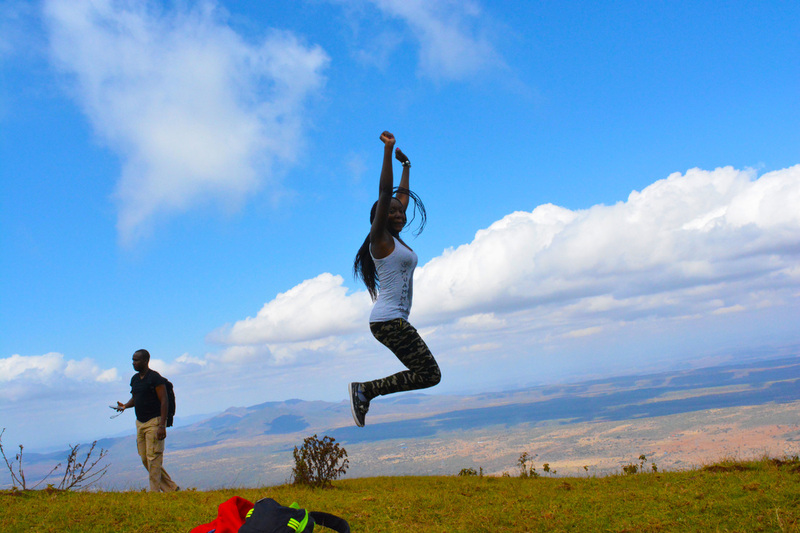 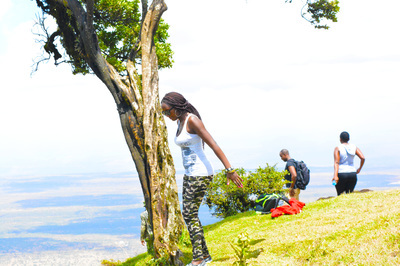 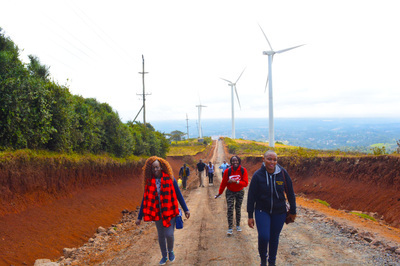 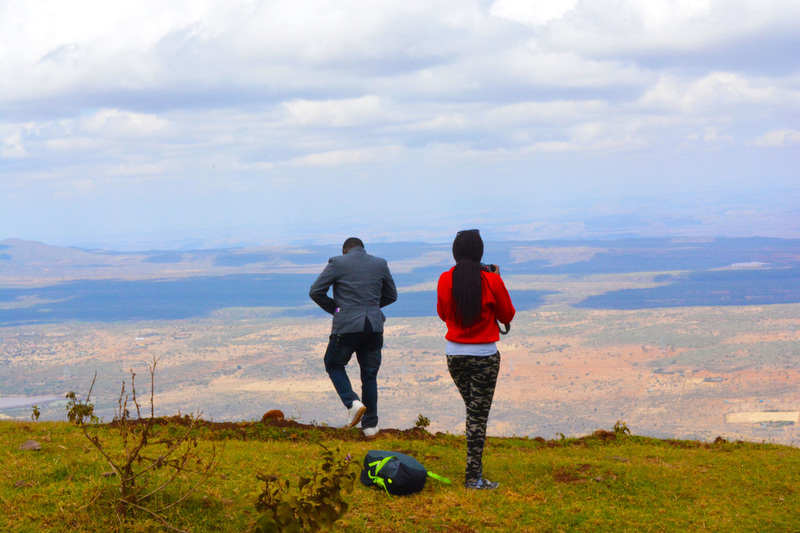 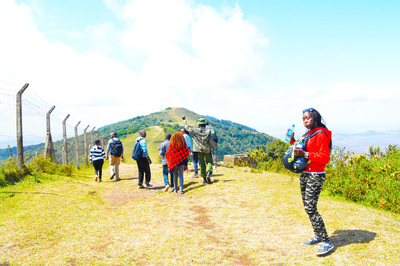 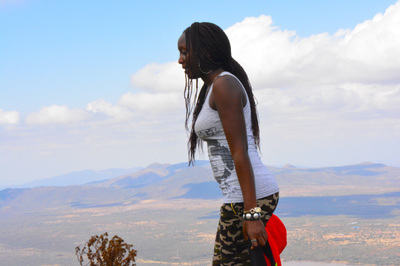 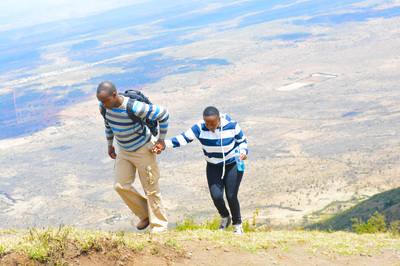 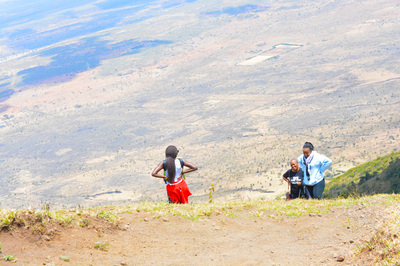 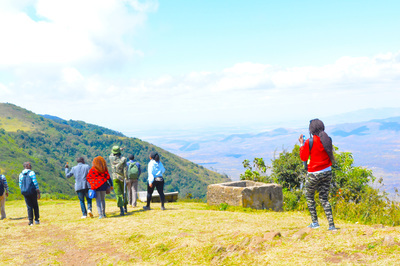 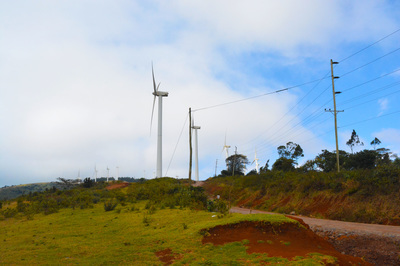 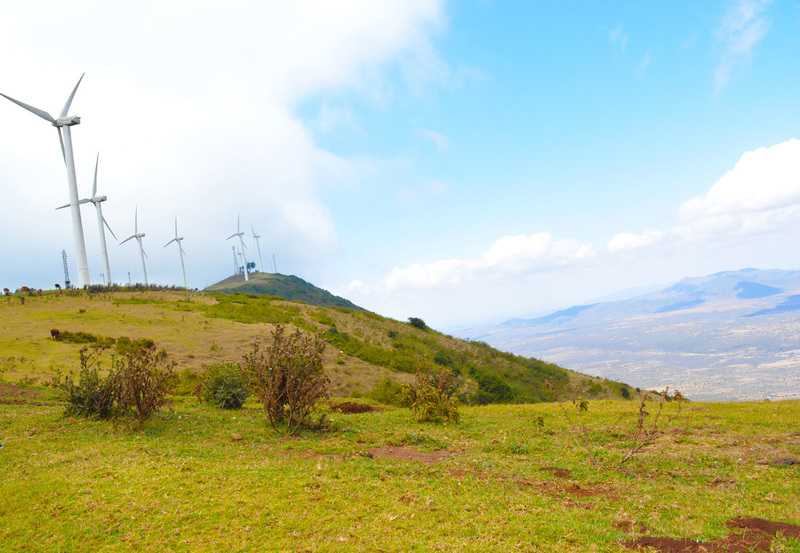 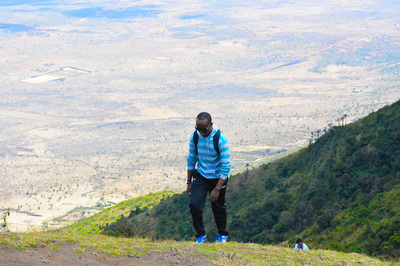 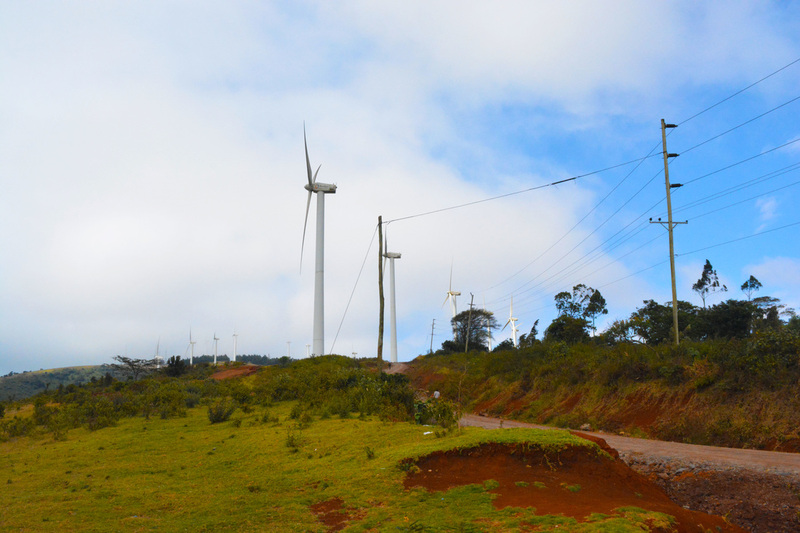 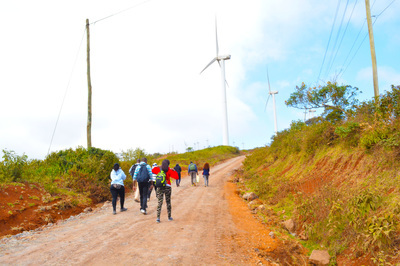 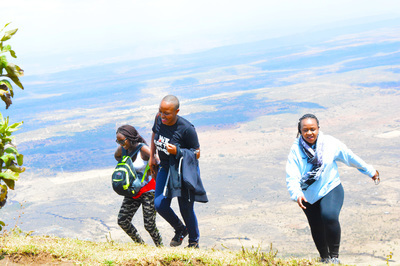 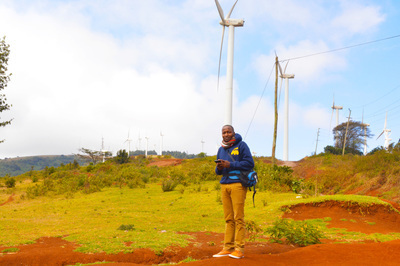 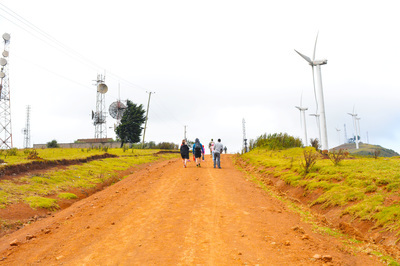 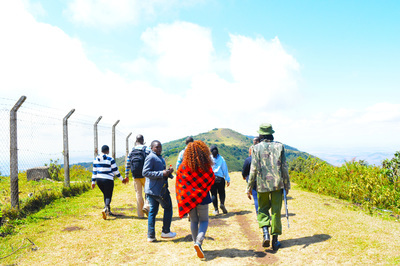 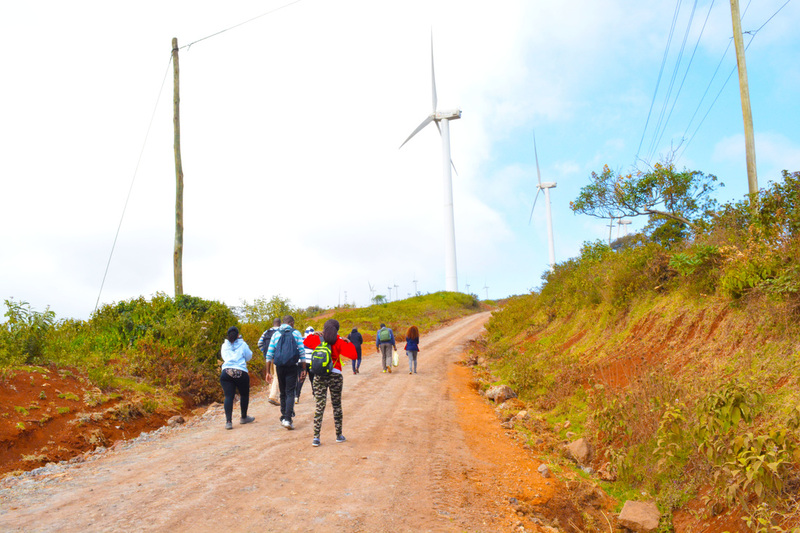 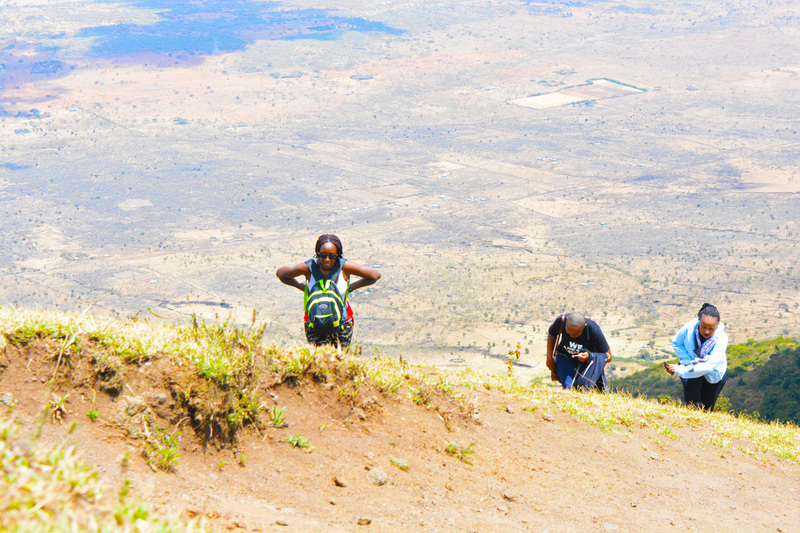 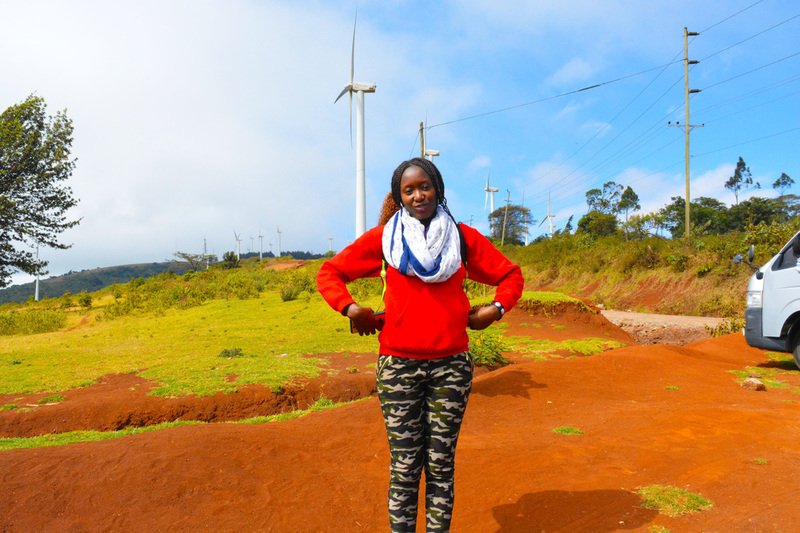 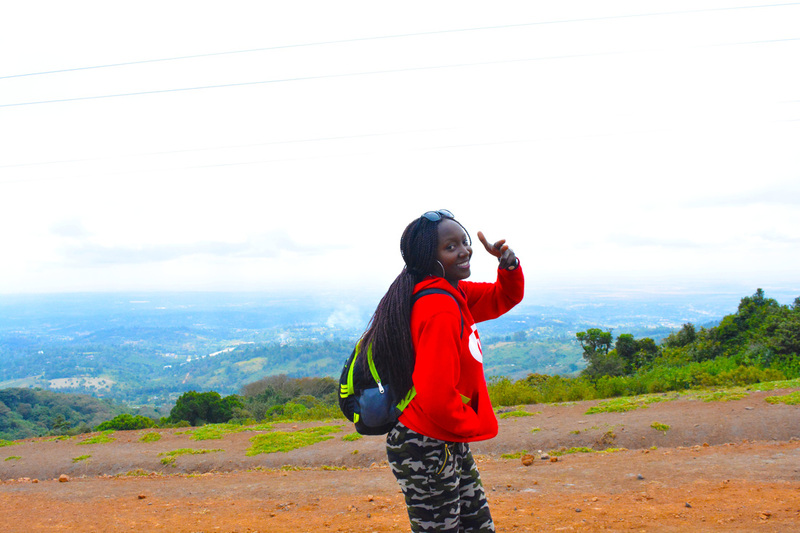 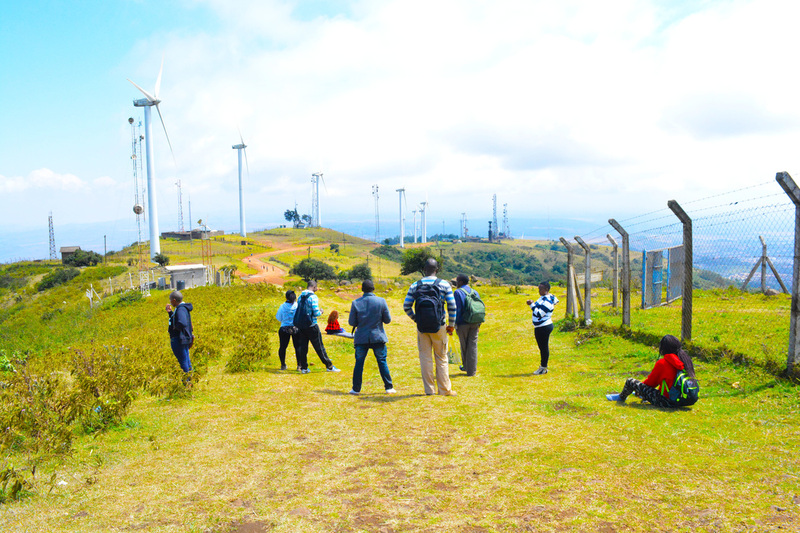 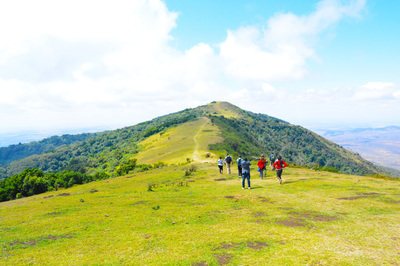 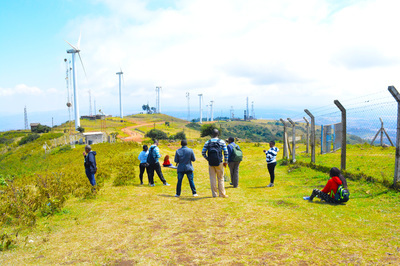 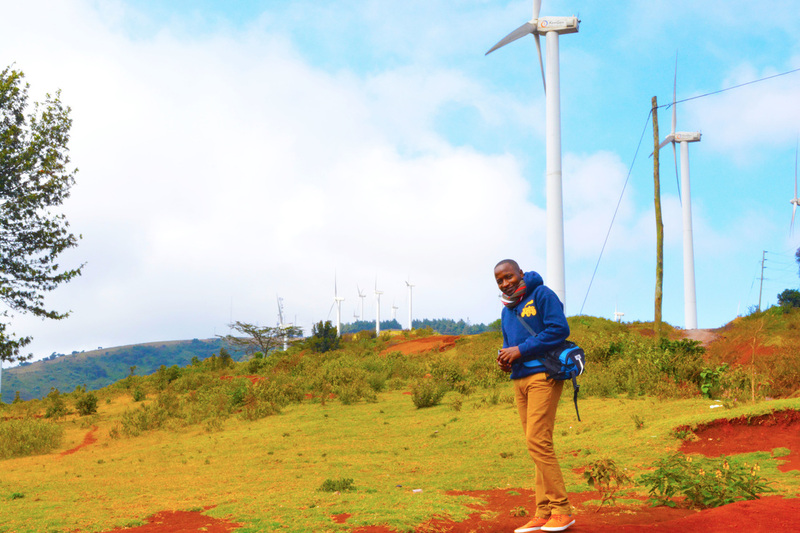 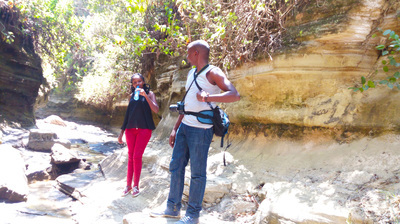 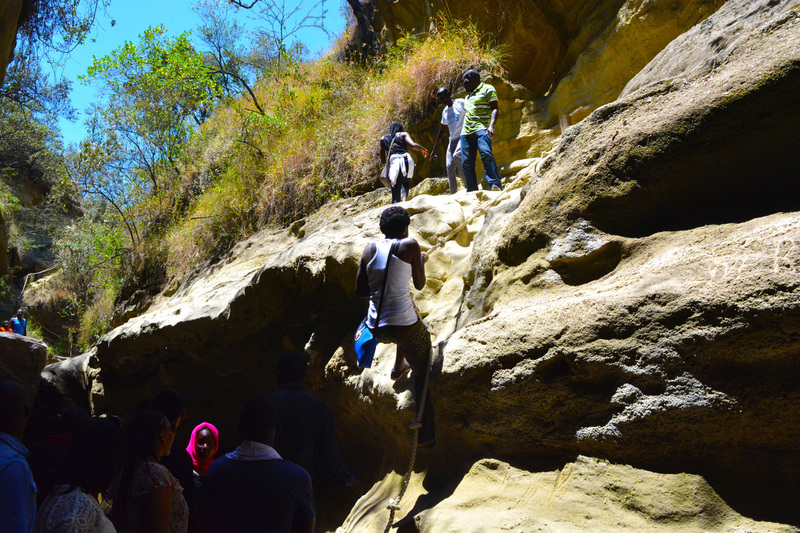 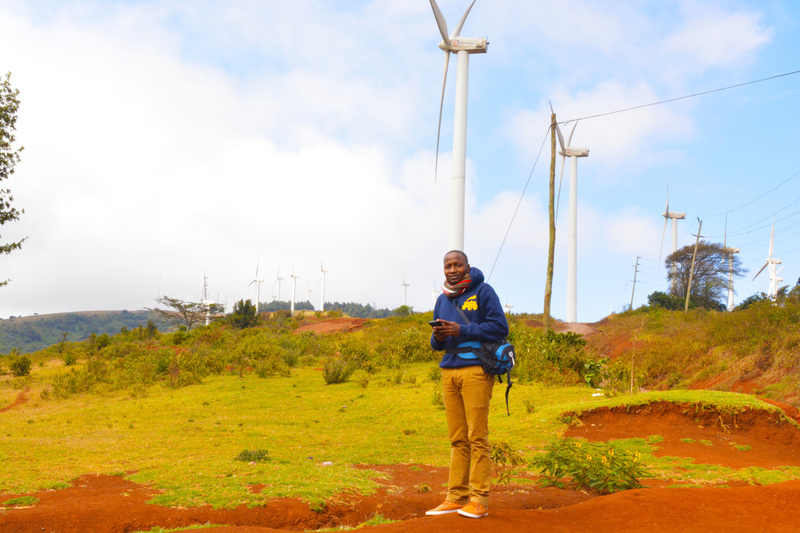 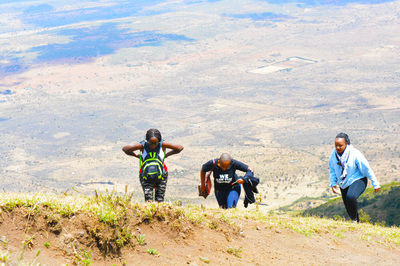 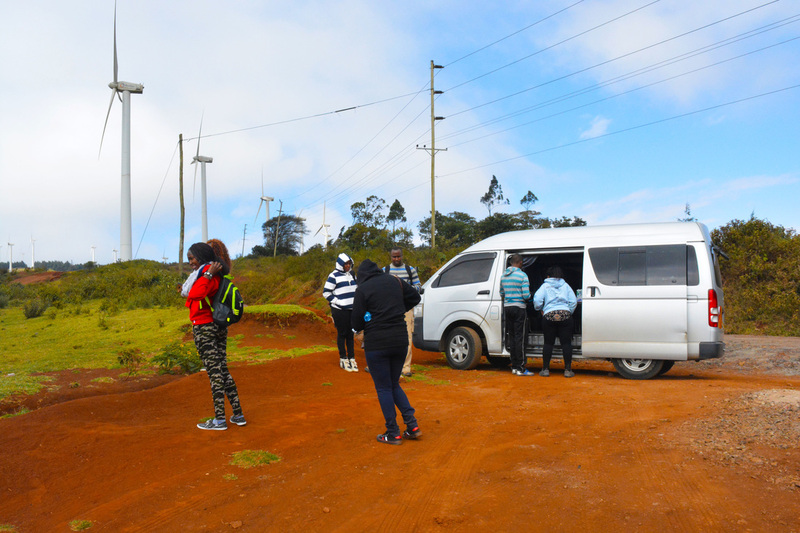 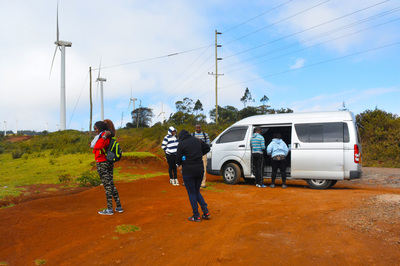 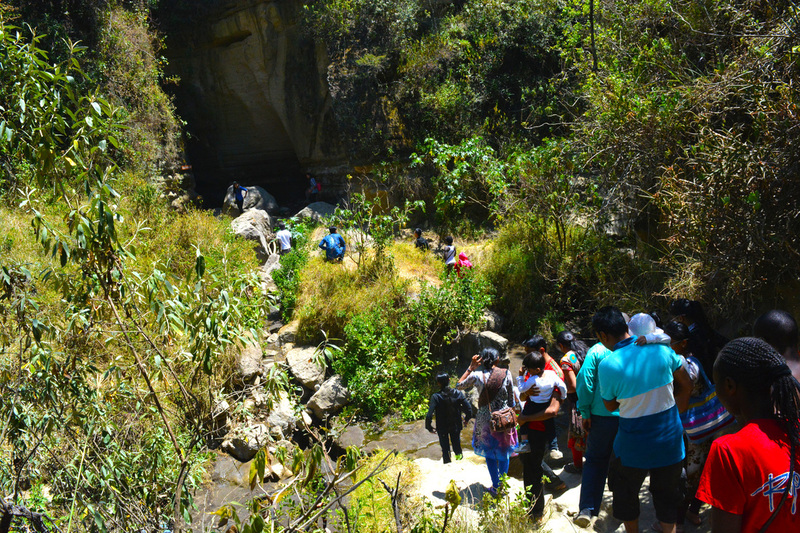 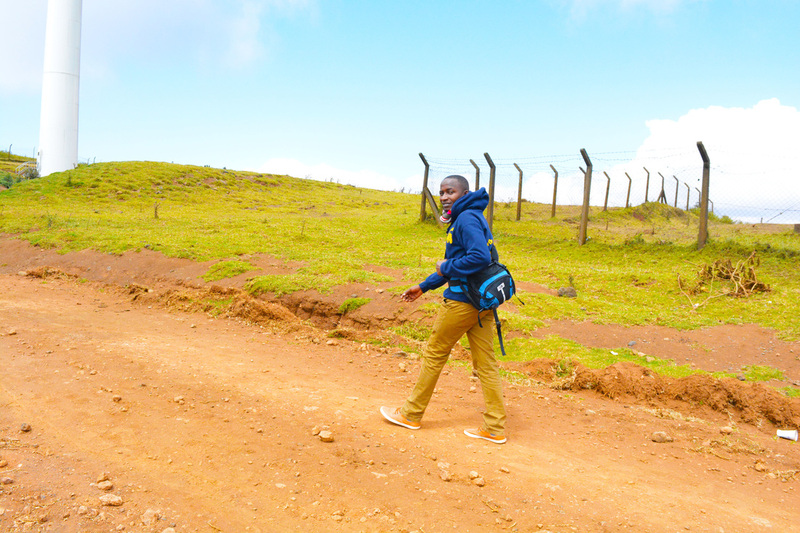 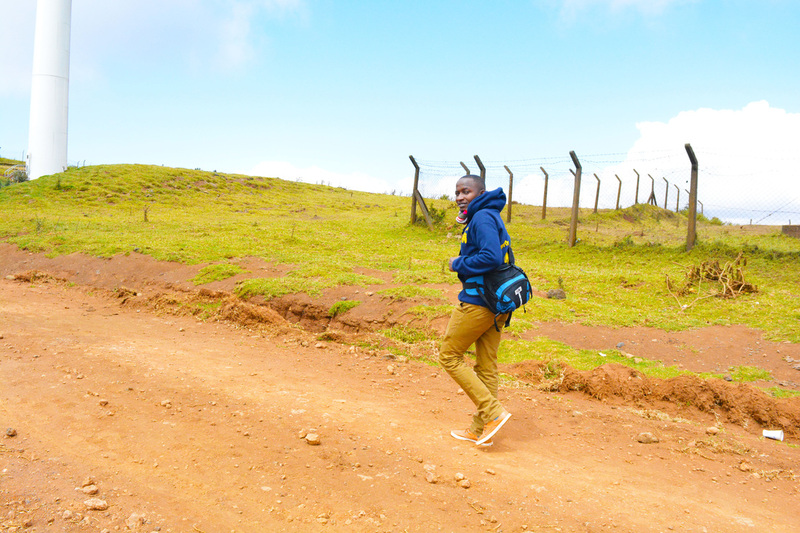 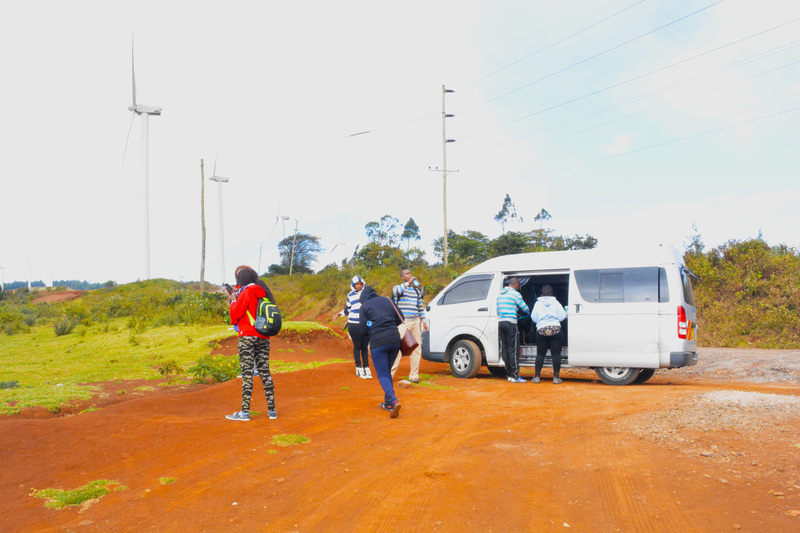 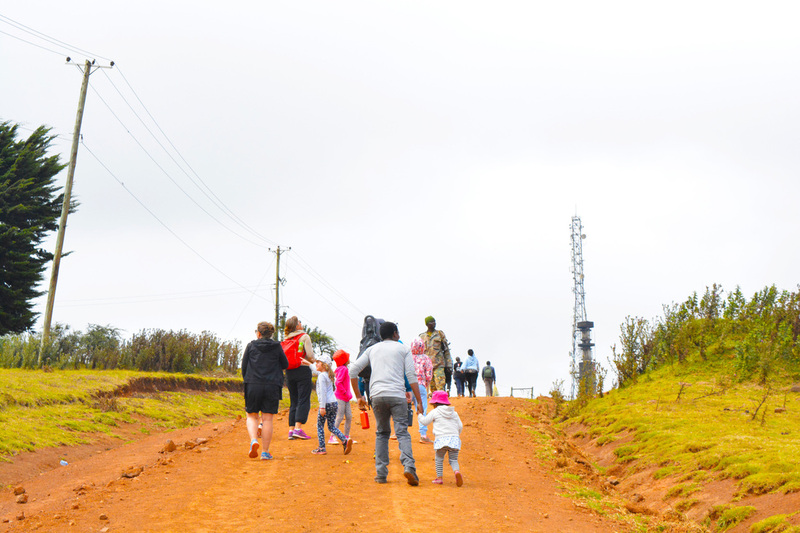 The hills are only 22km from Nairobi city centre and trekking through them takes an average person only 4-5 hours. 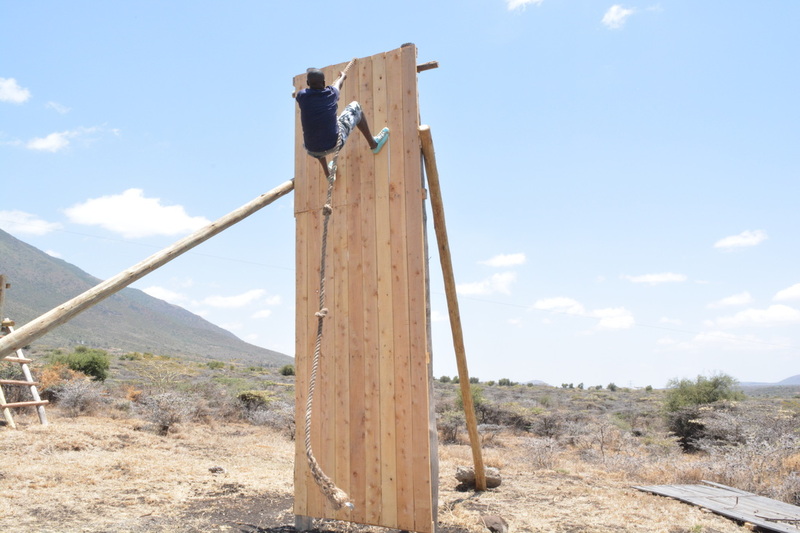 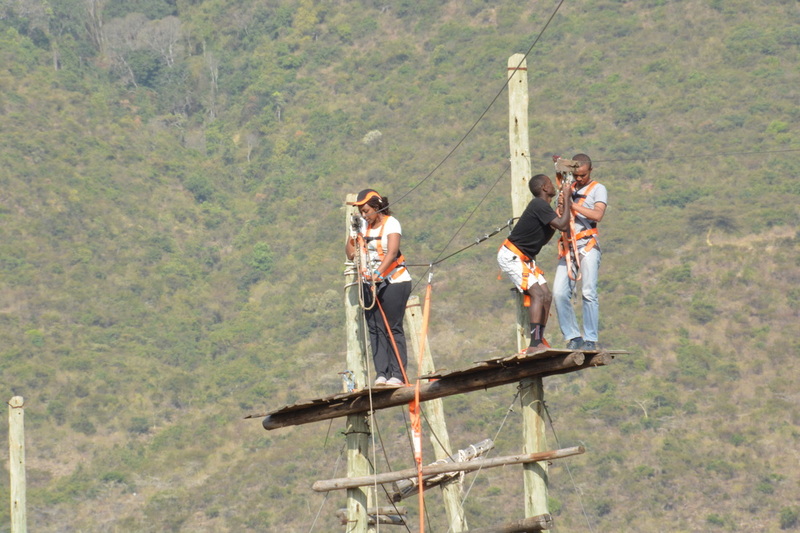 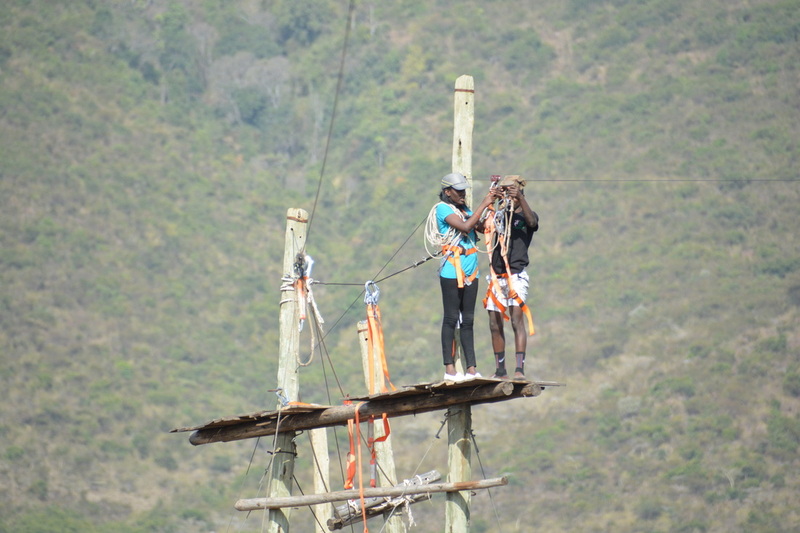 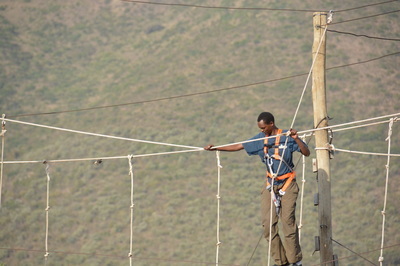 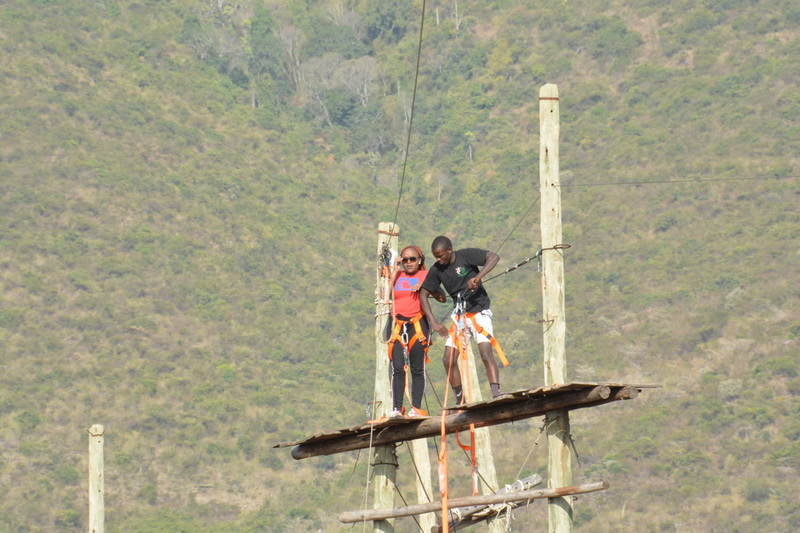 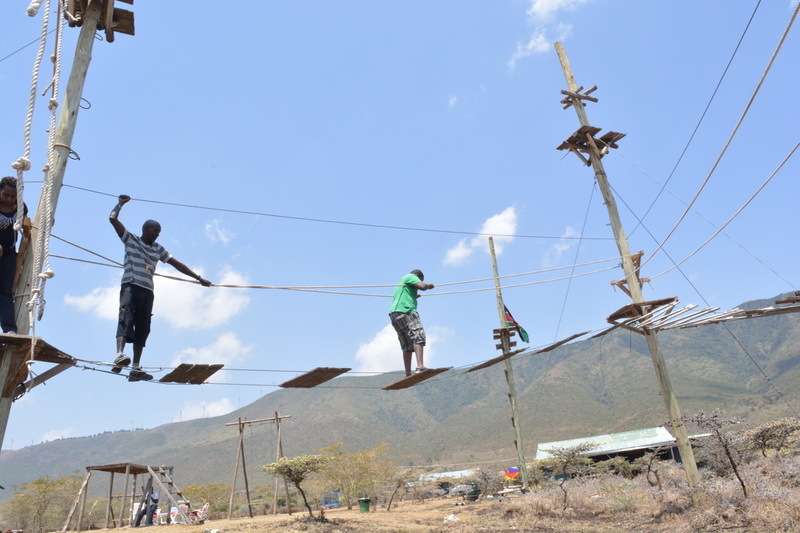 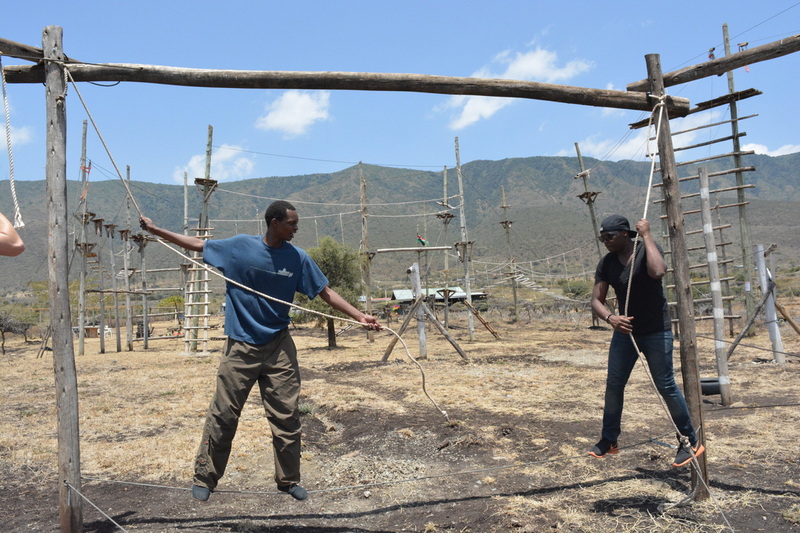 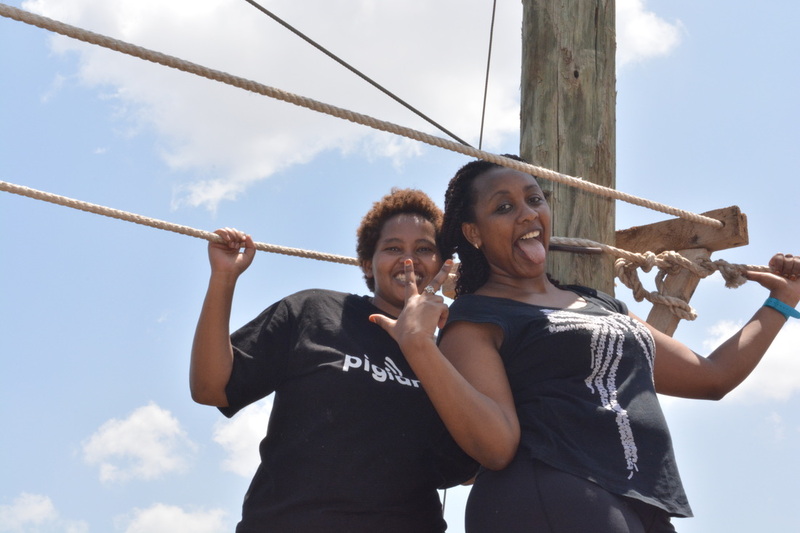 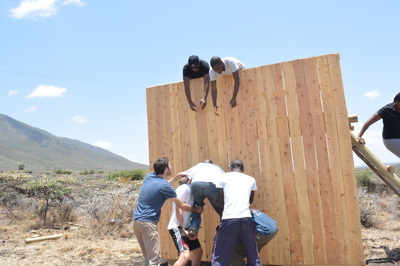 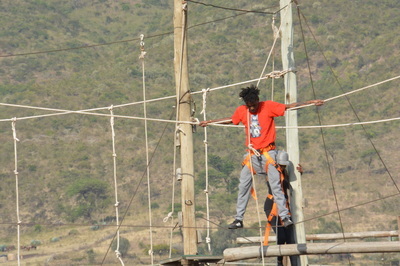 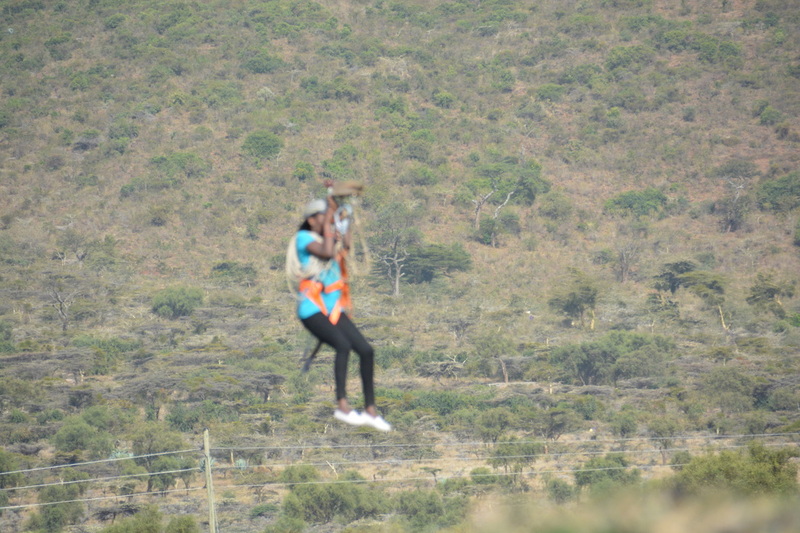 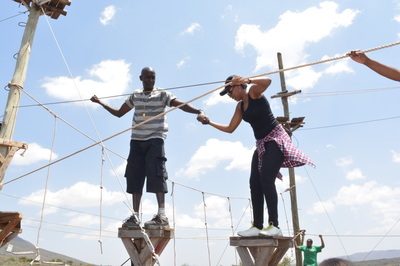 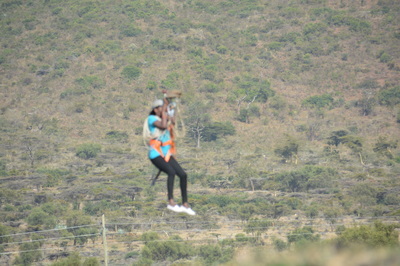 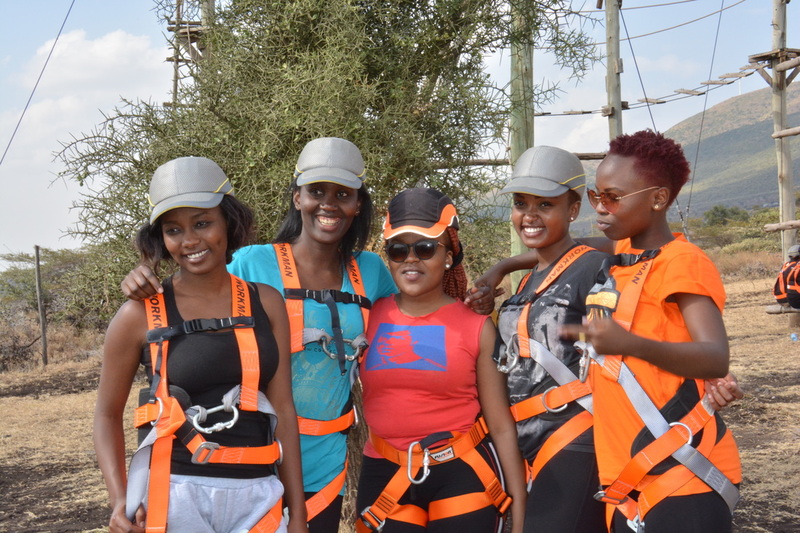 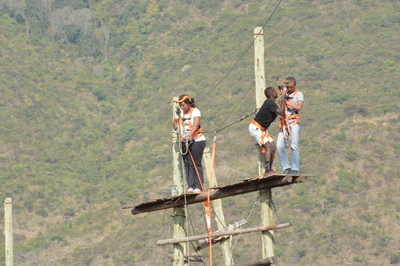 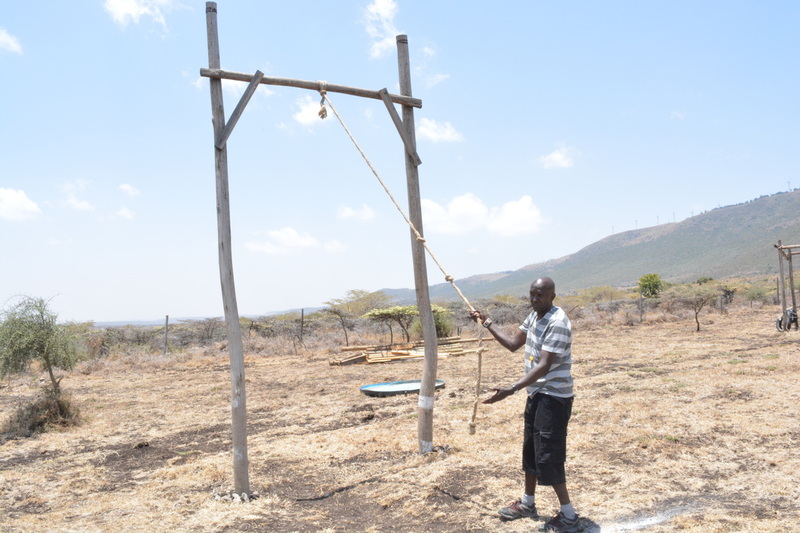 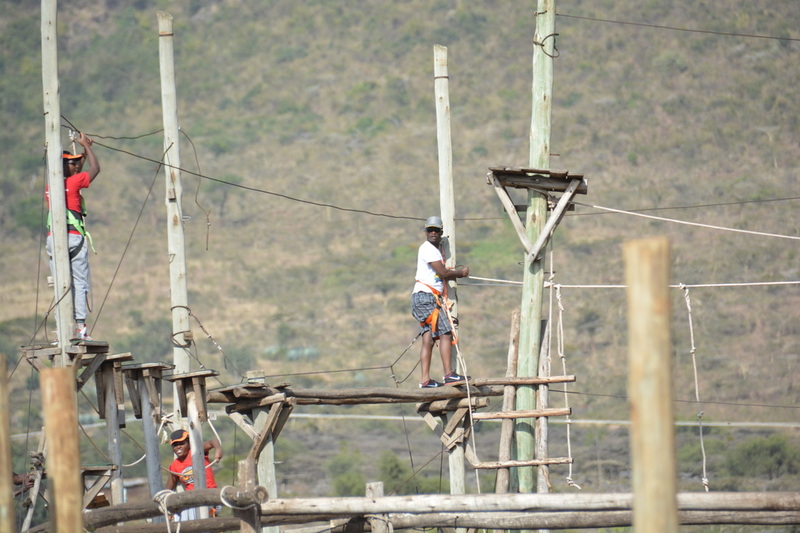 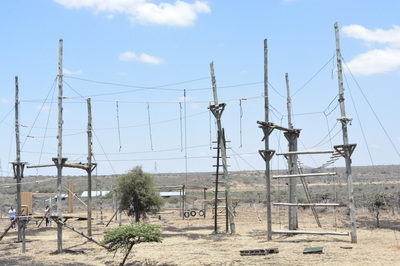 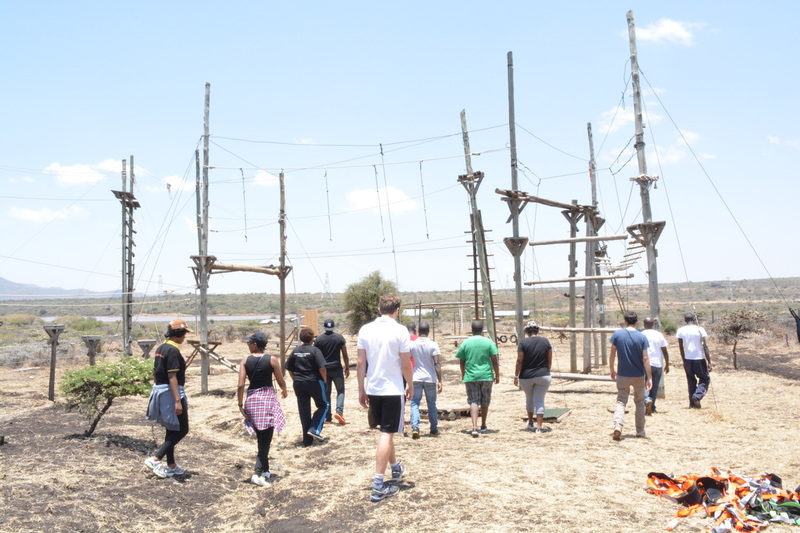 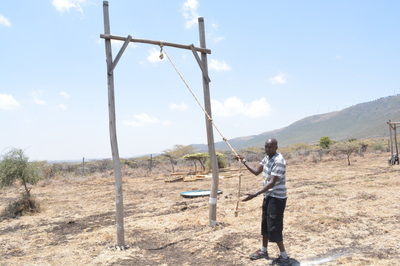 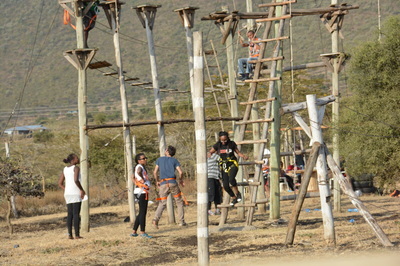 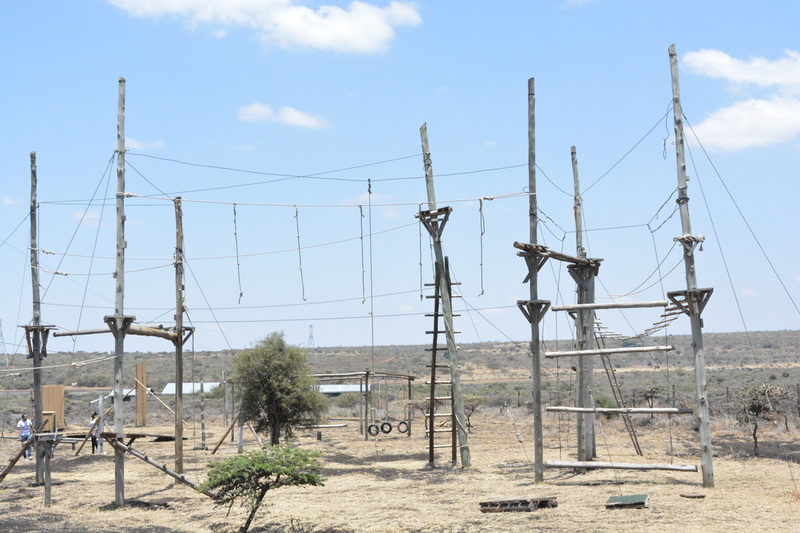 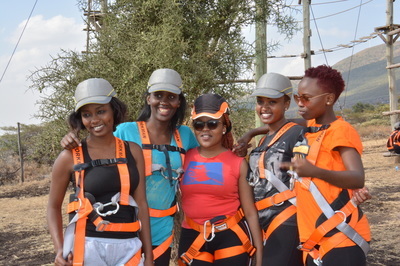 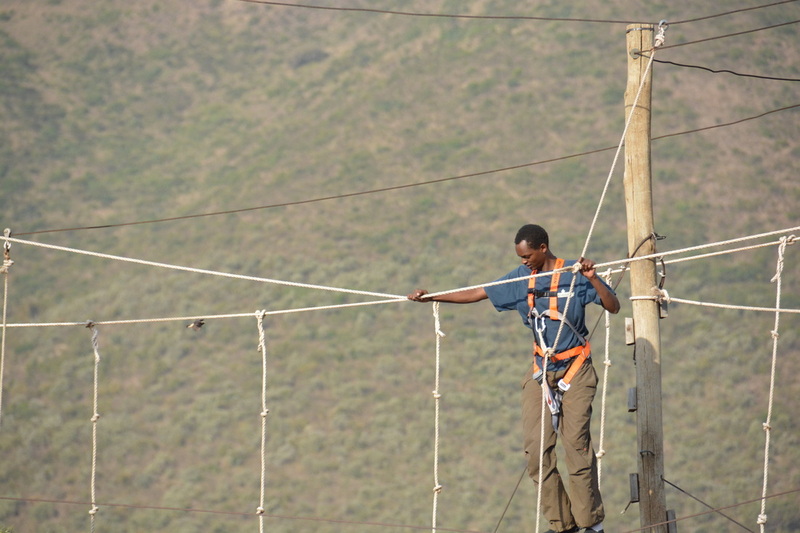 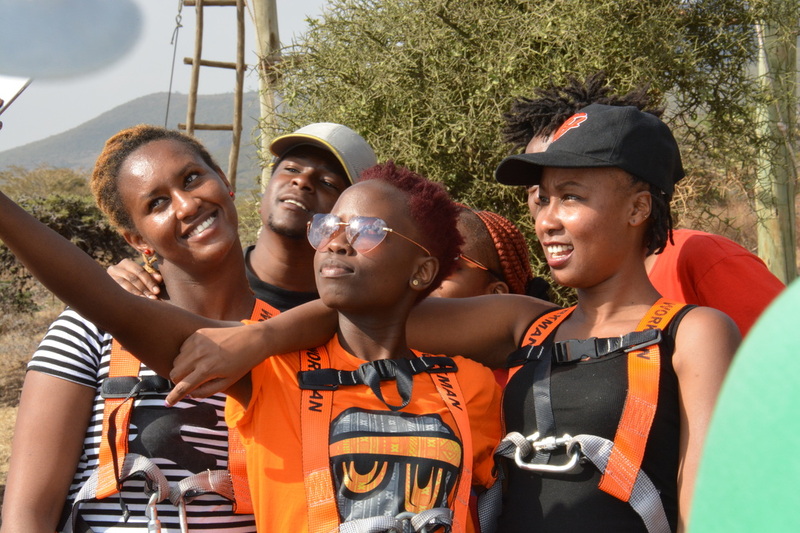 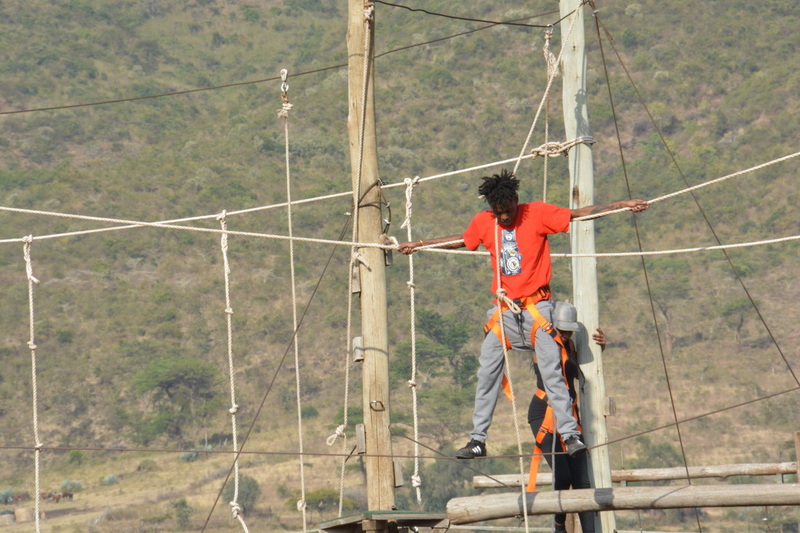 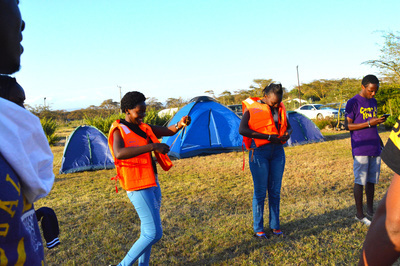 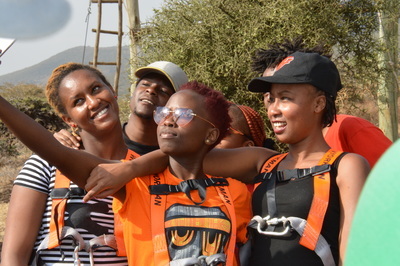 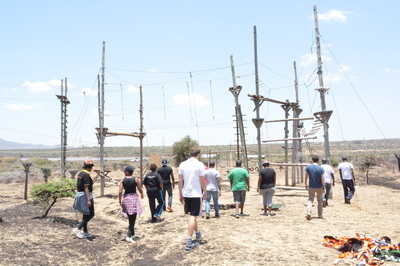 Kisames Giraffe camp presents a rope course that you will not find anywhere else. 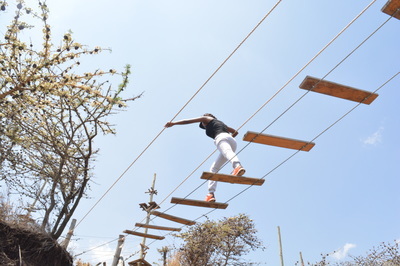 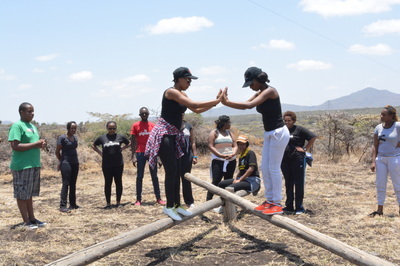 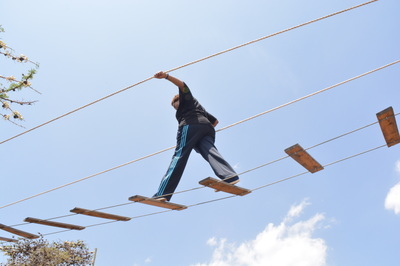 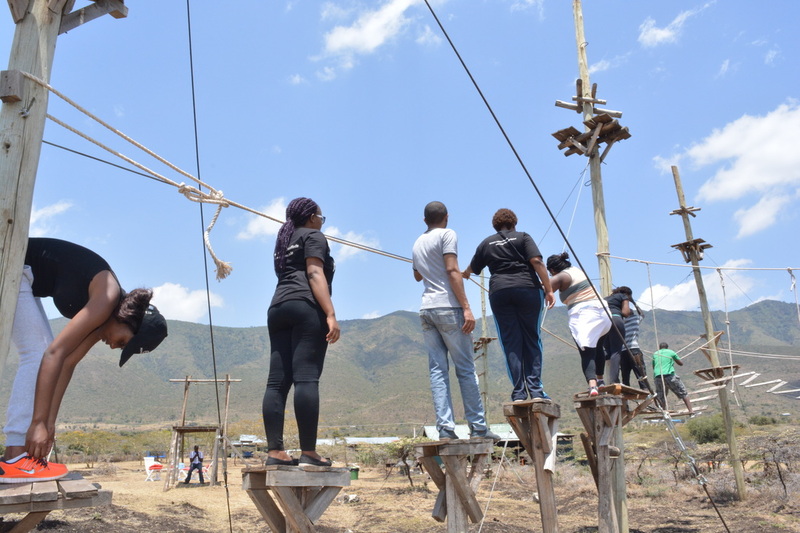 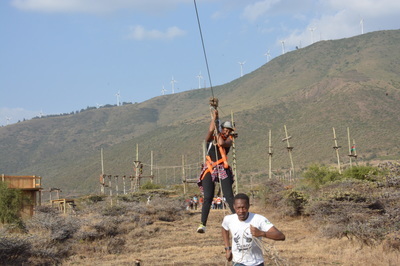 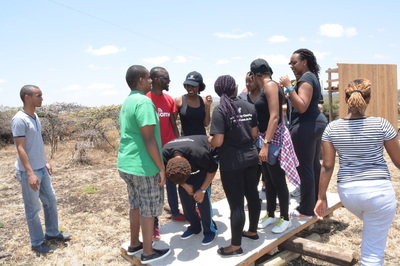 It also offers you with other activities such as wall climb, balancing, scary bridge crossing, zip lining and manual swing among other interesting activities. 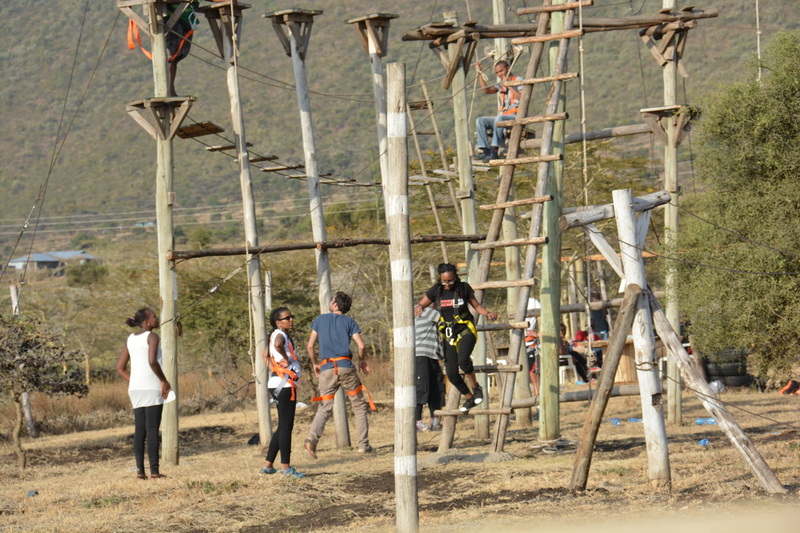 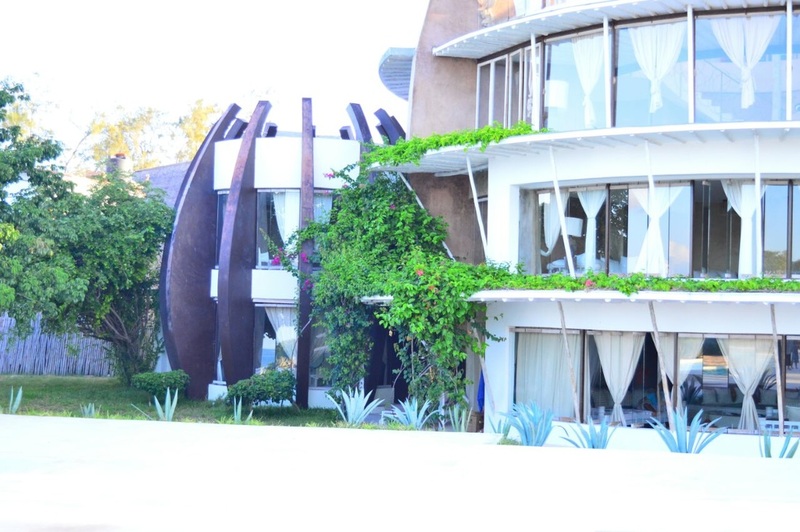 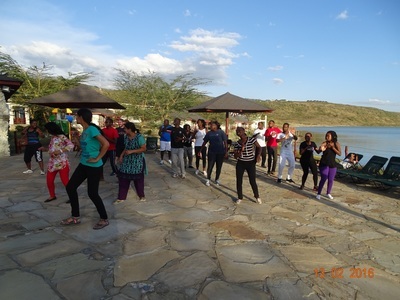 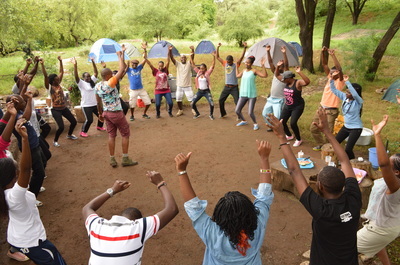 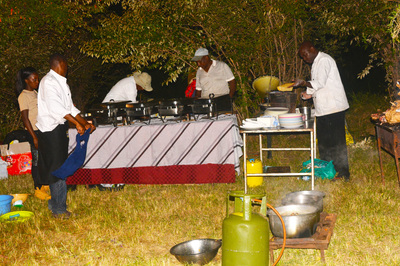 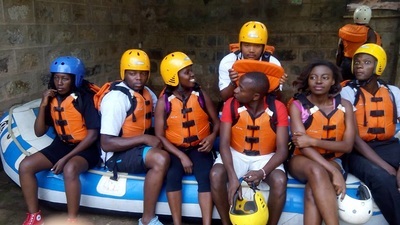 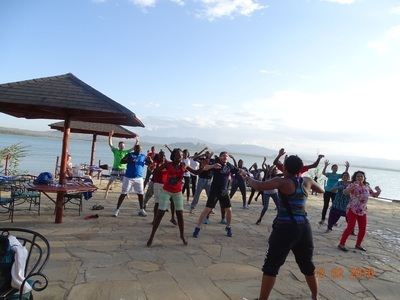 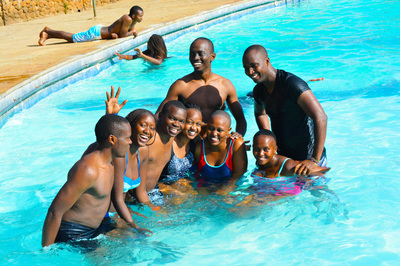 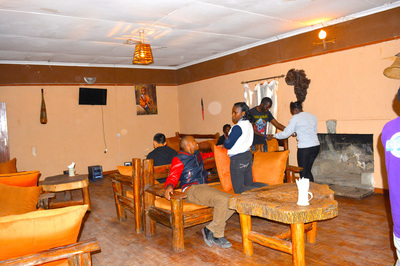 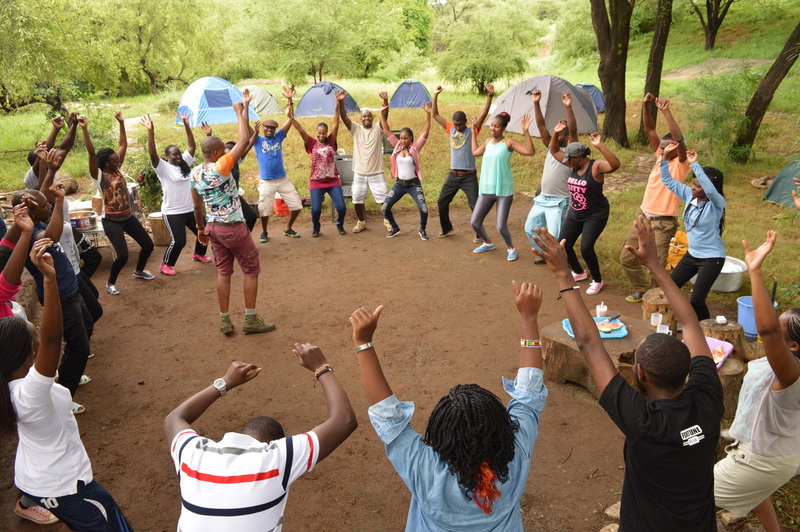 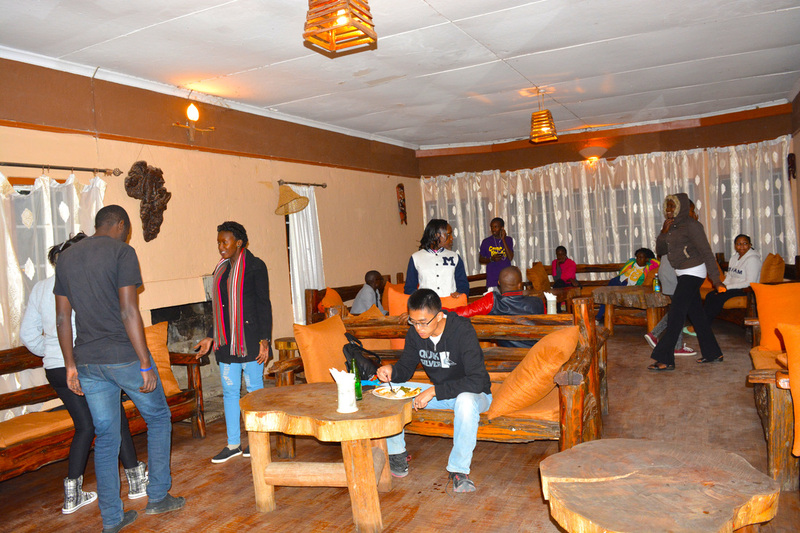 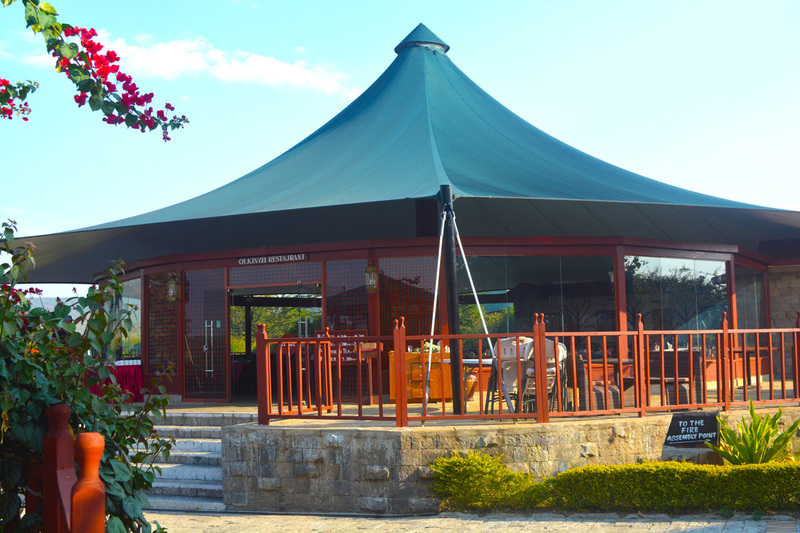 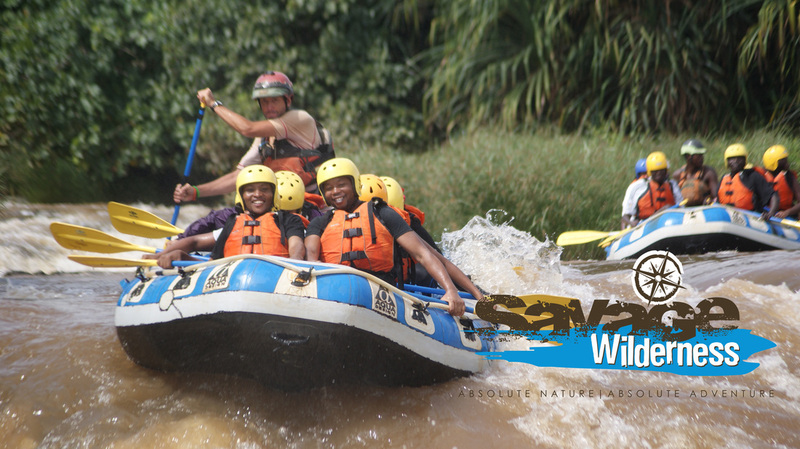 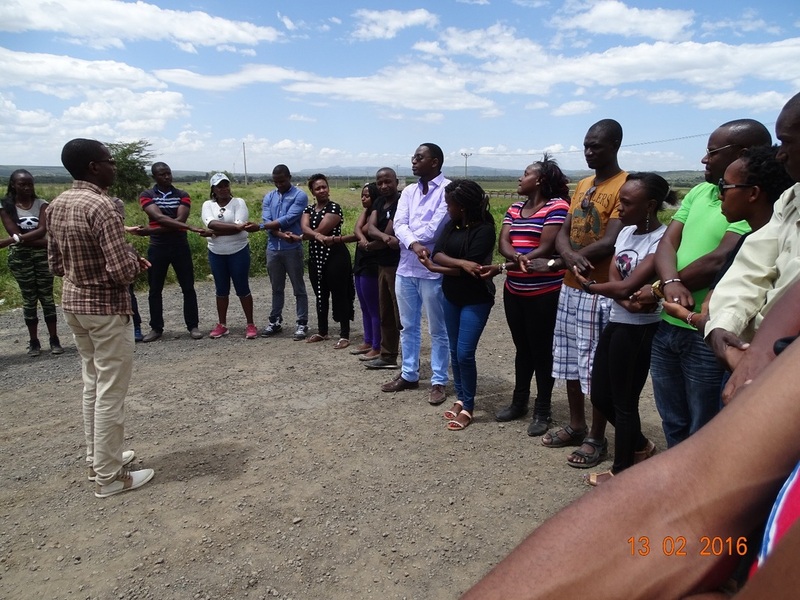 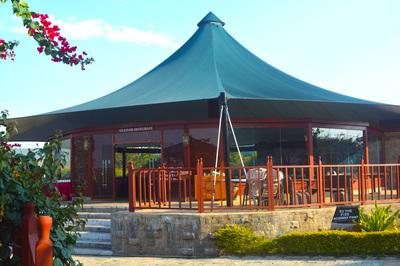 If you are looking for a place to enhance bonding among friends or a company team building, then this is exactly what you need.